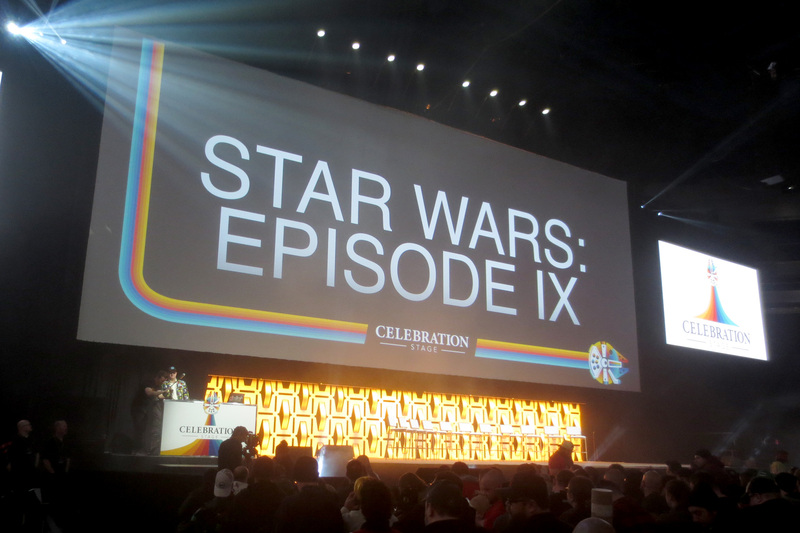 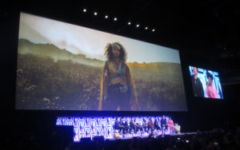 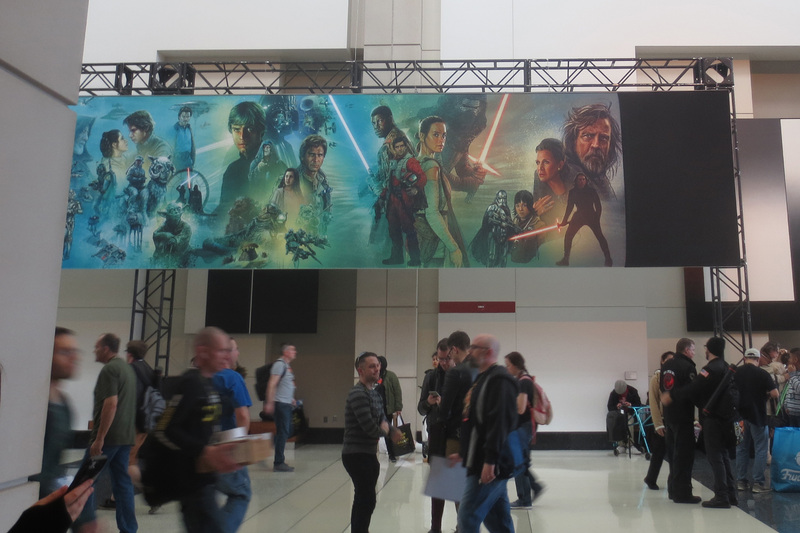 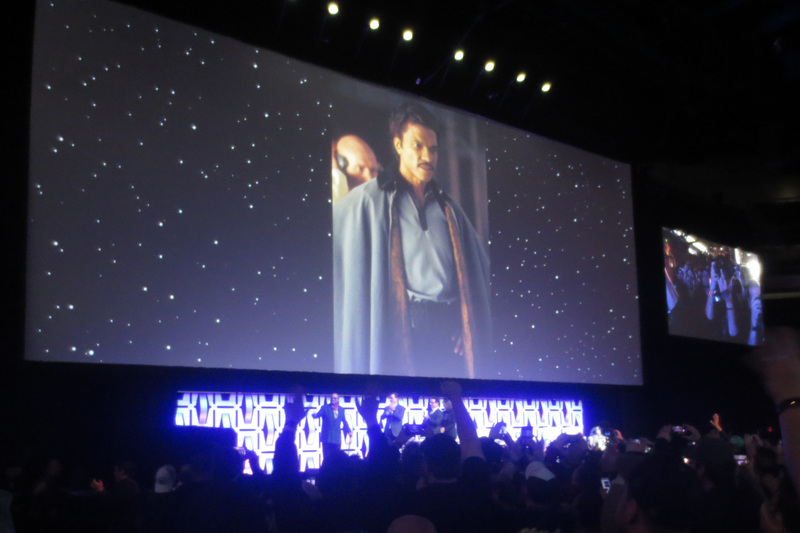 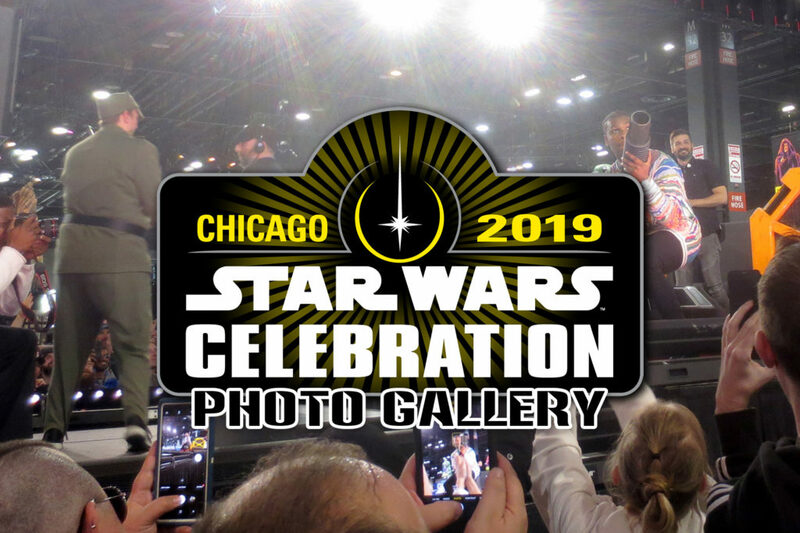 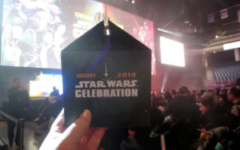 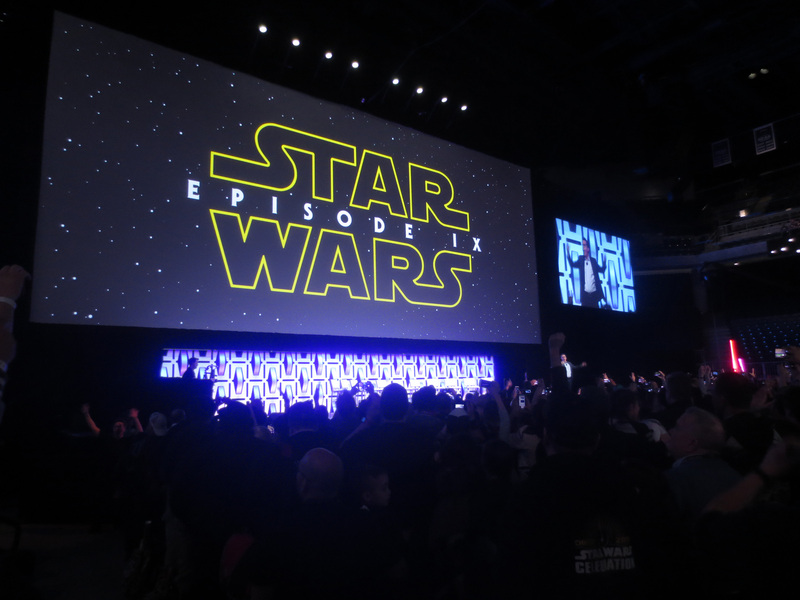 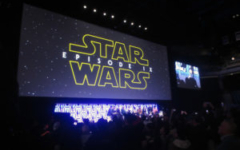 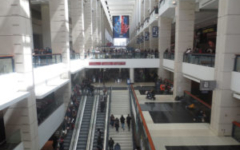 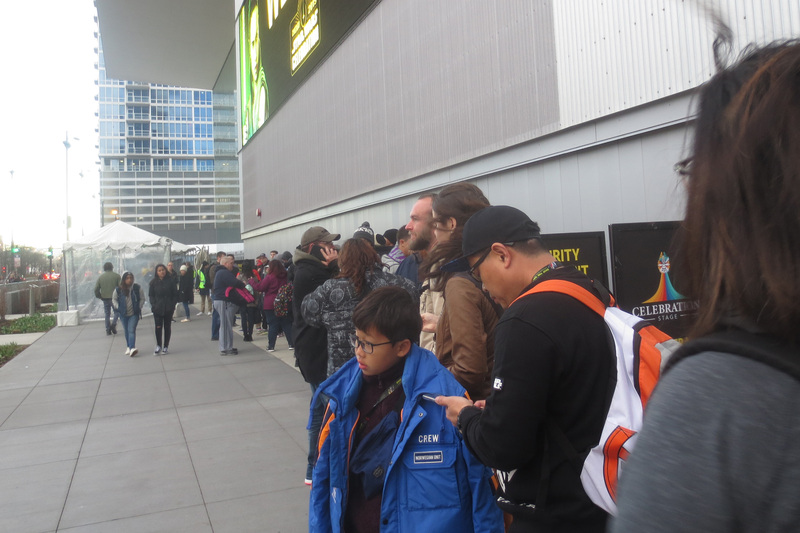 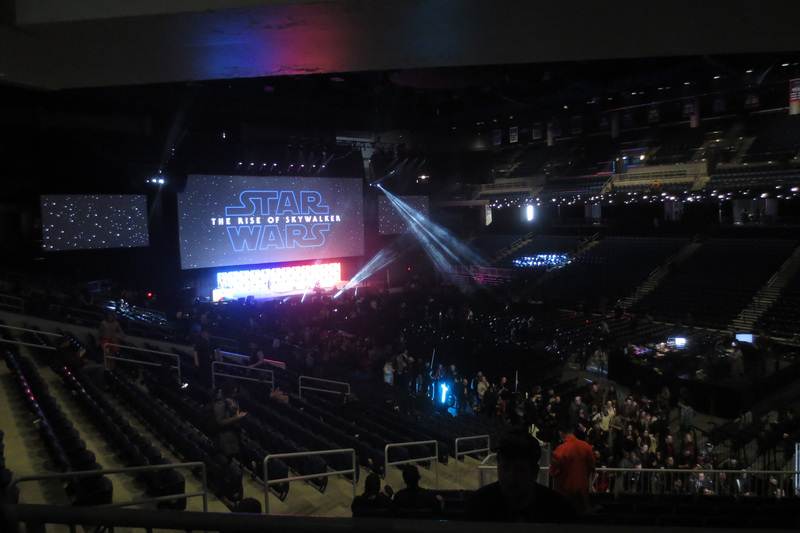 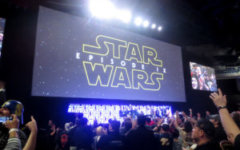 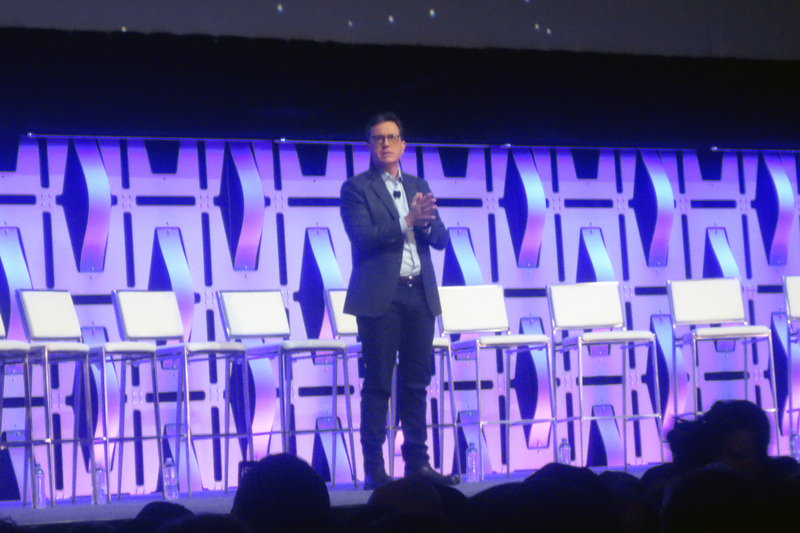 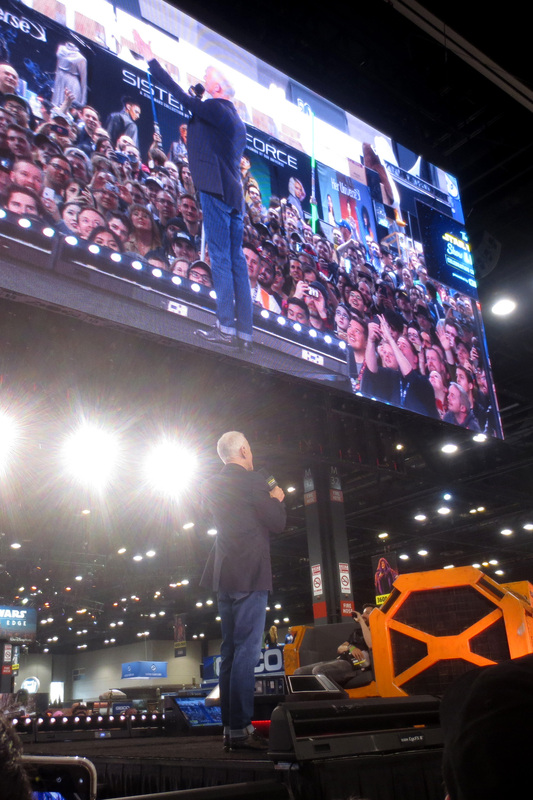 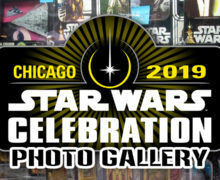 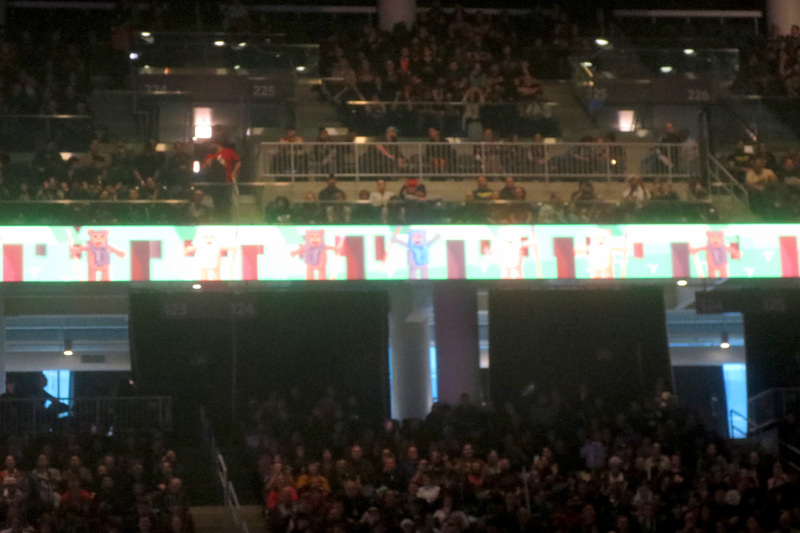 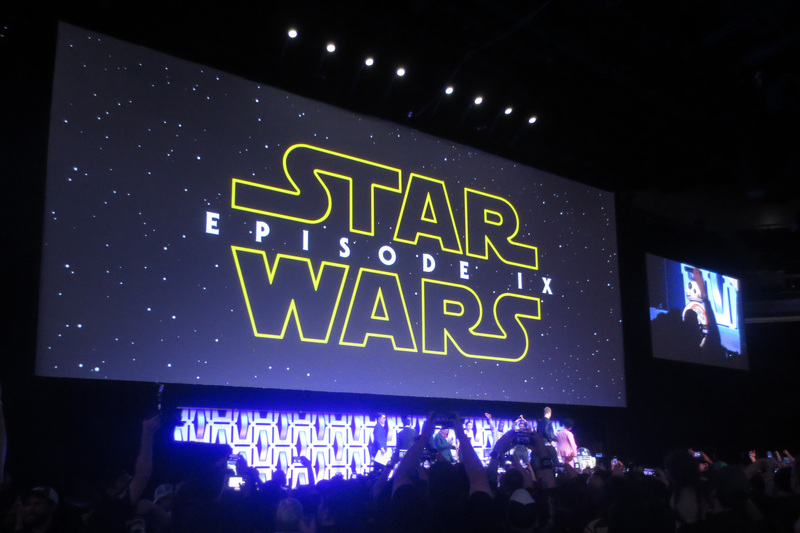 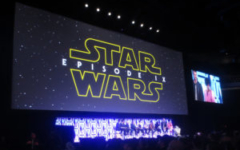 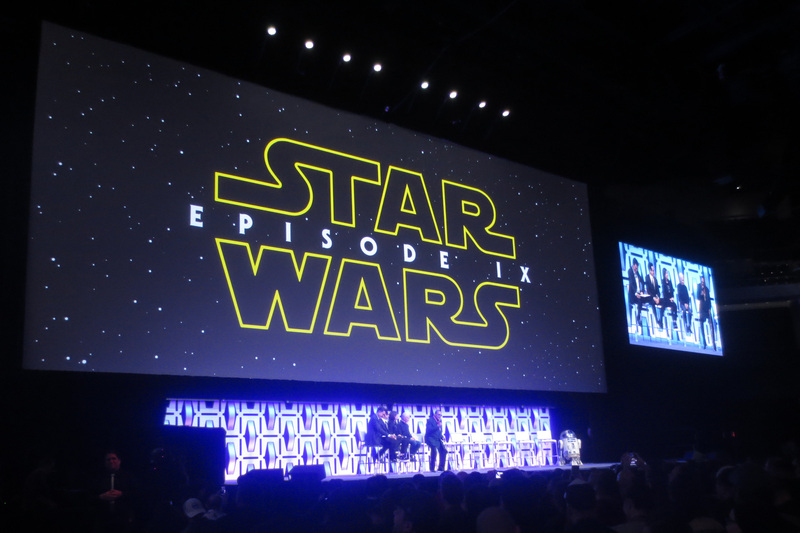 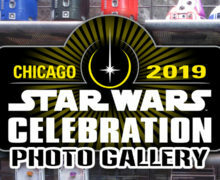 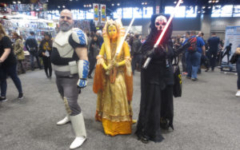 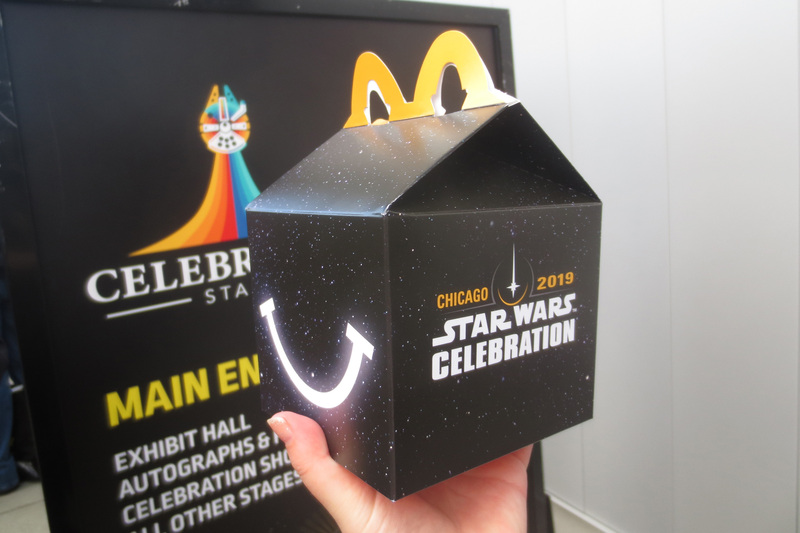 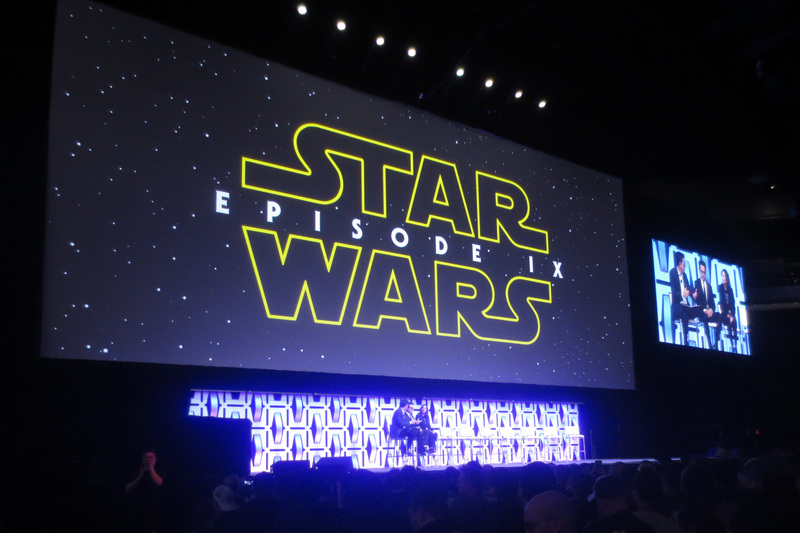 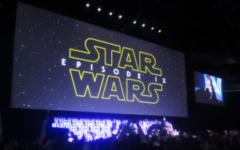 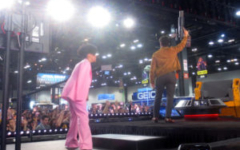 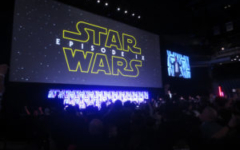 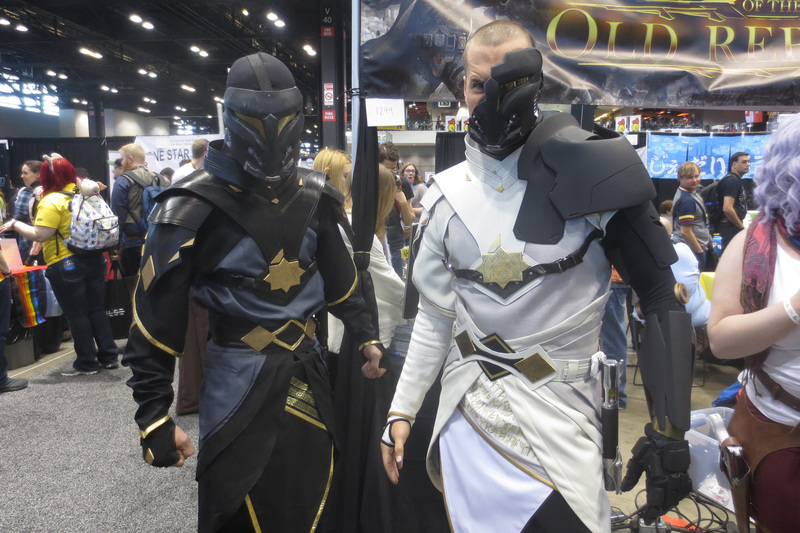 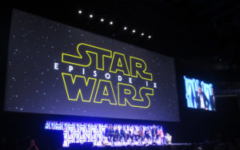 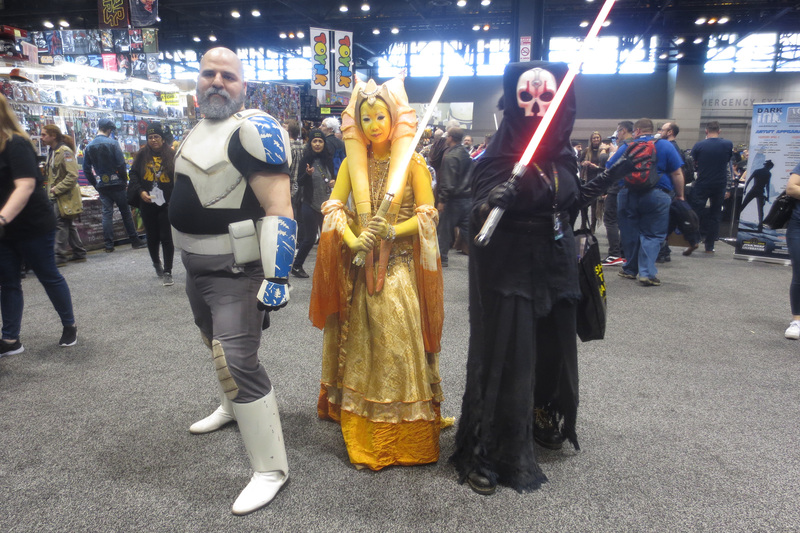 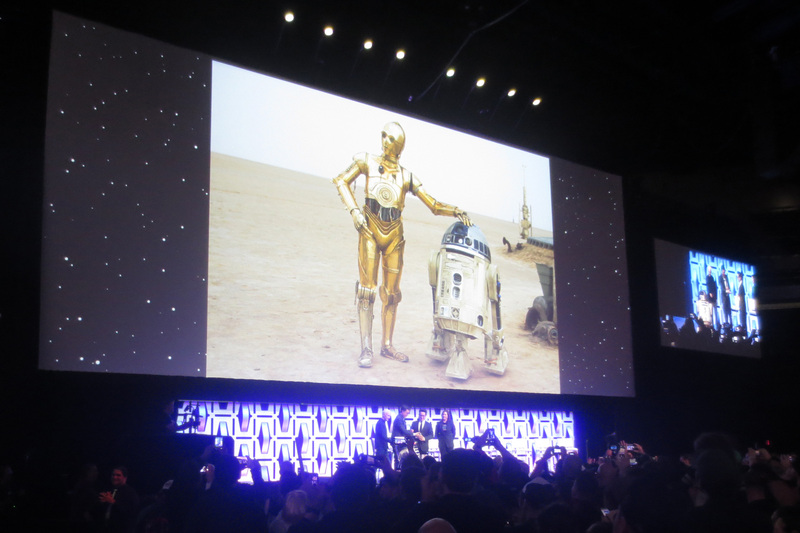 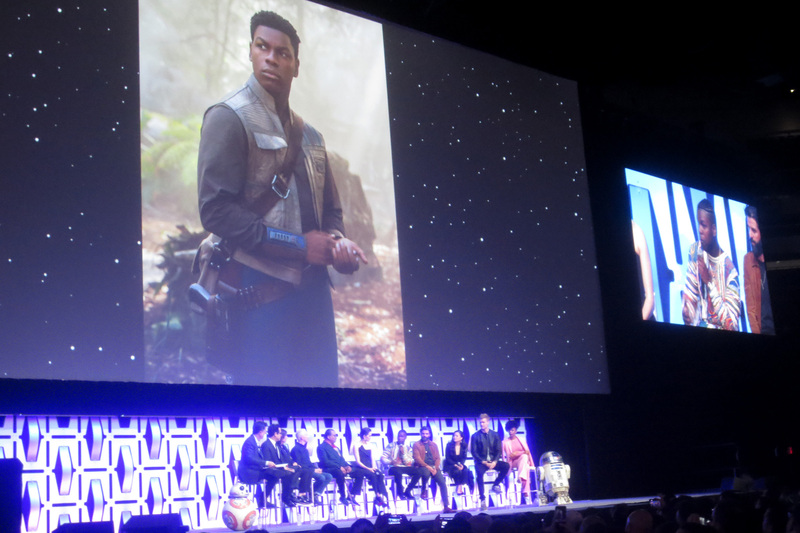 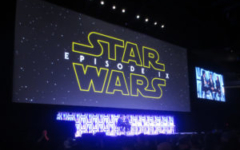 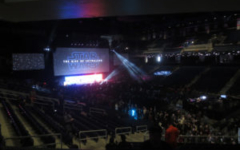 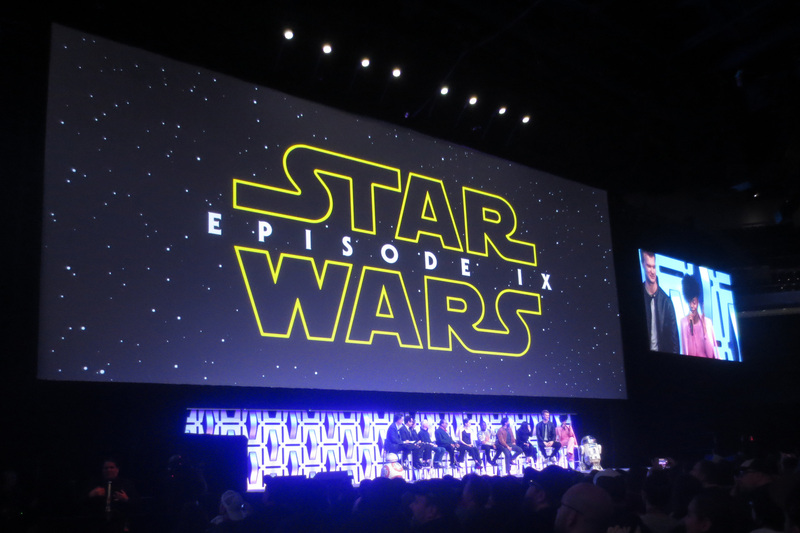 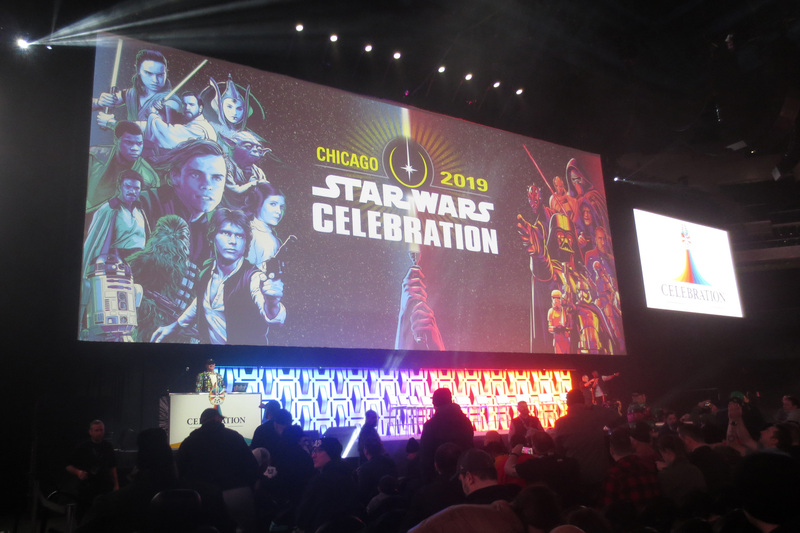 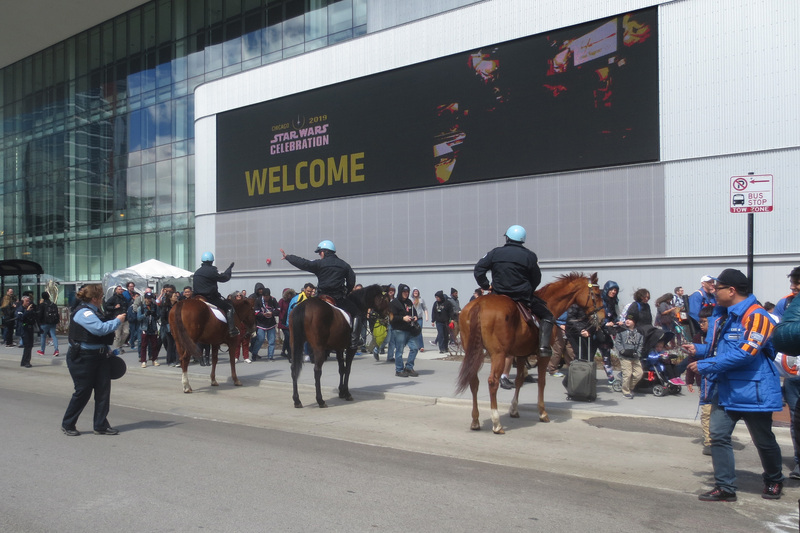 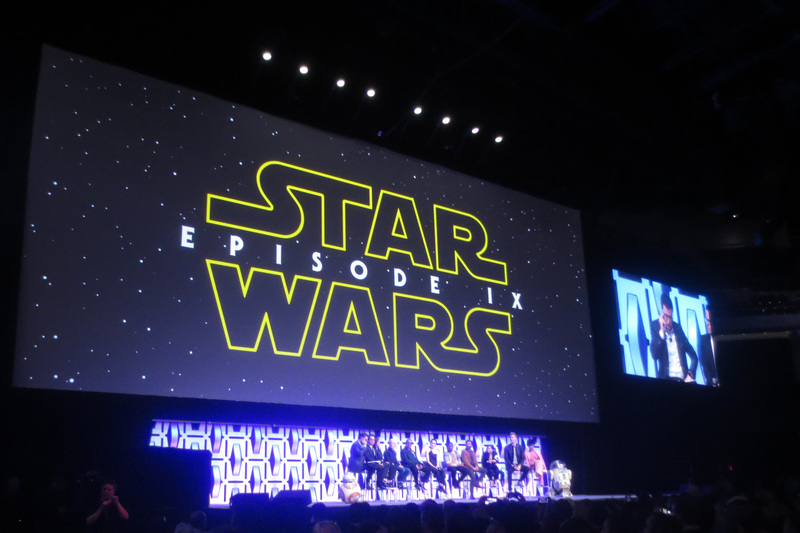 The second day of Star Wars Celebration Chicago started with a big reveal – the title for Episode IX, and an accompanying teaser trailer for the same movie. 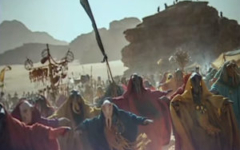 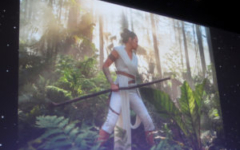 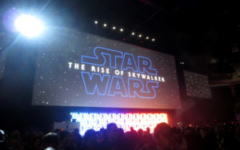 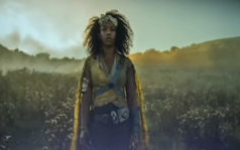 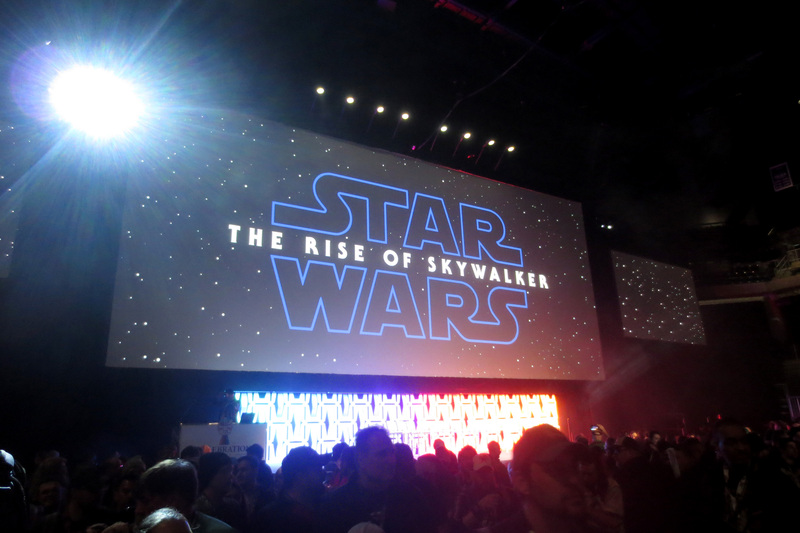 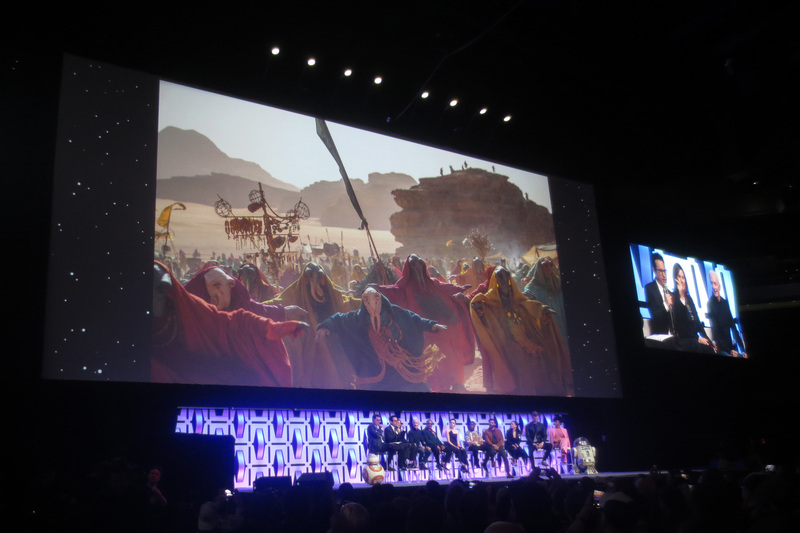 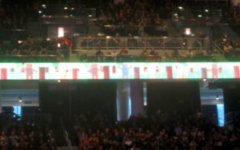 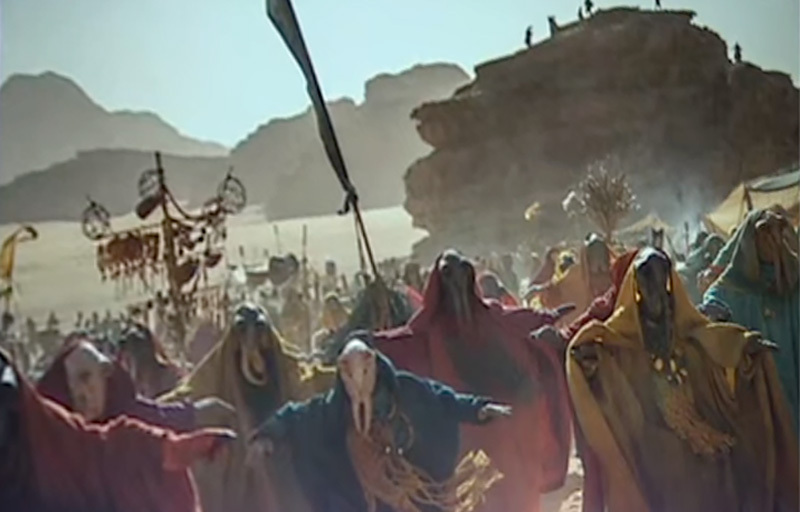 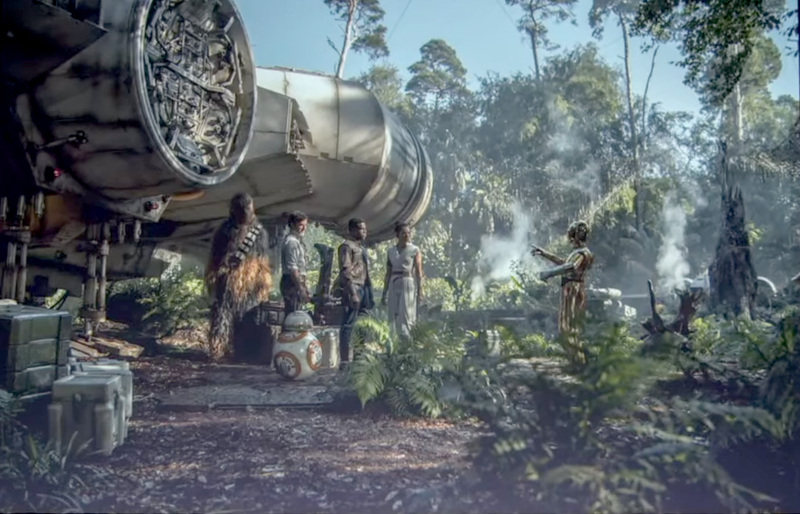 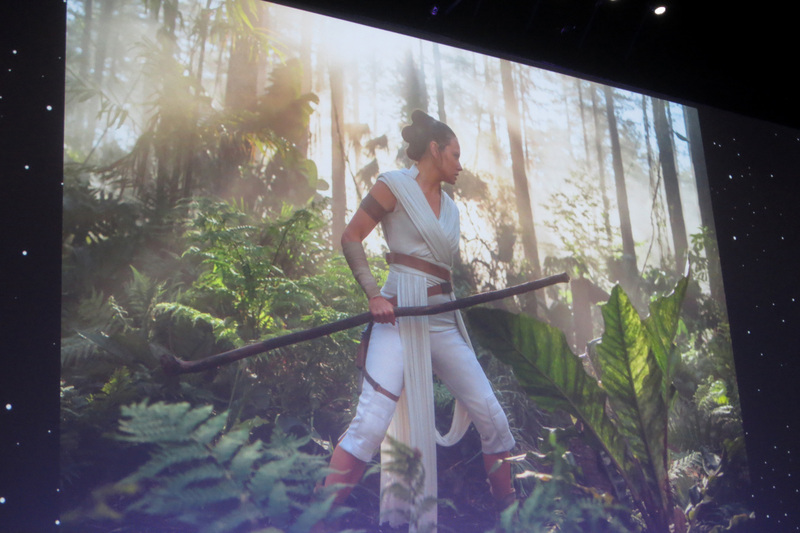 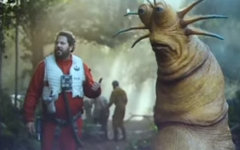 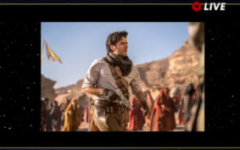 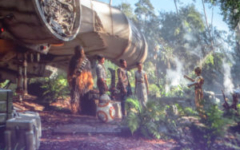 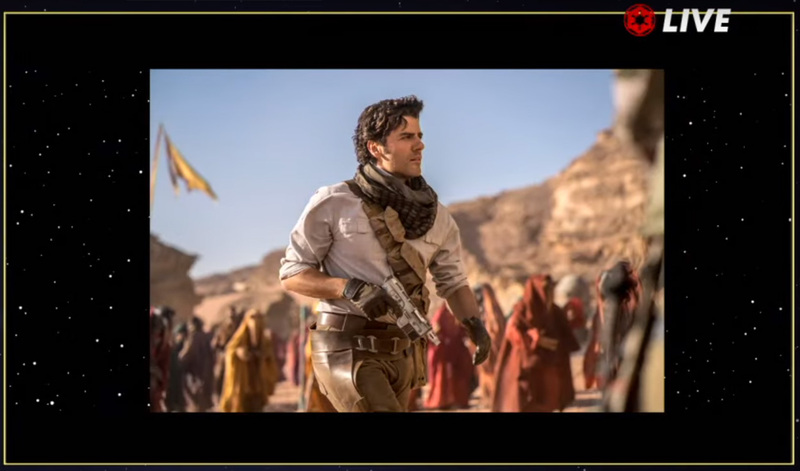 We have covered the details of that teaser for Star Wars: The Rise of Skywalker earlier today. 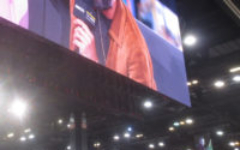 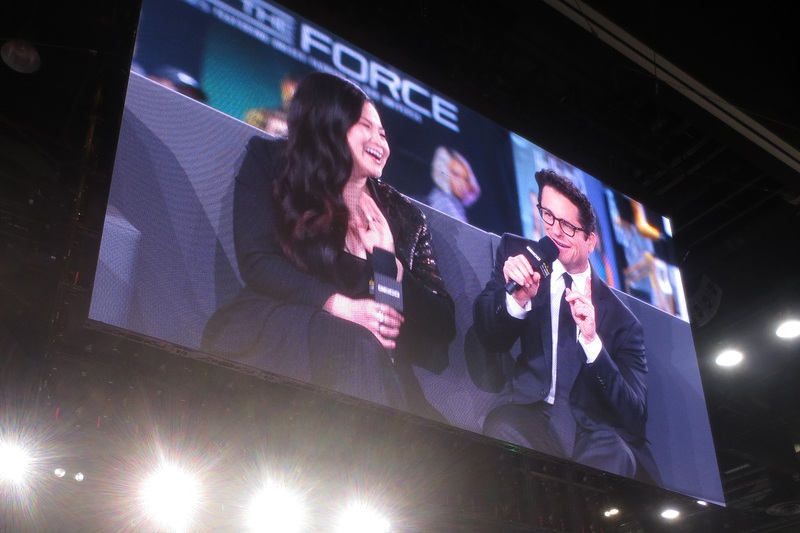 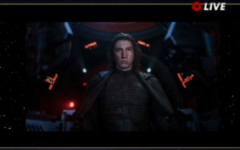 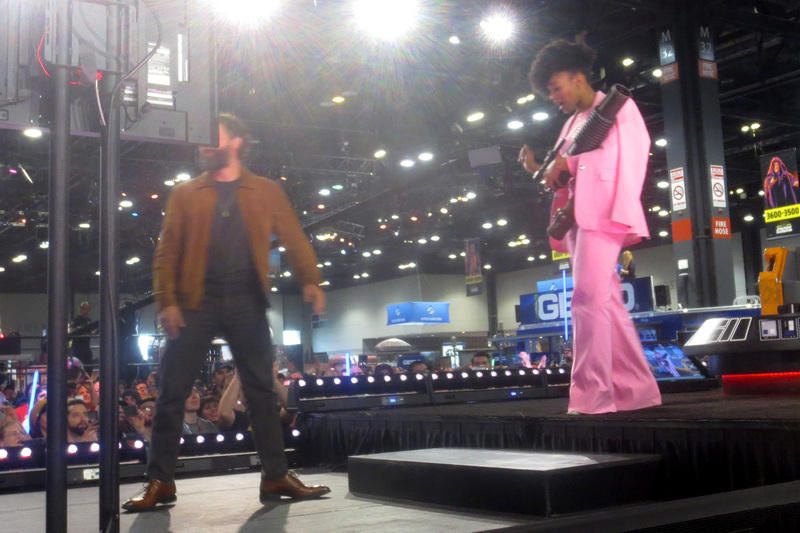 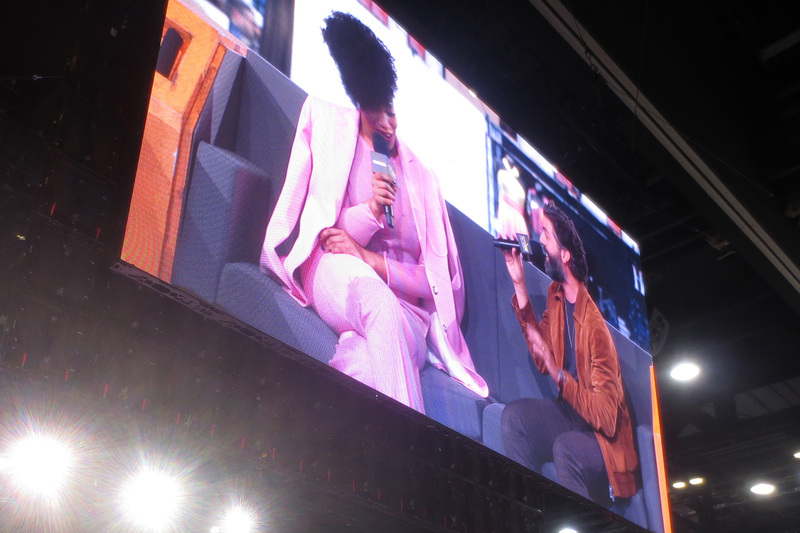 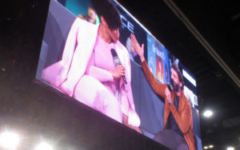 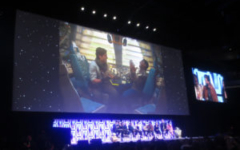 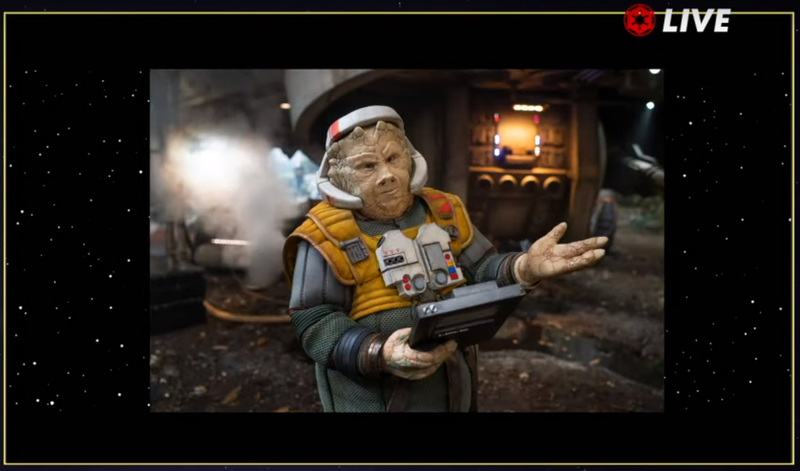 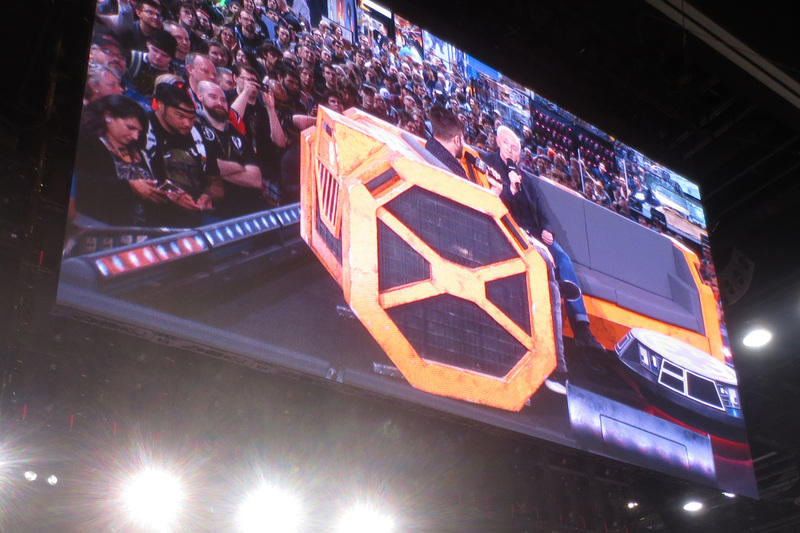 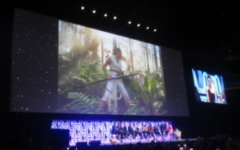 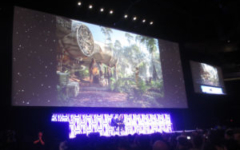 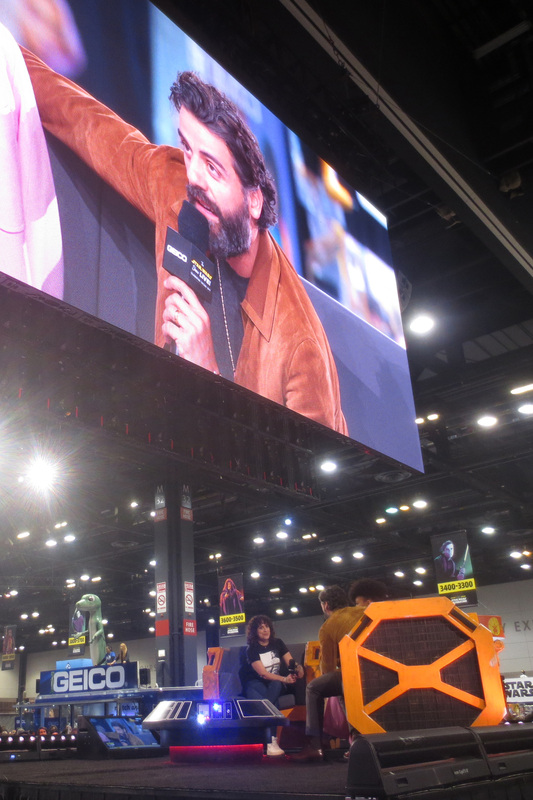 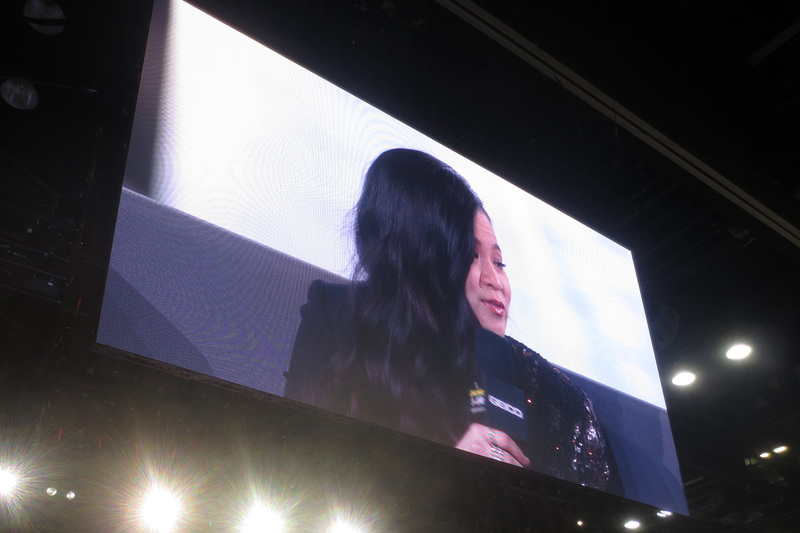 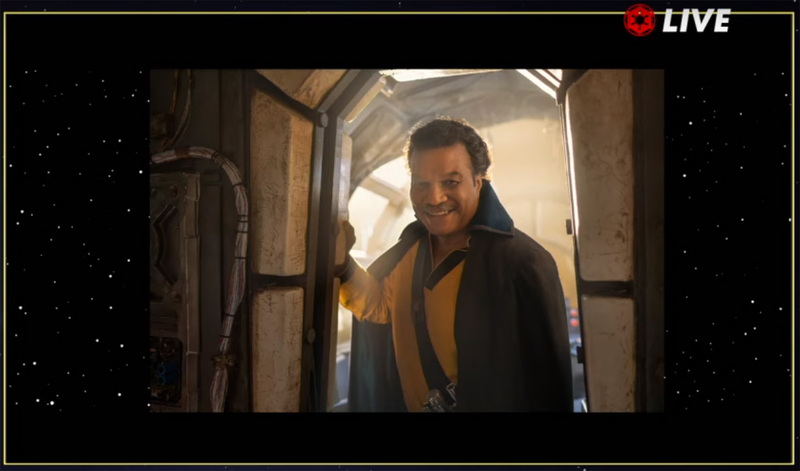 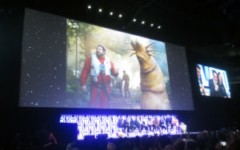 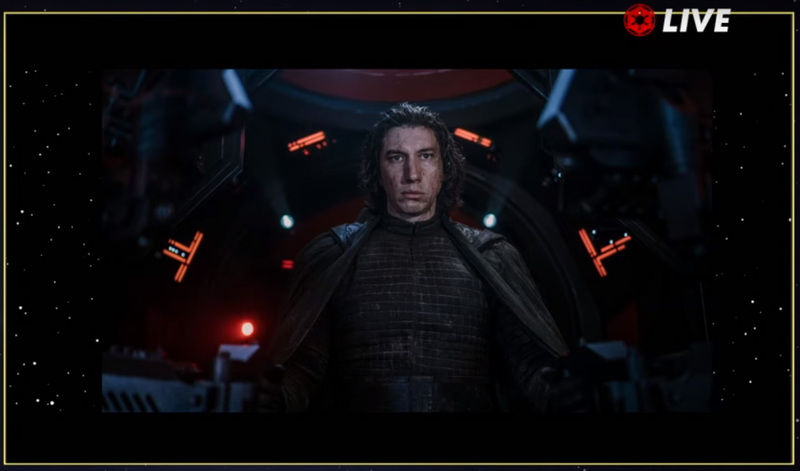 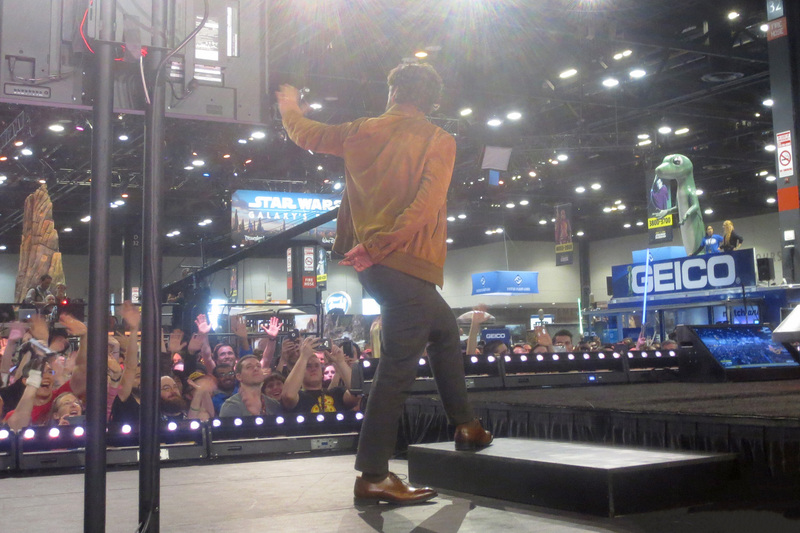 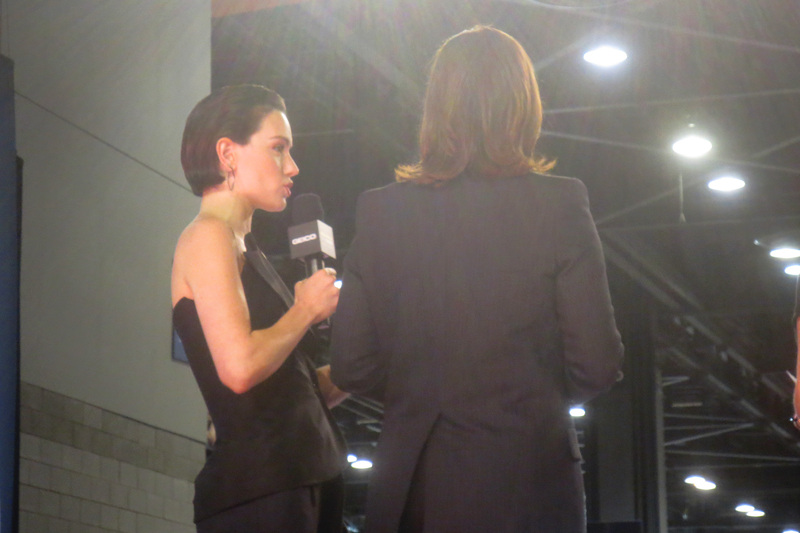 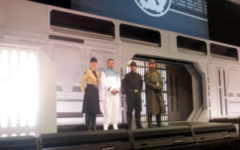 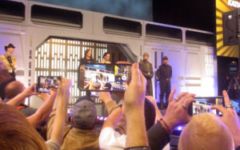 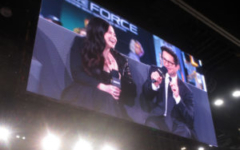 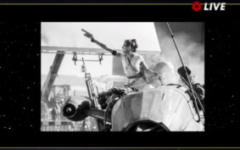 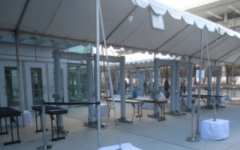 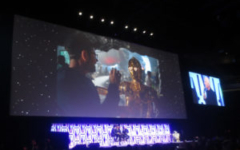 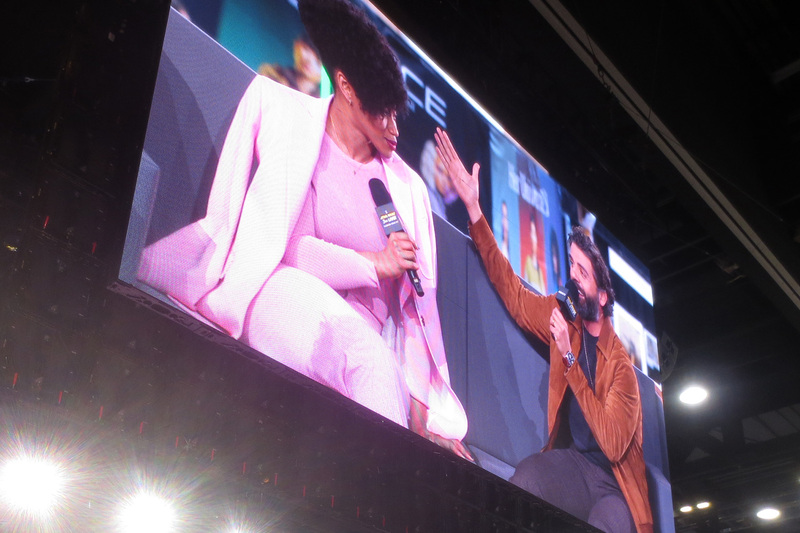 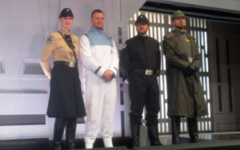 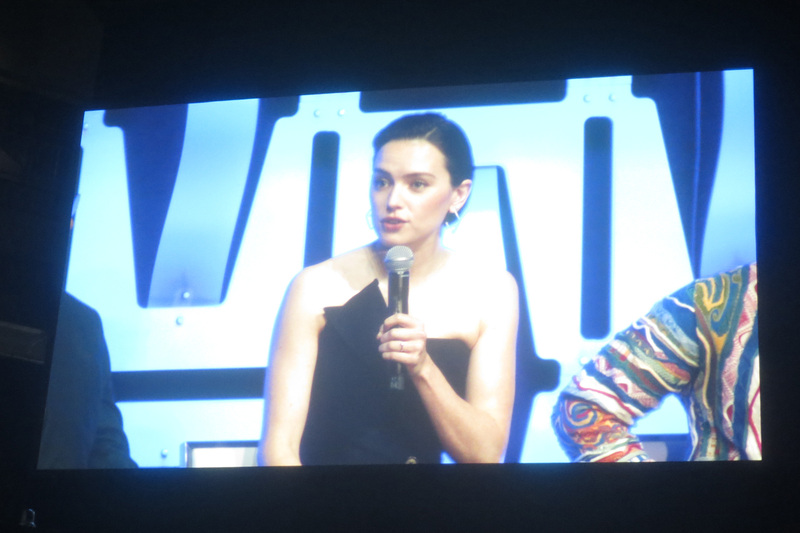 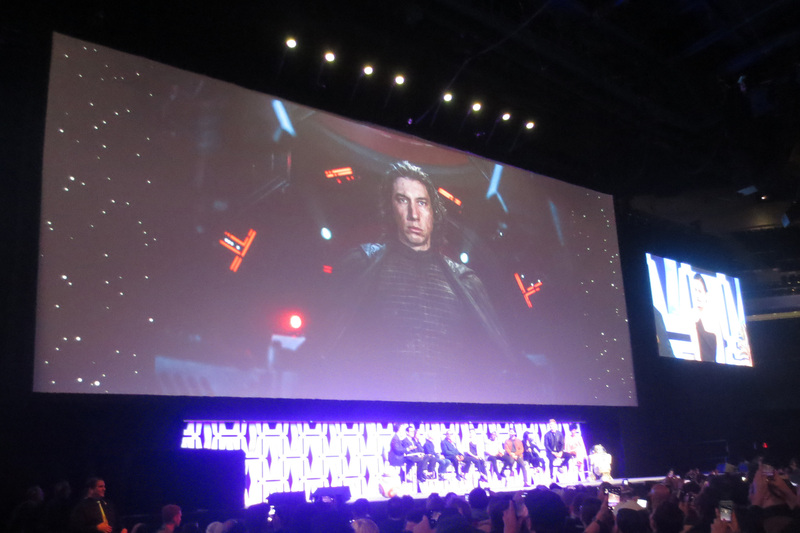 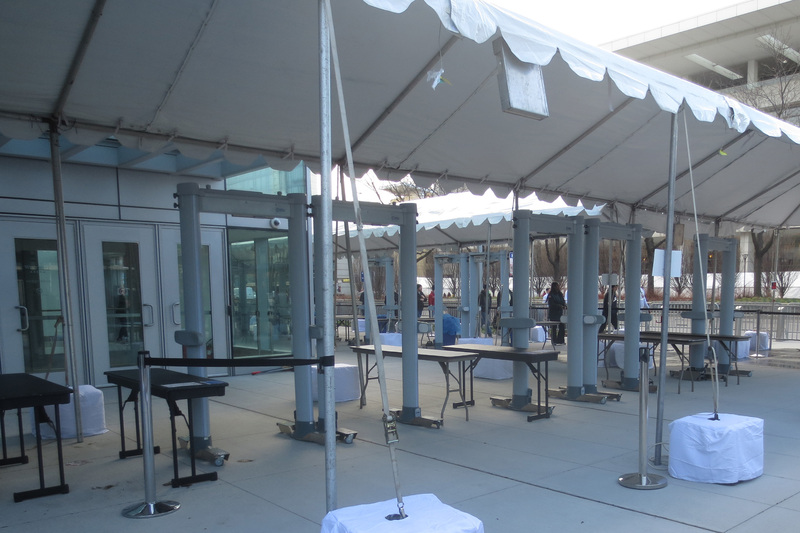 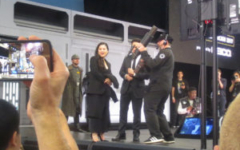 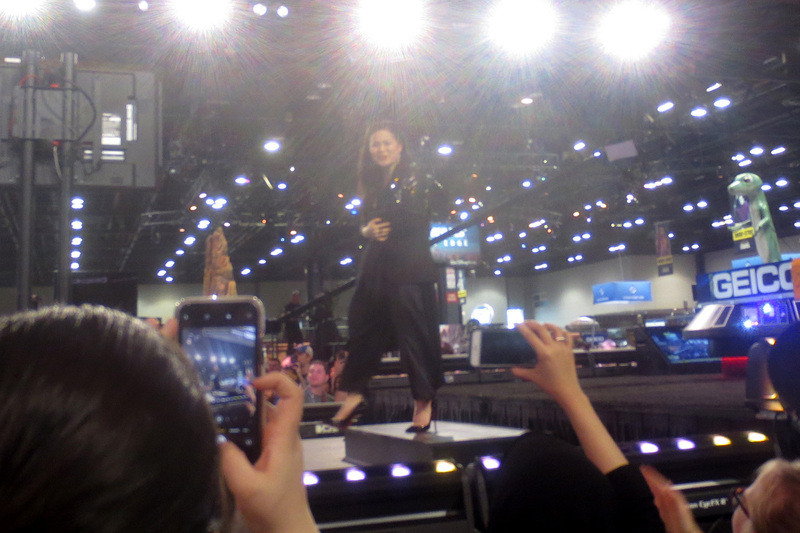 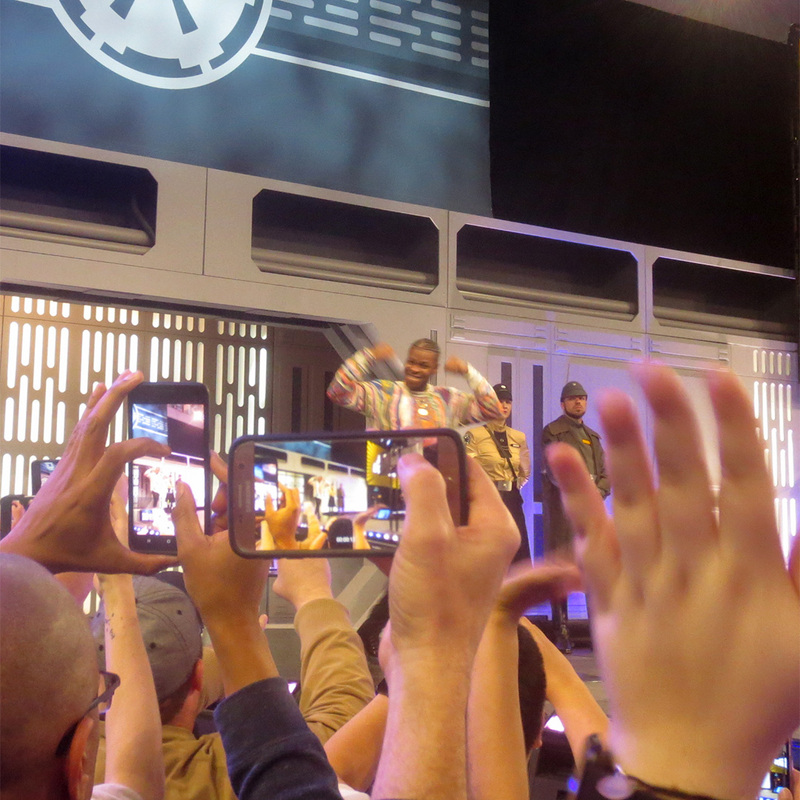 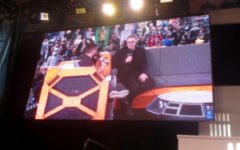 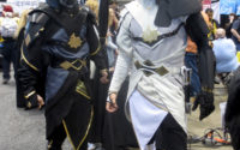 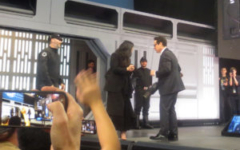 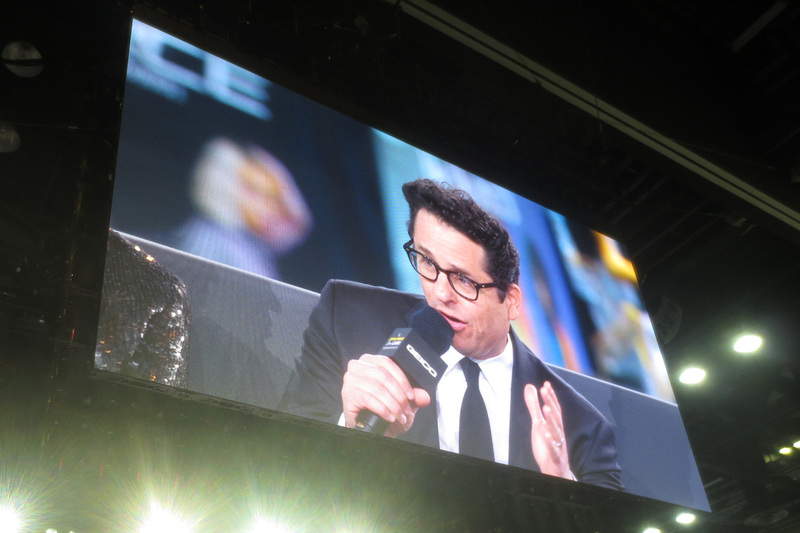 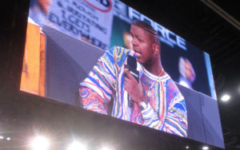 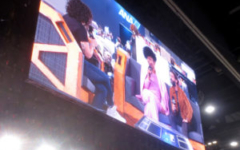 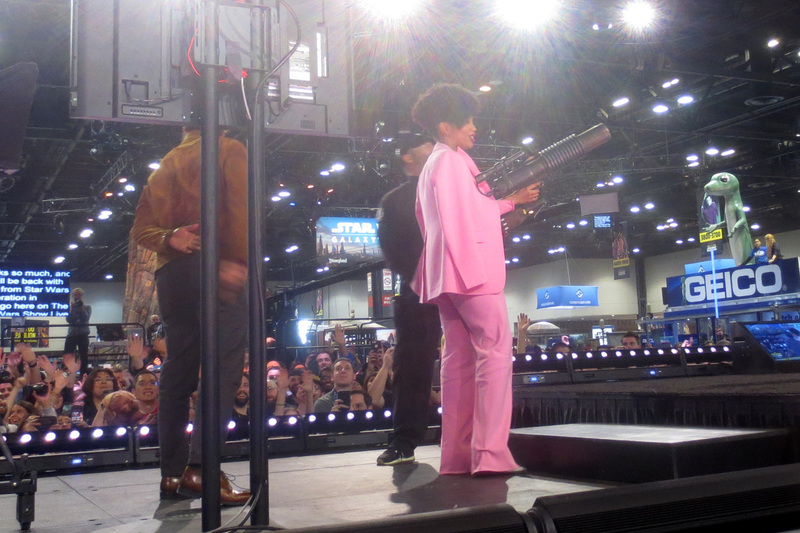 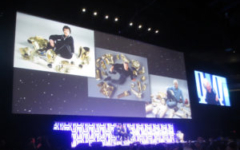 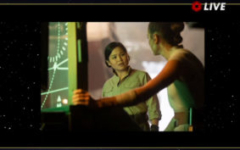 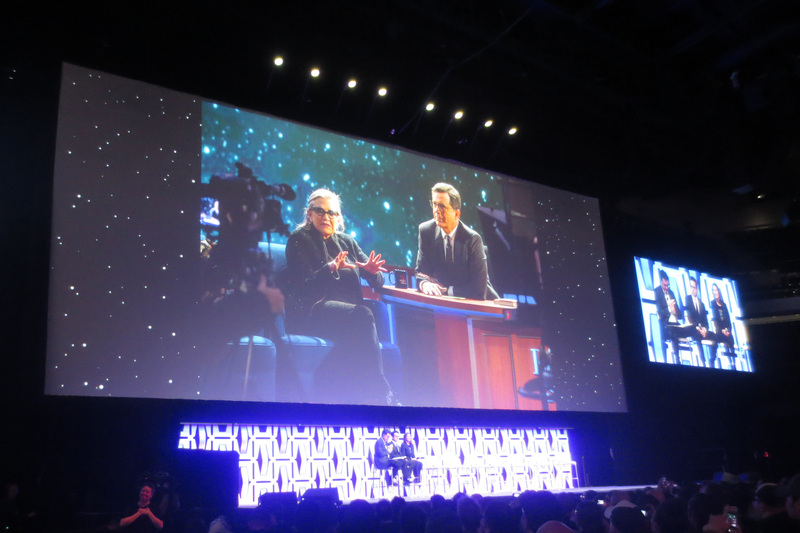 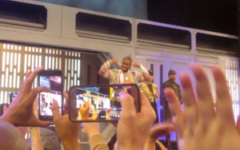 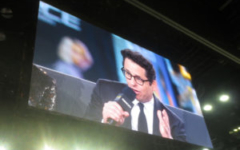 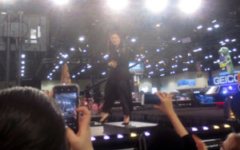 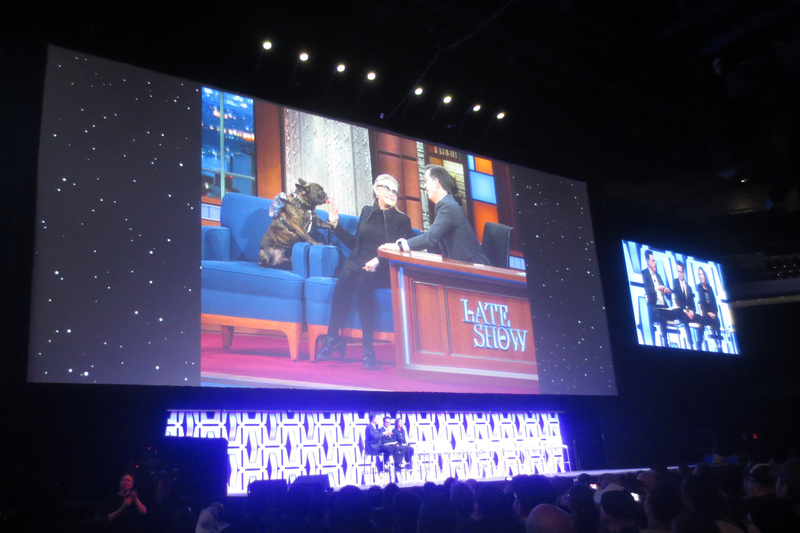 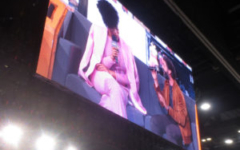 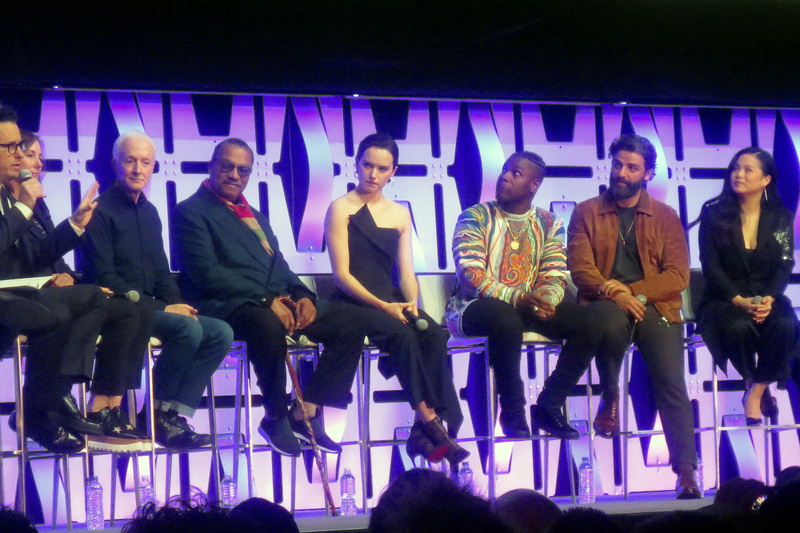 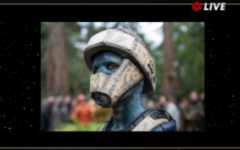 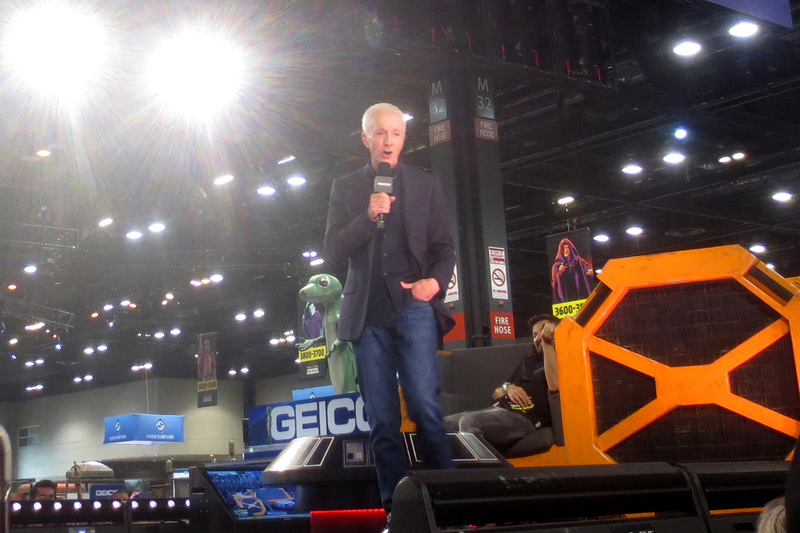 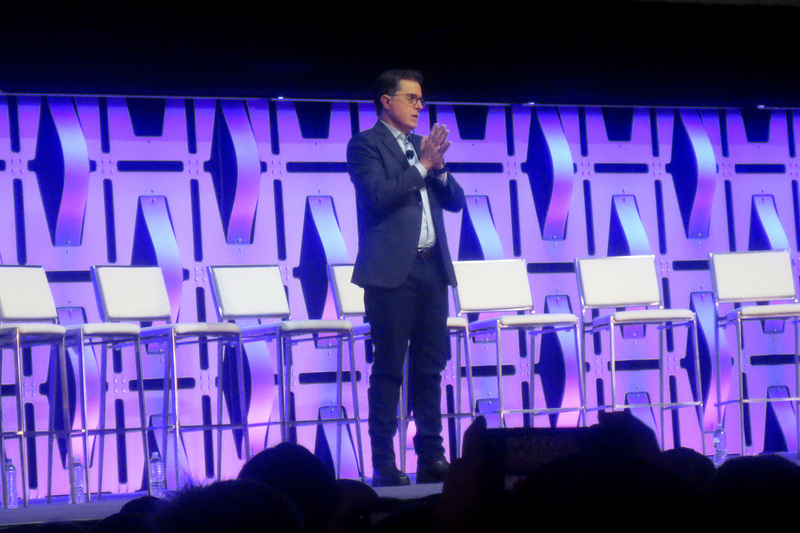 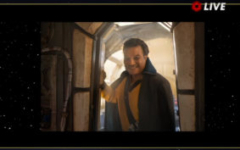 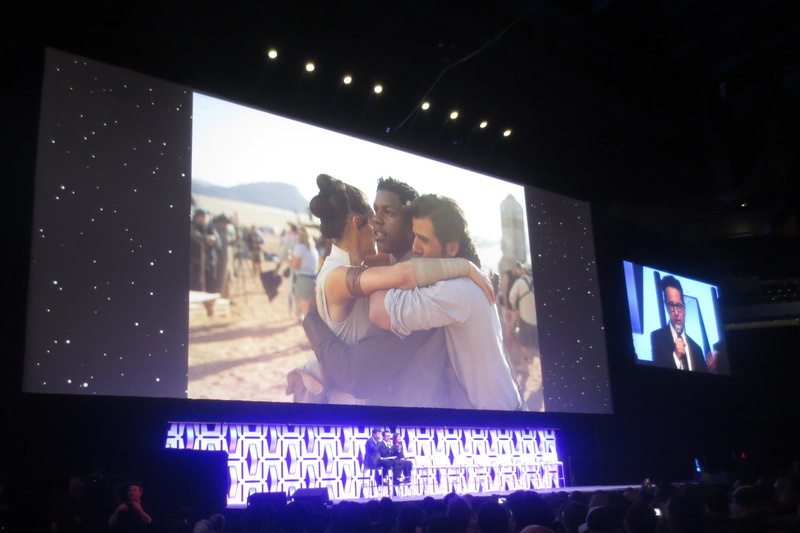 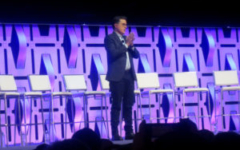 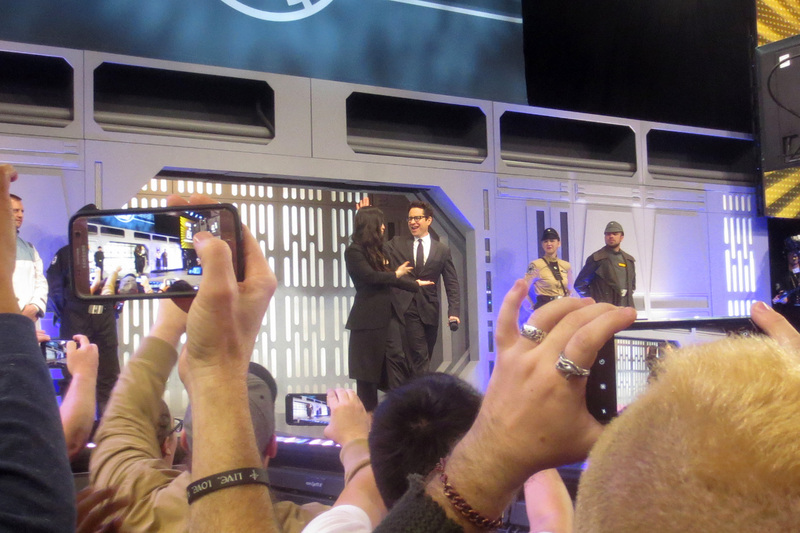 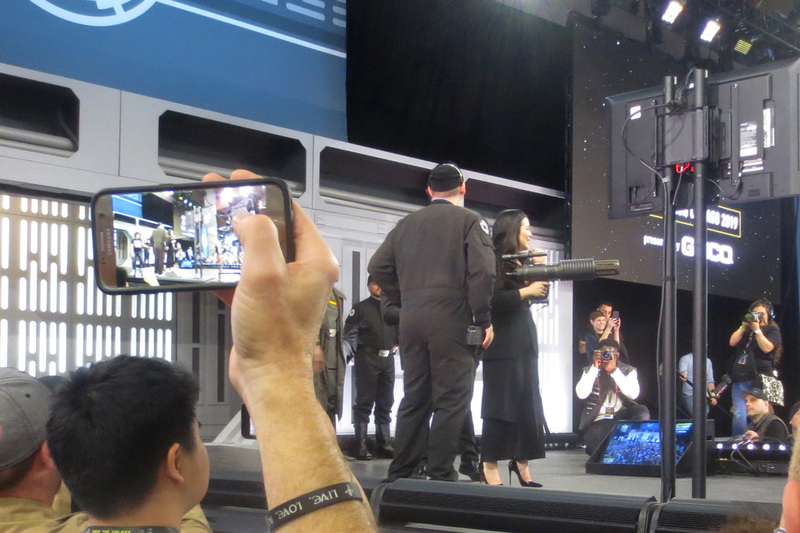 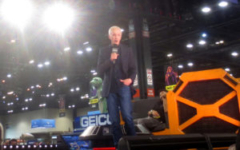 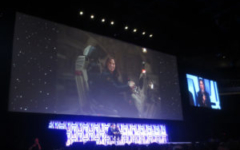 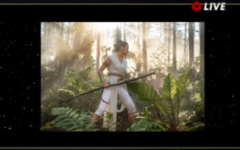 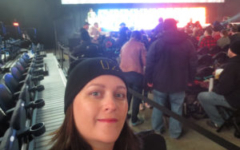 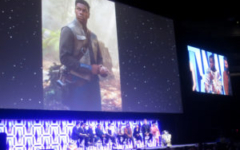 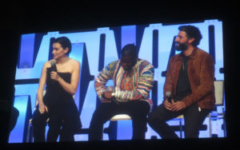 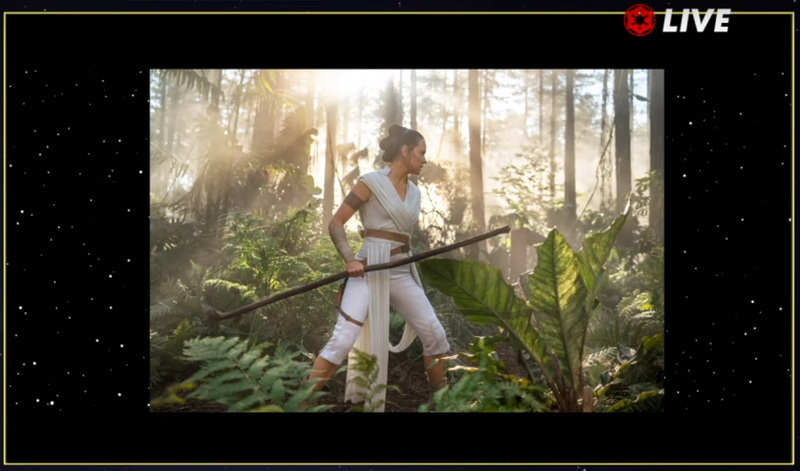 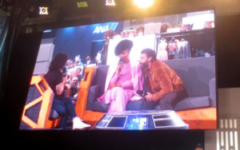 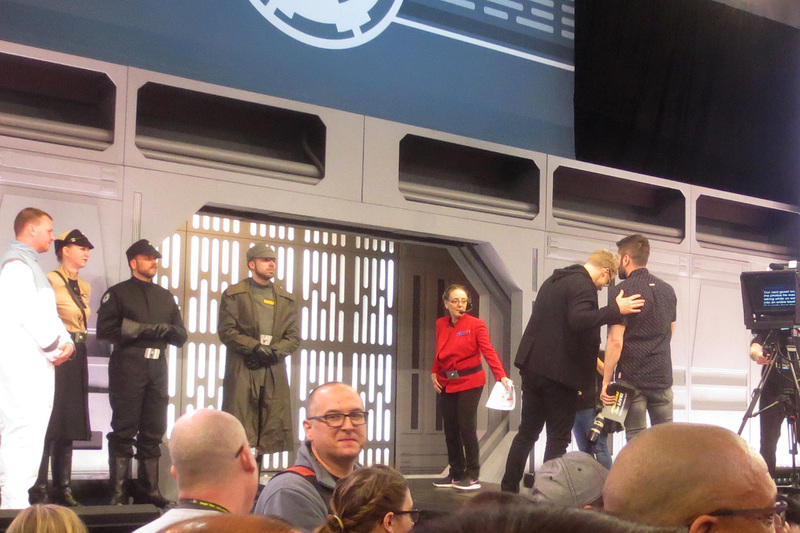 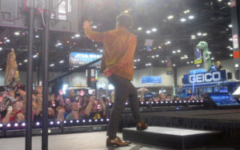 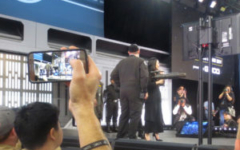 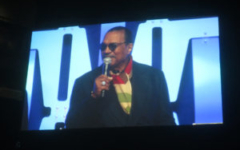 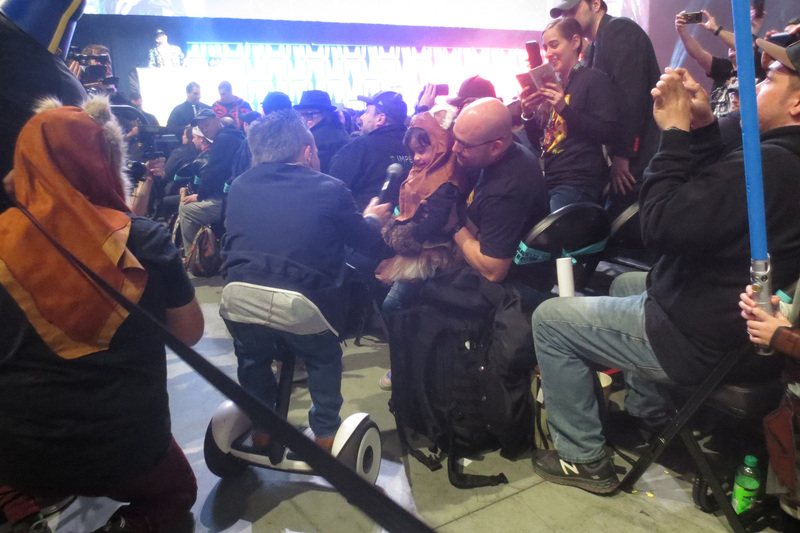 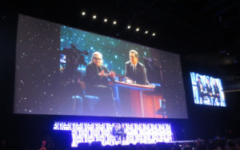 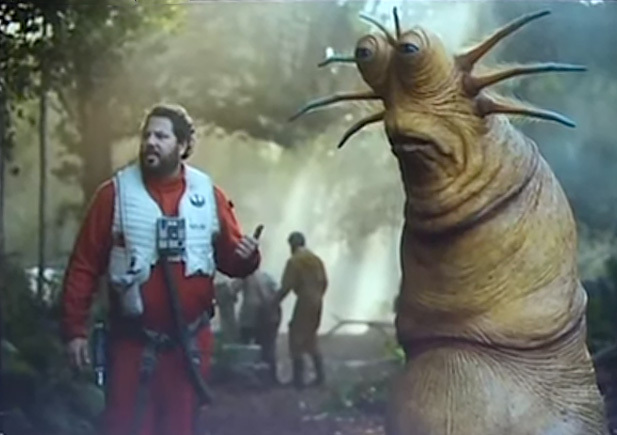 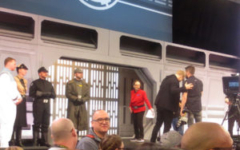 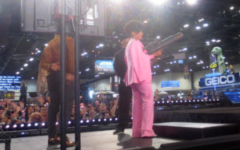 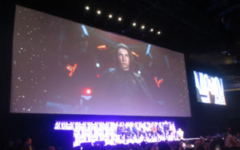 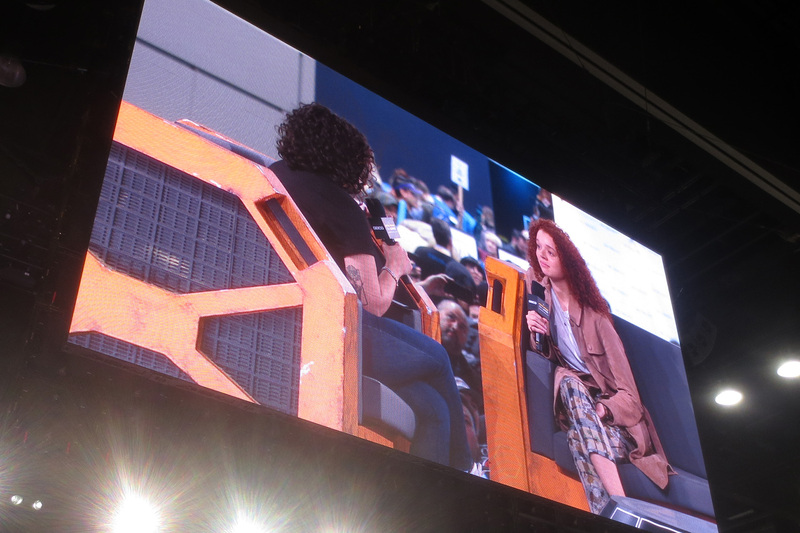 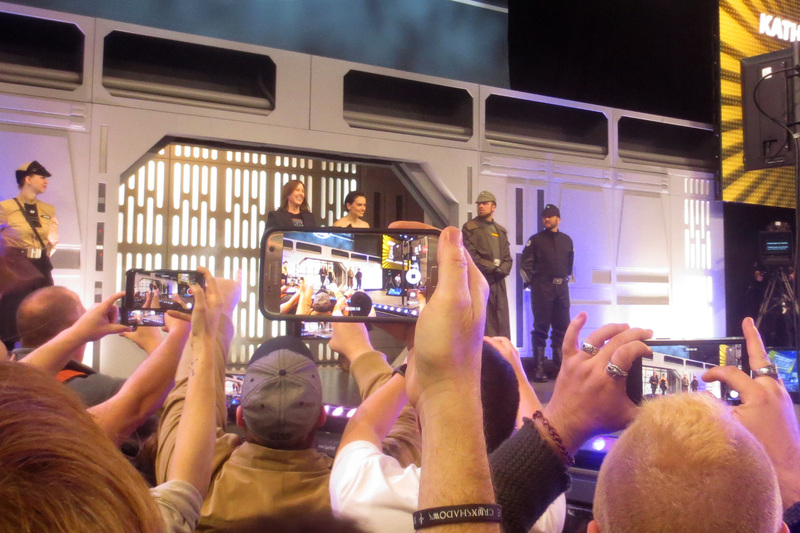 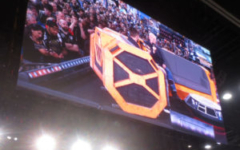 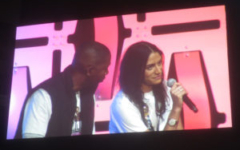 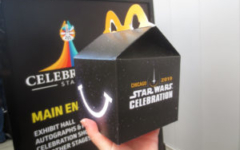 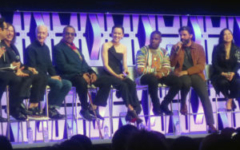 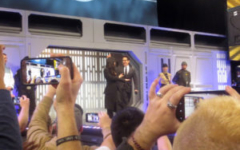 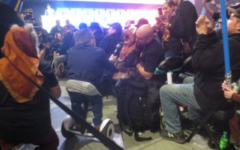 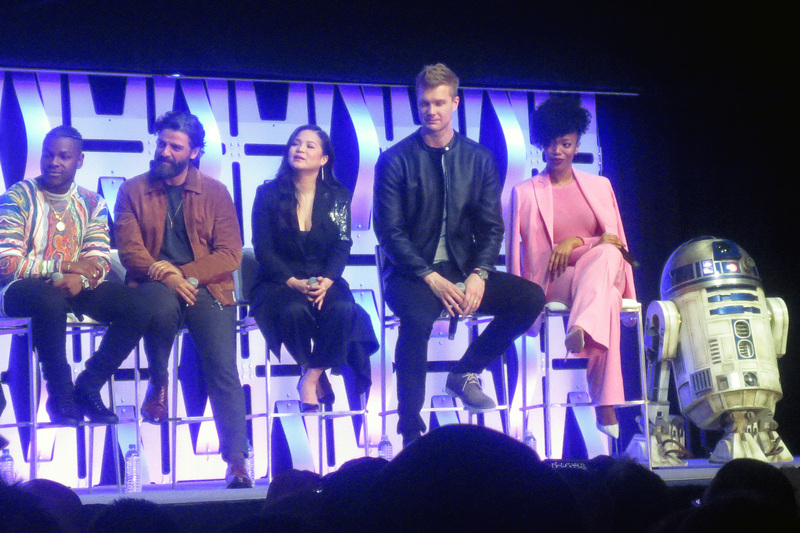 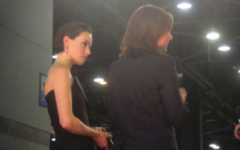 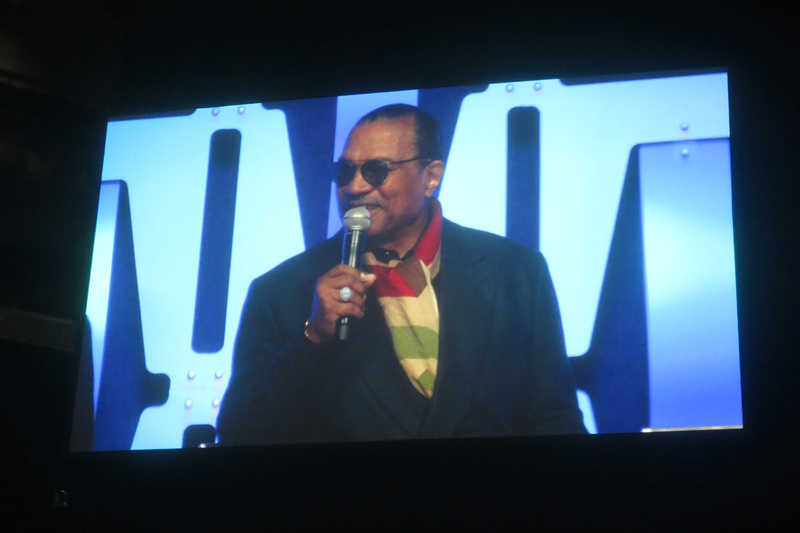 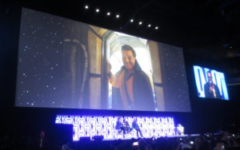 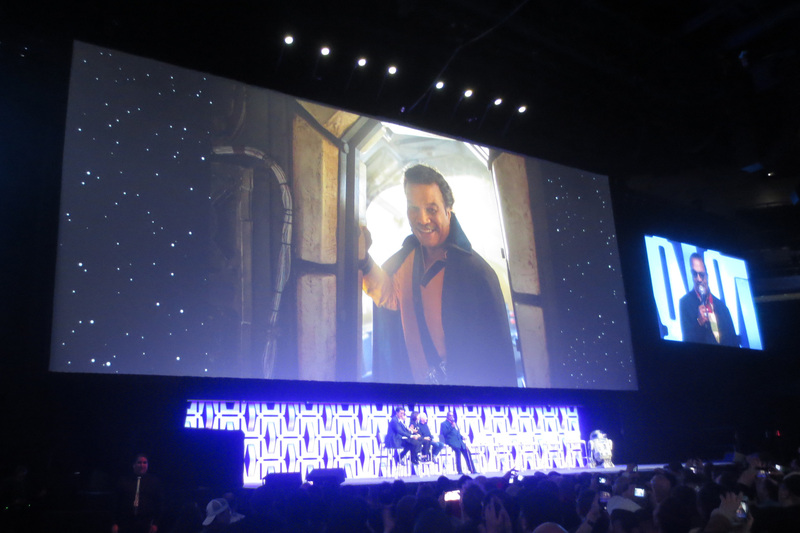 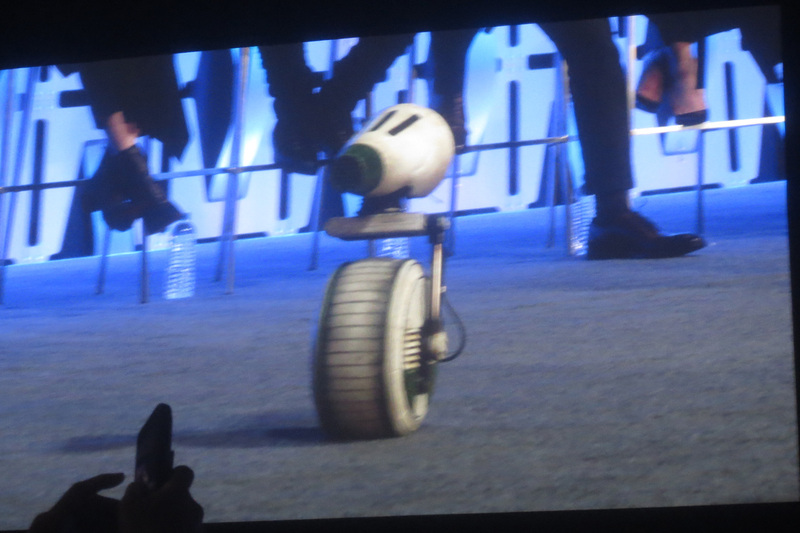 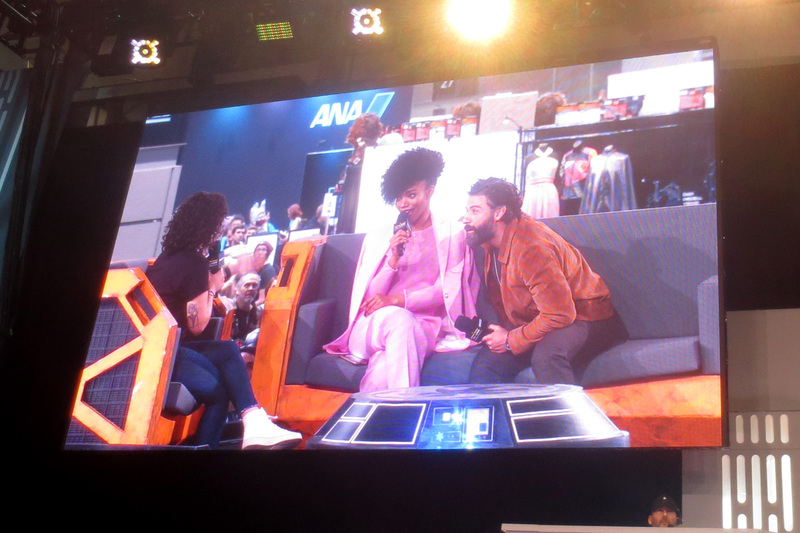 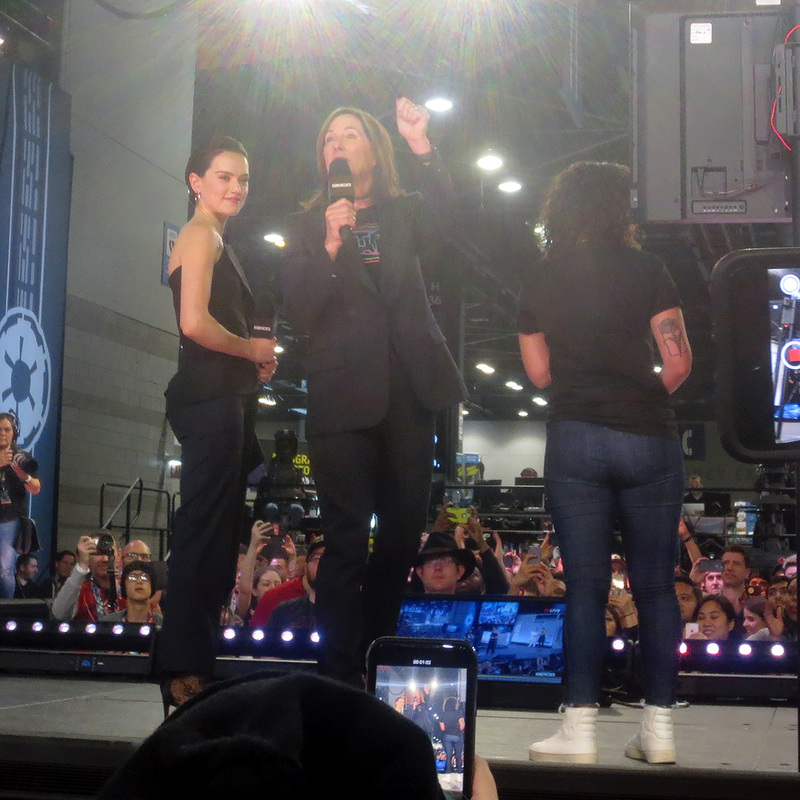 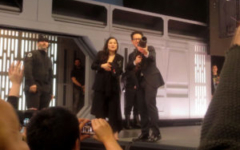 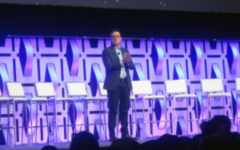 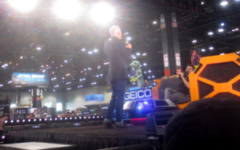 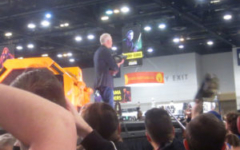 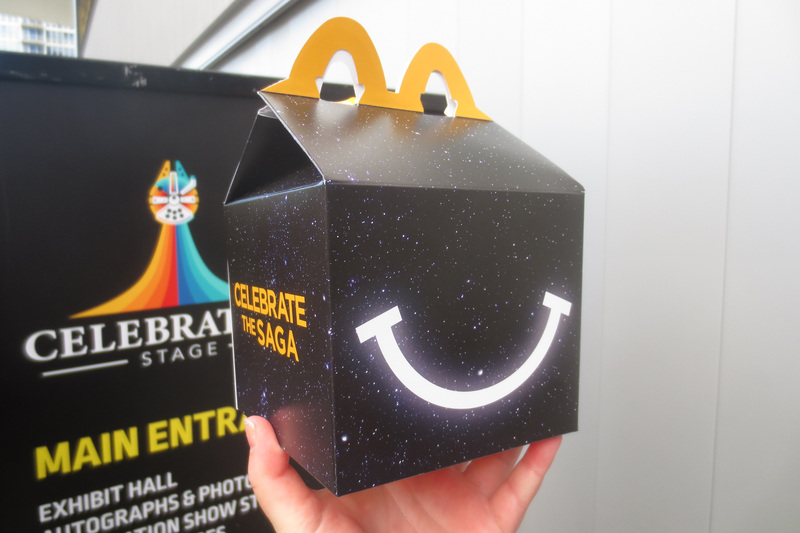 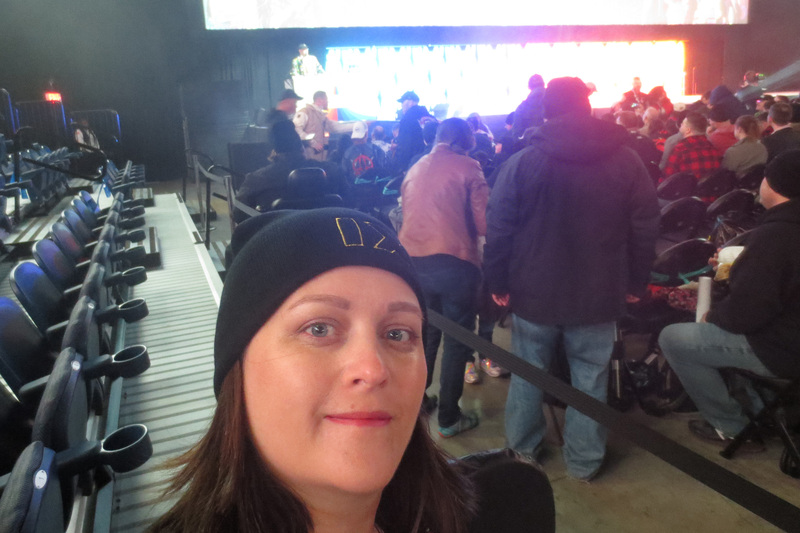 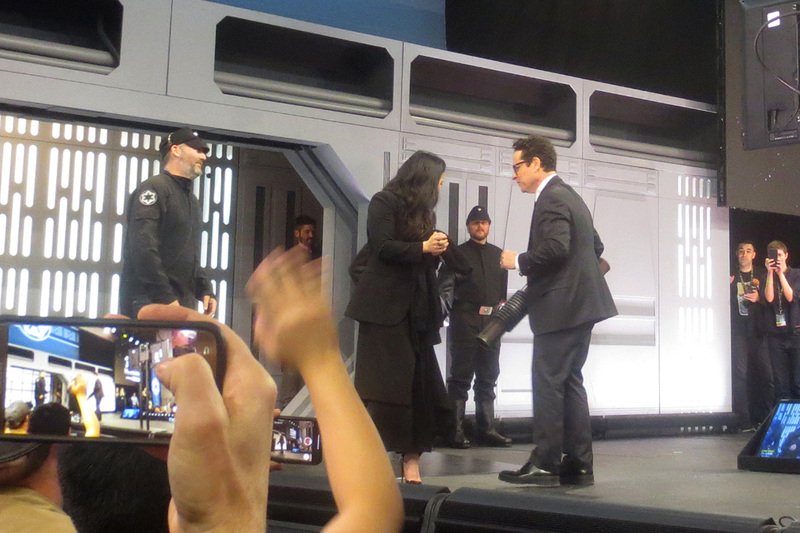 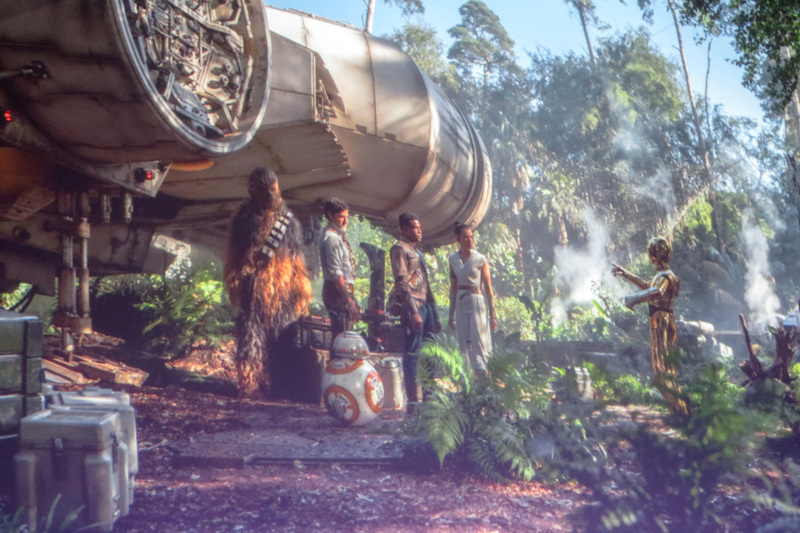 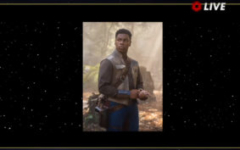 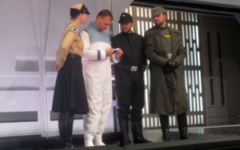 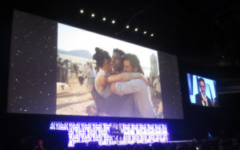 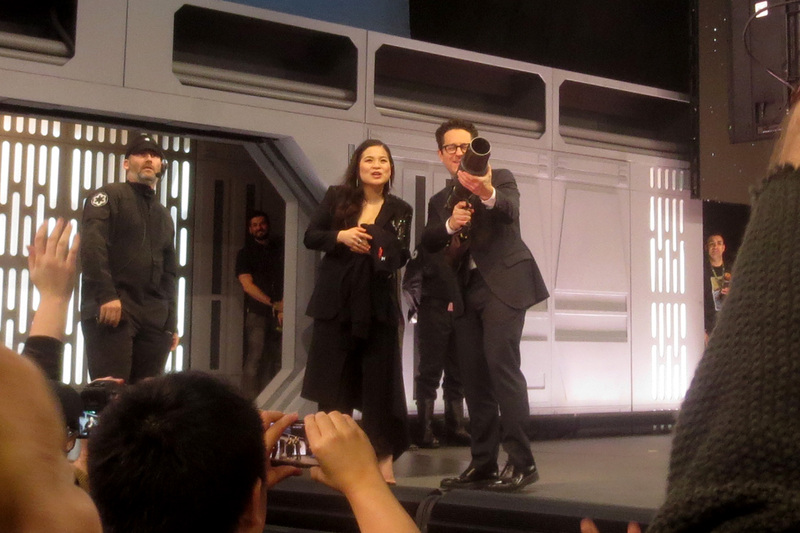 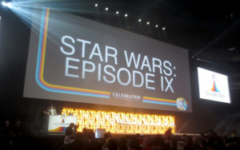 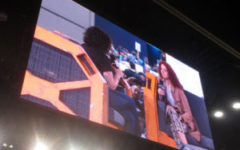 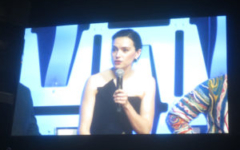 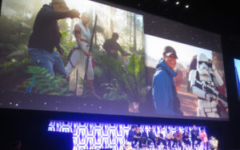 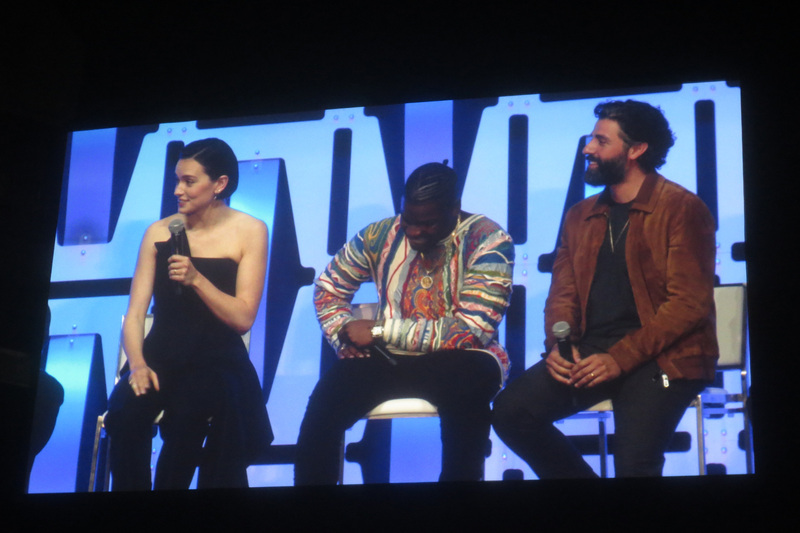 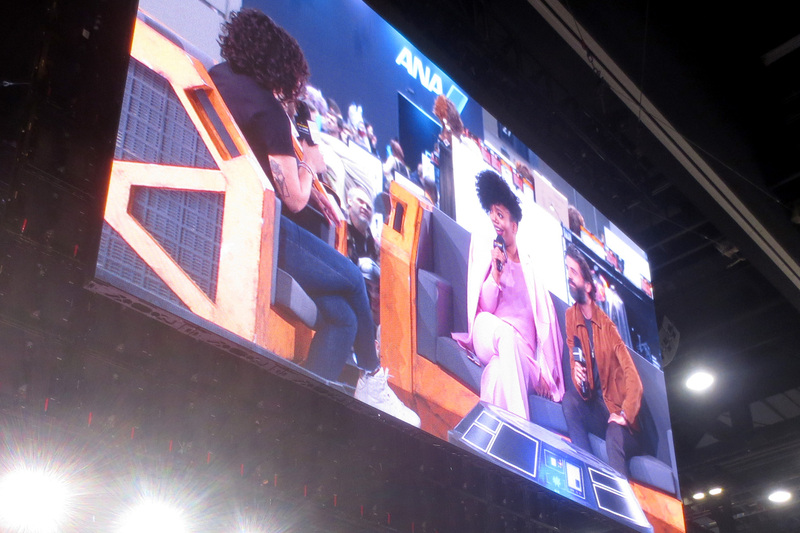 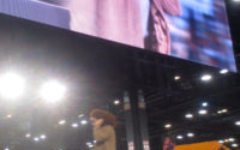 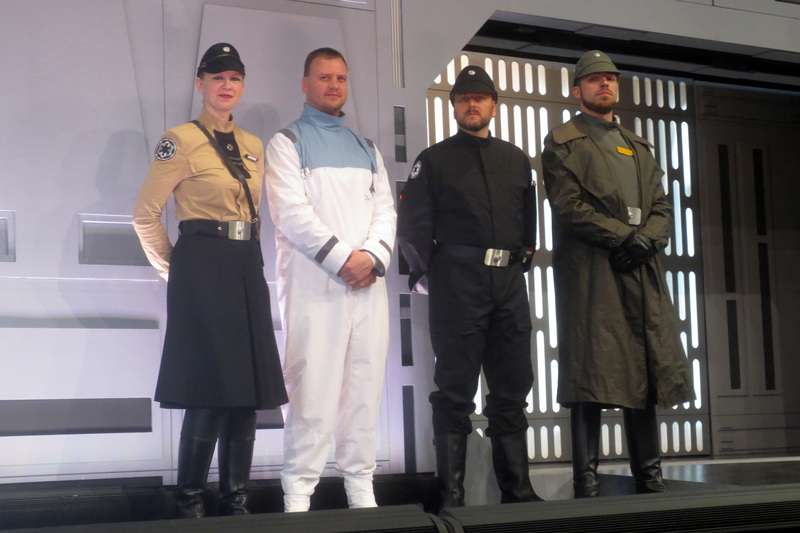 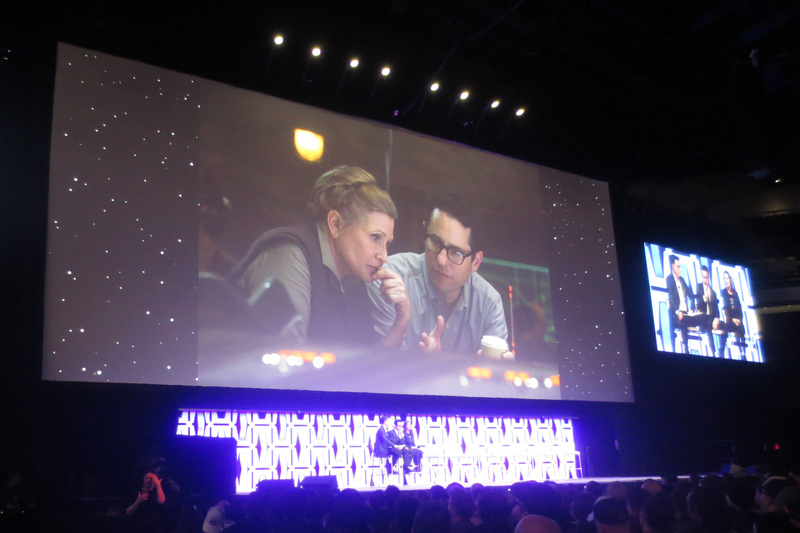 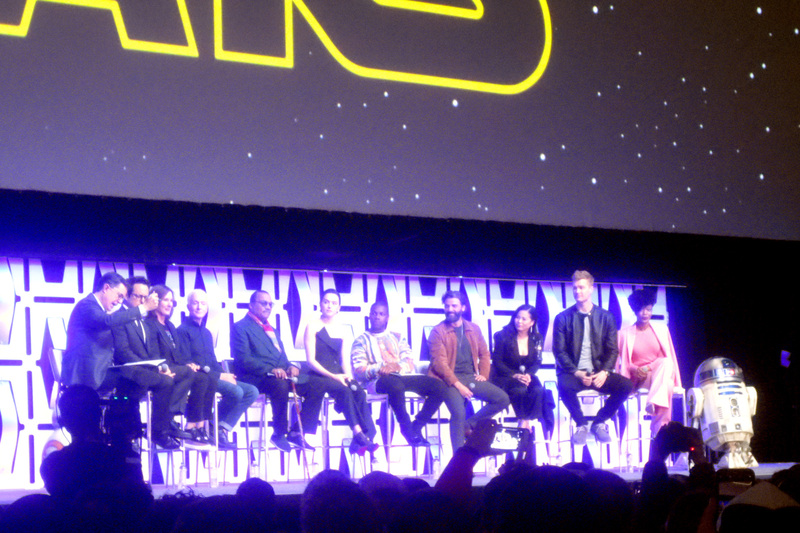 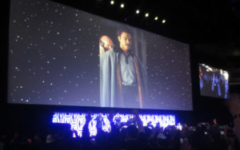 Below is a gallery of pics from the Episode IX panel at which those announcements were made, and follow up interviews with the cast at the Star Wars Show livestream stage. 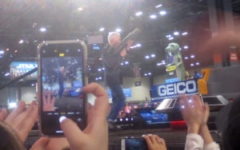 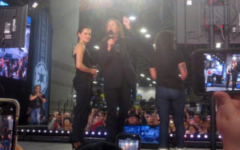 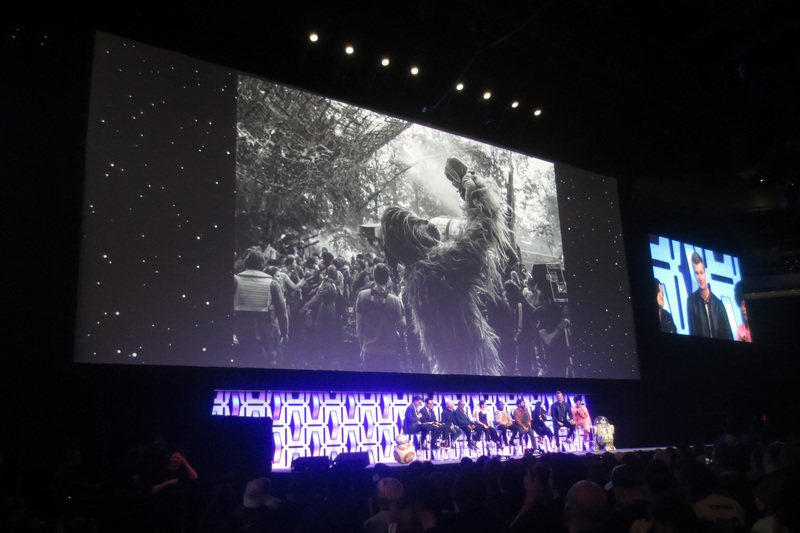 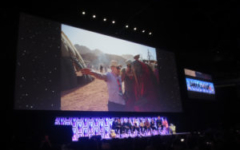 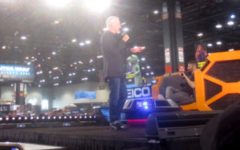 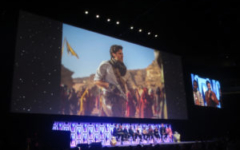 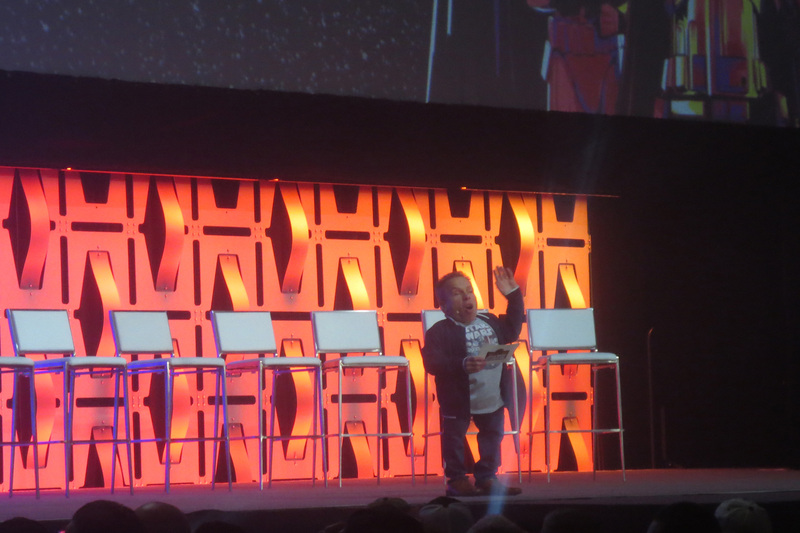 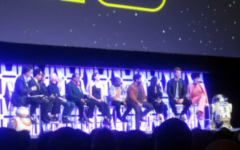 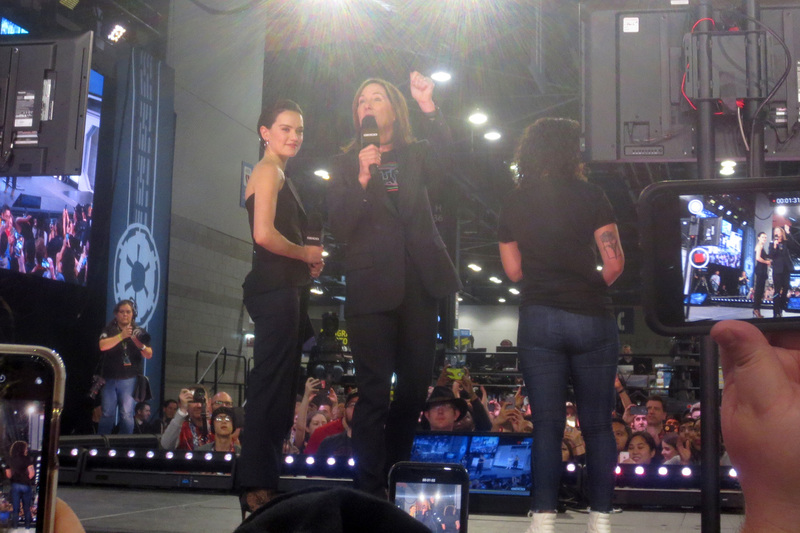 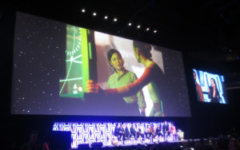 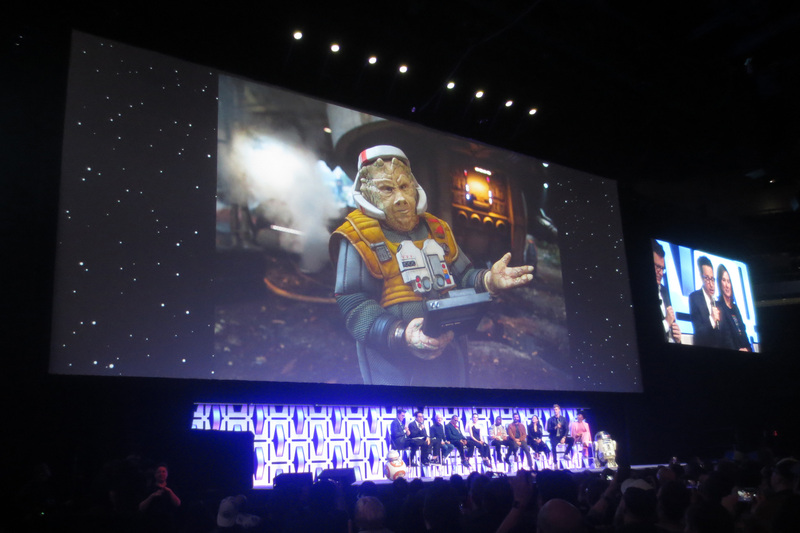 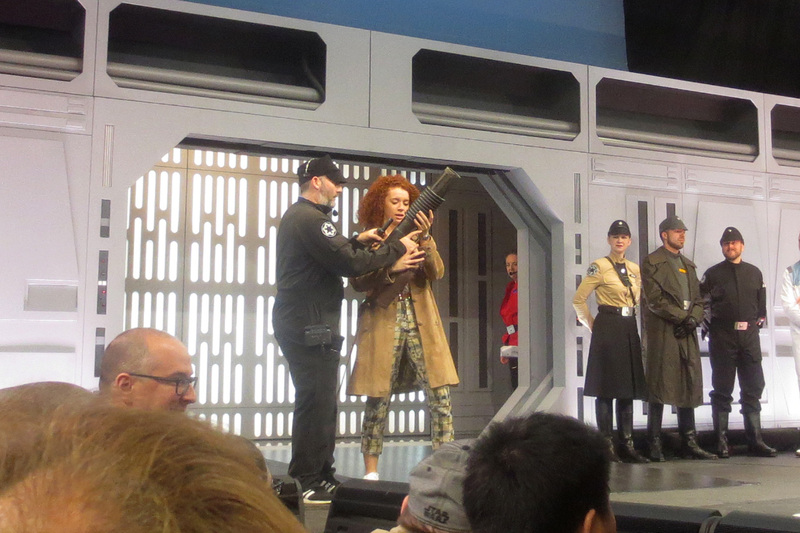 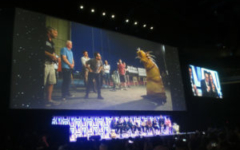 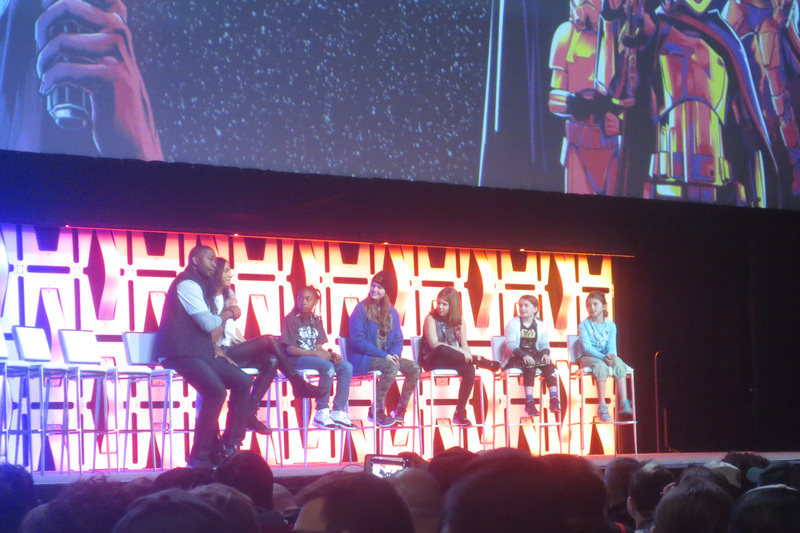 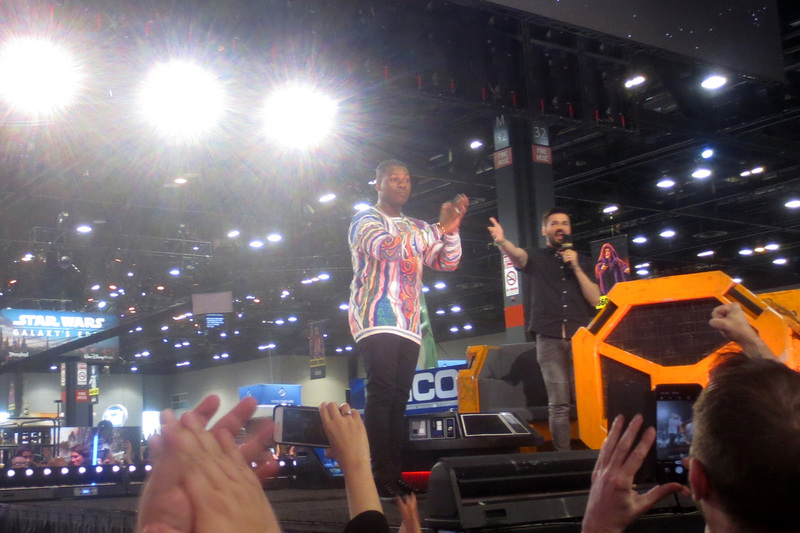 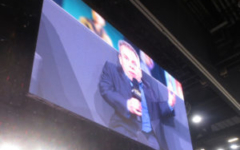 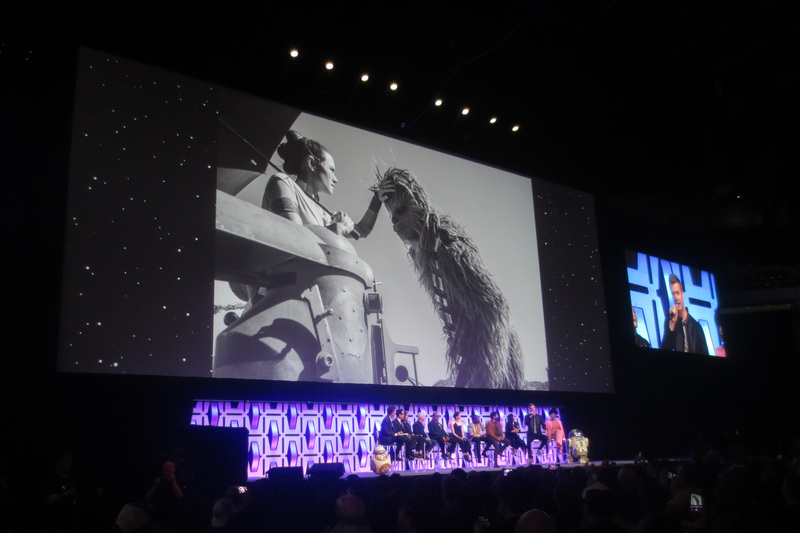 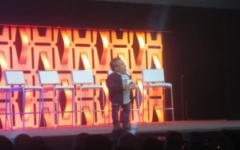 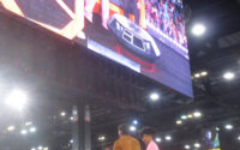 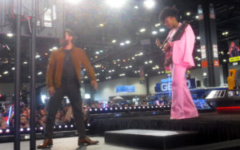 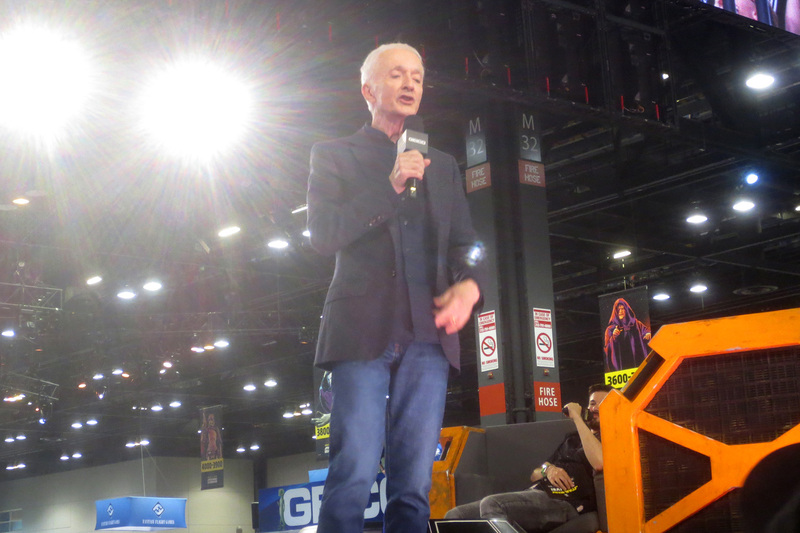 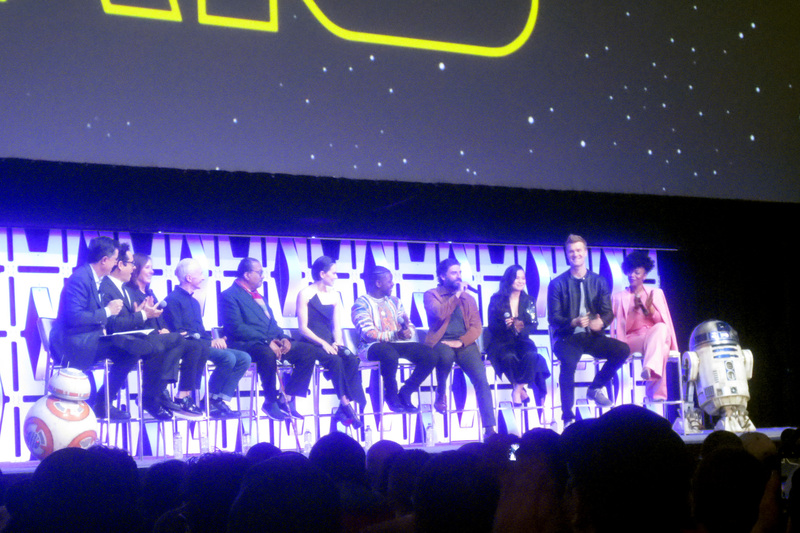 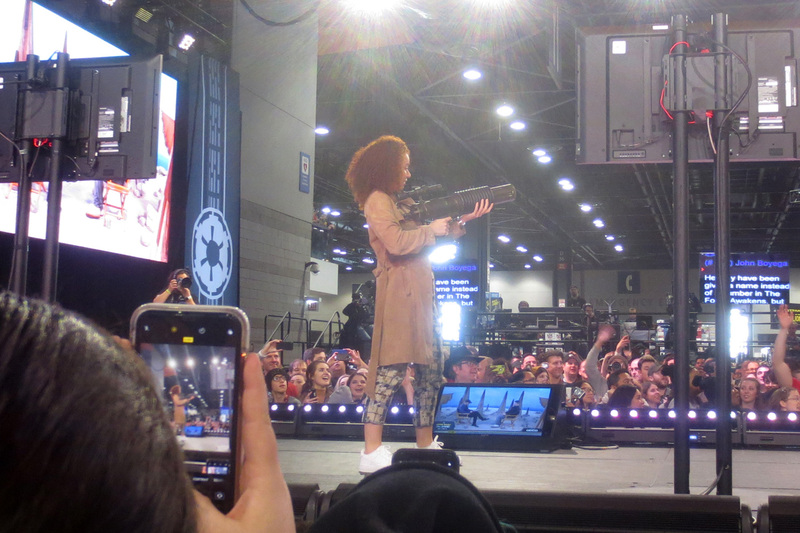 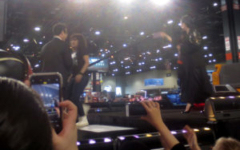 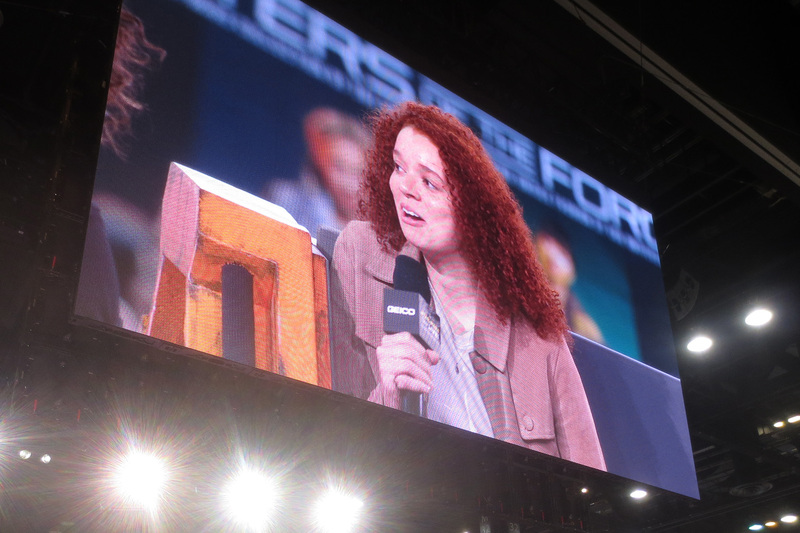 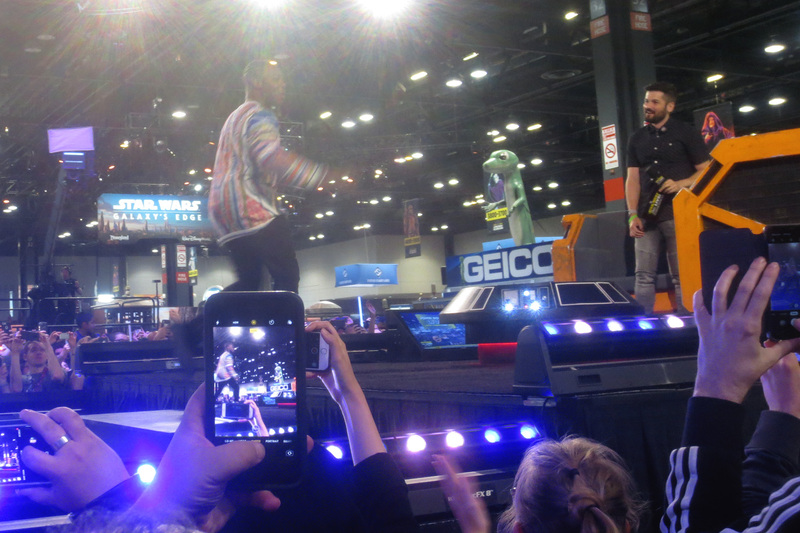 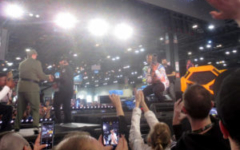 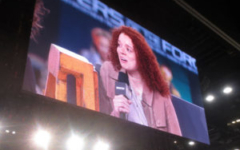 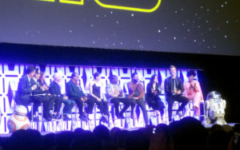 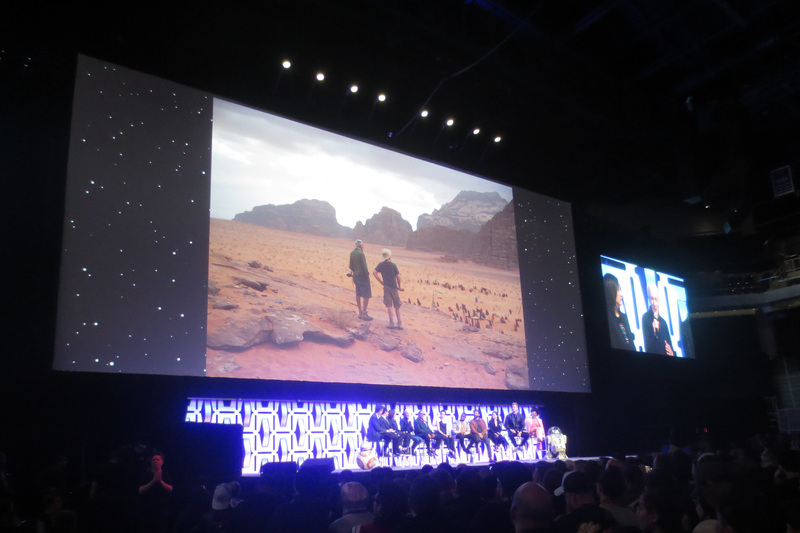 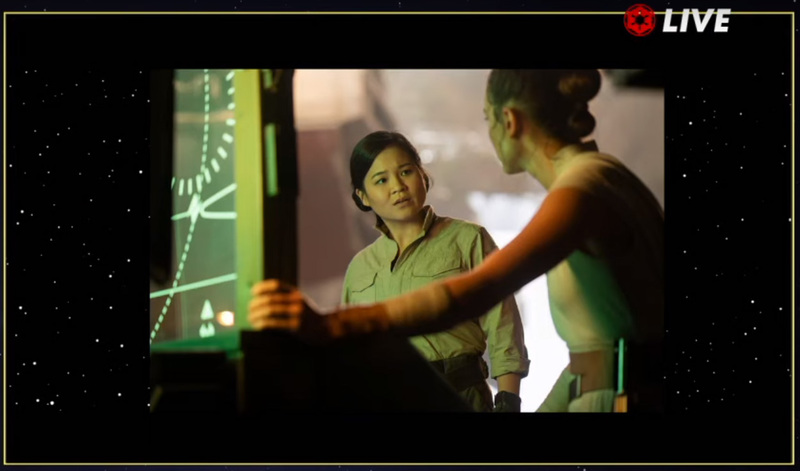 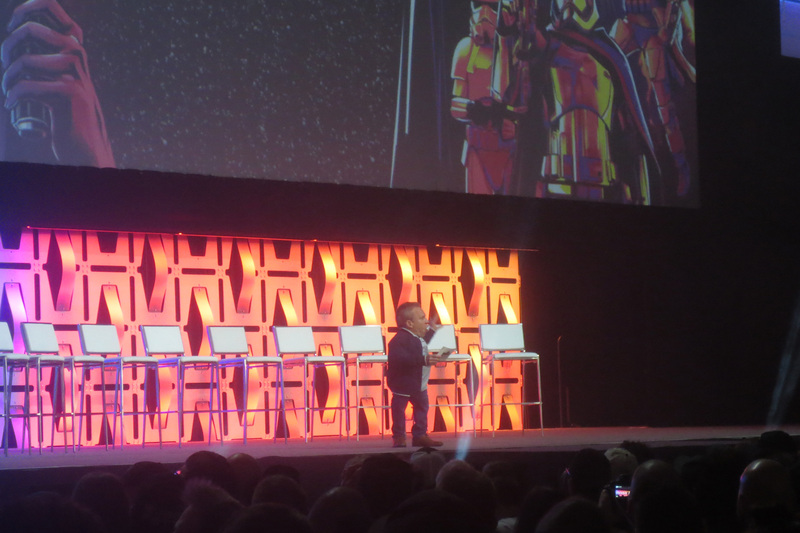 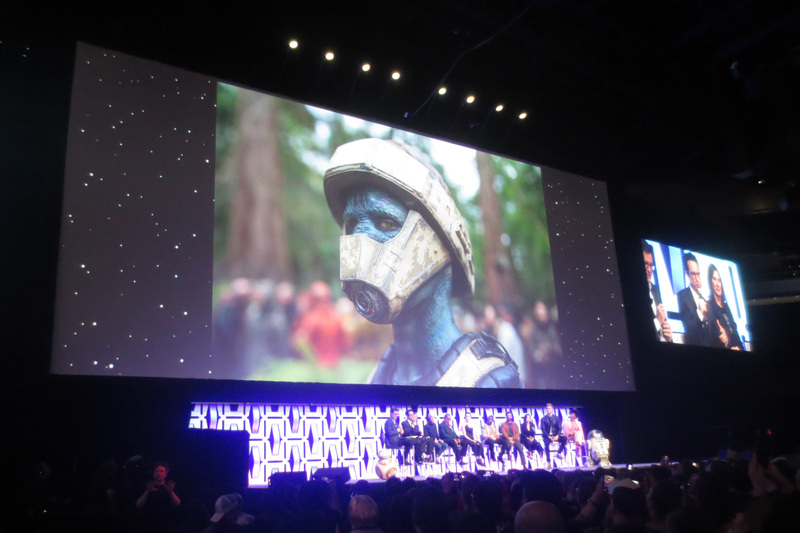 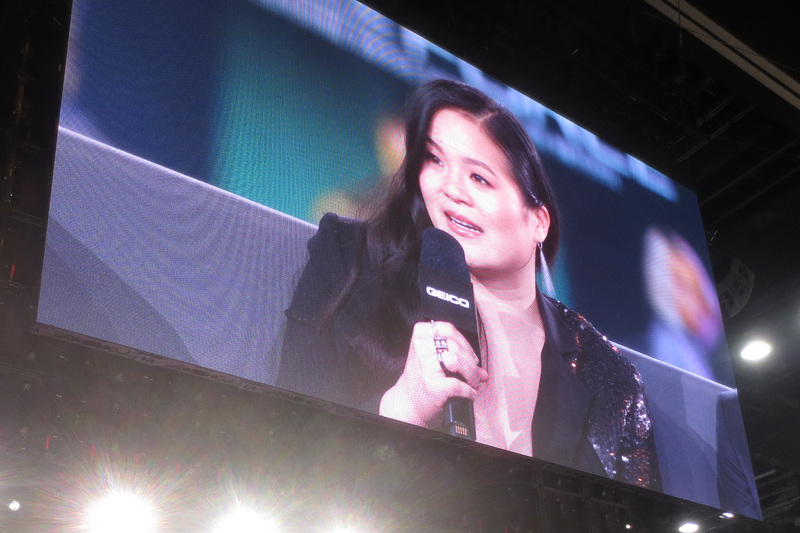 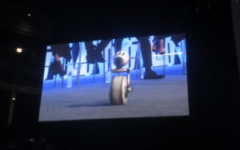 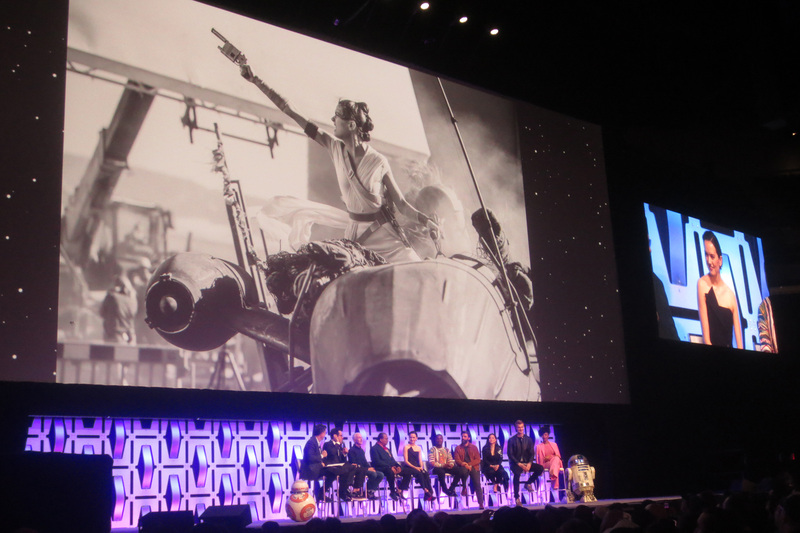 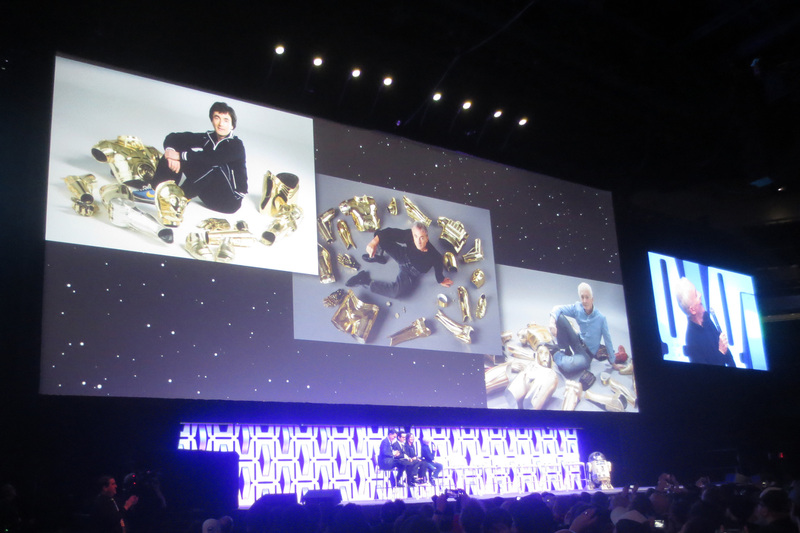 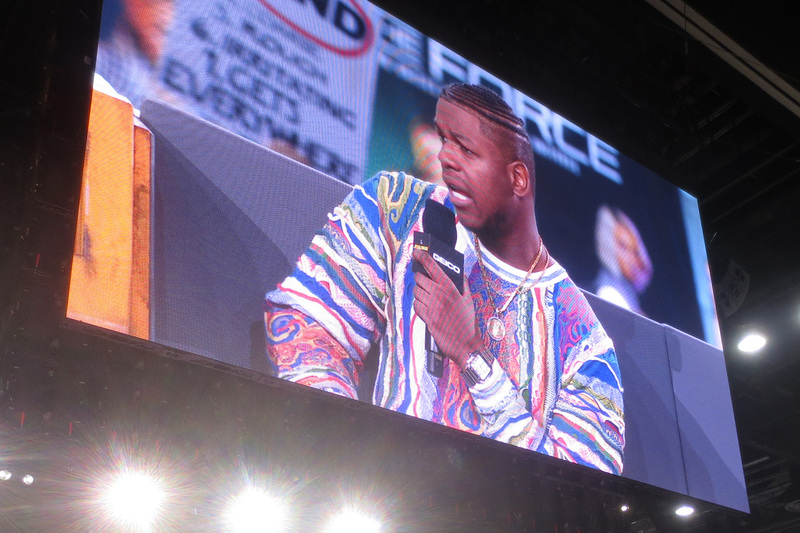 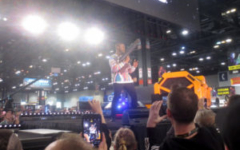 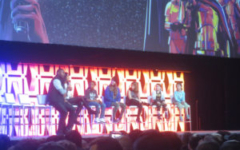 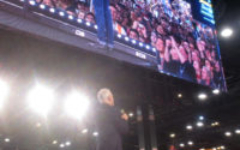 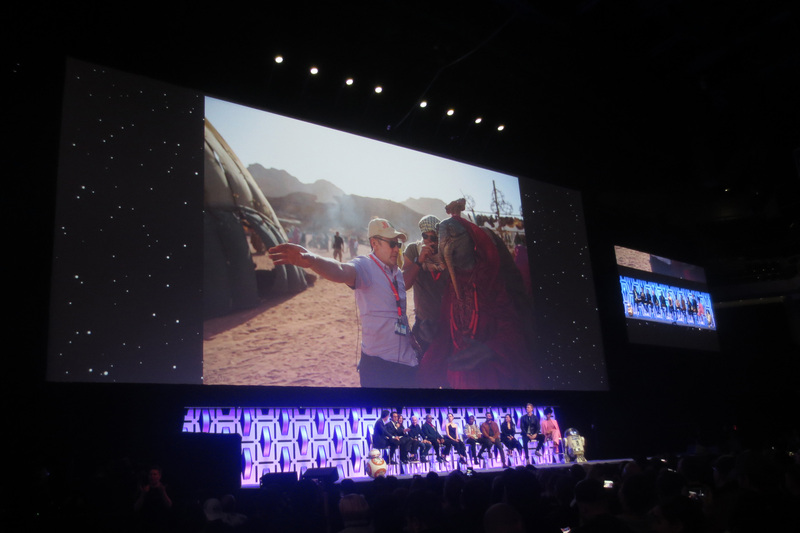 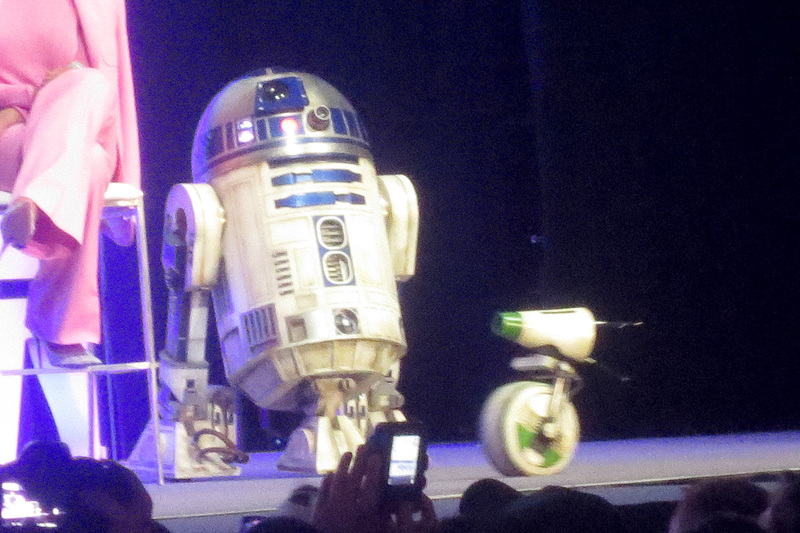 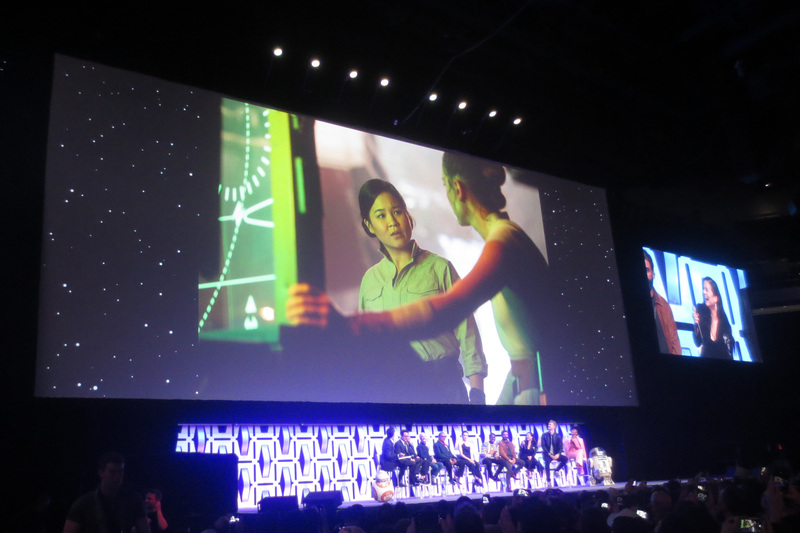 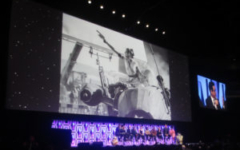 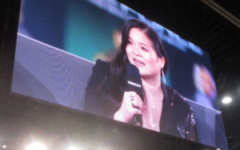 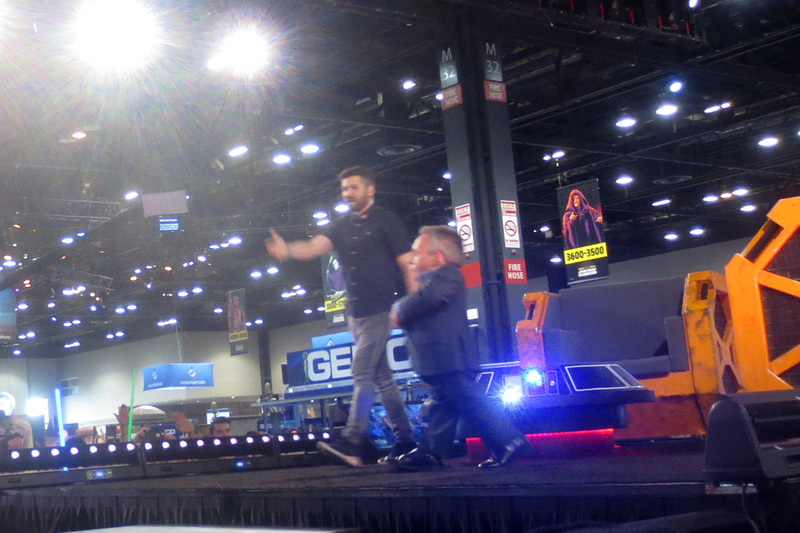 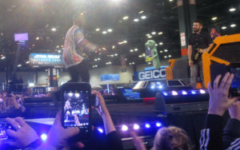 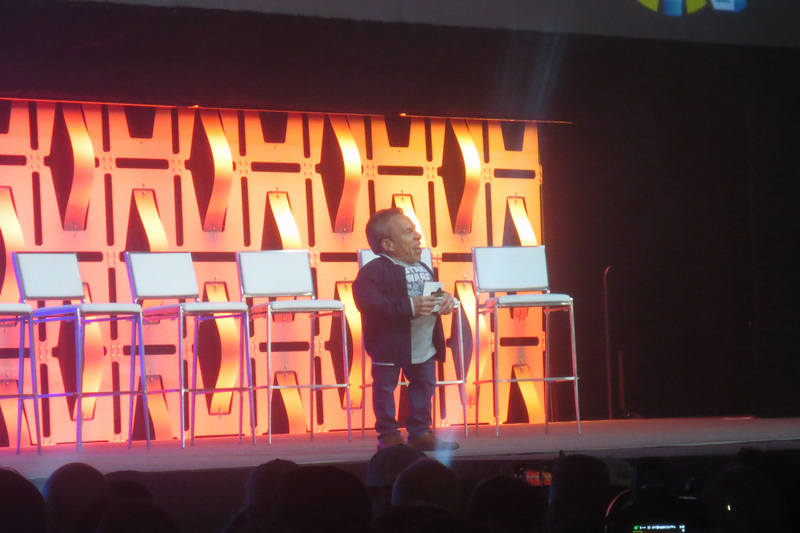 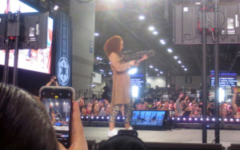 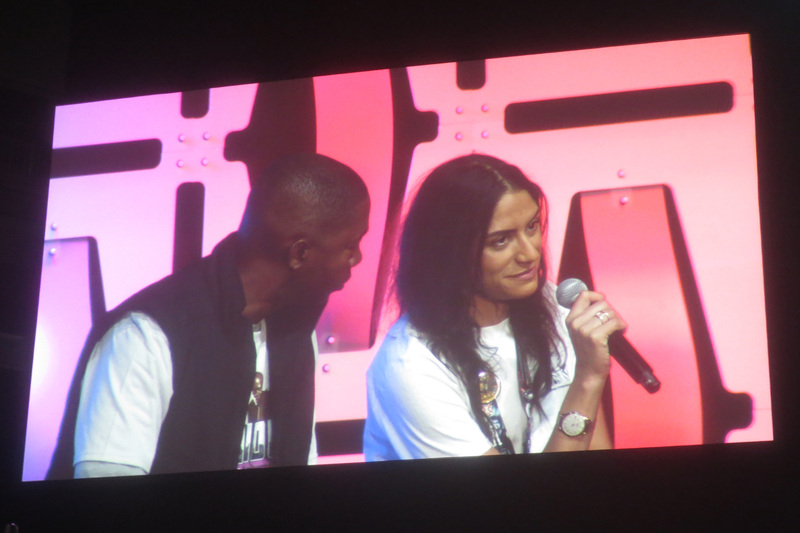 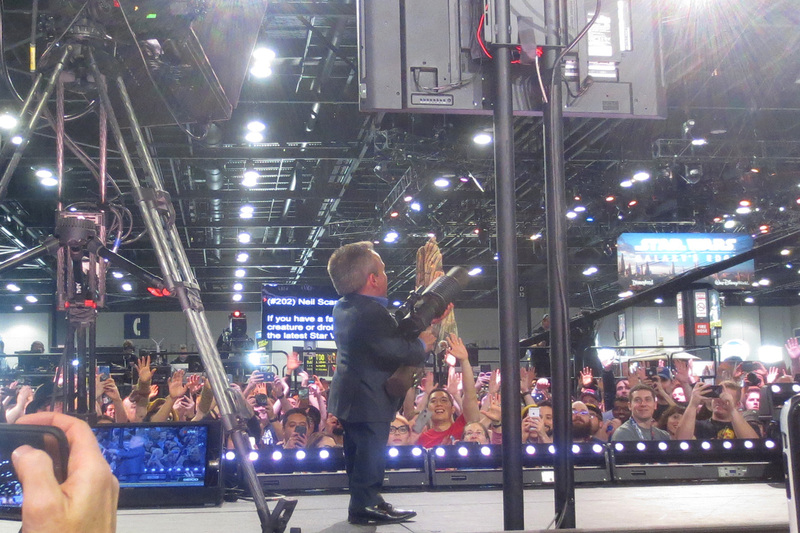 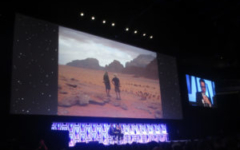 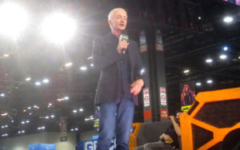 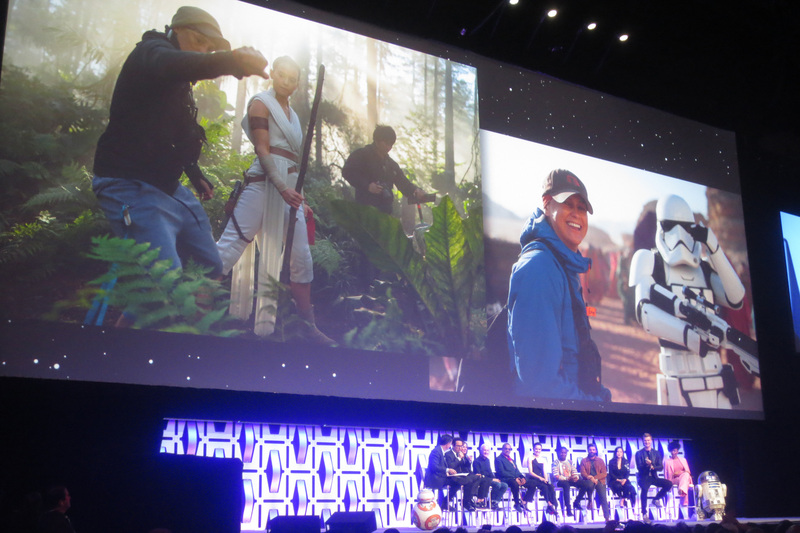 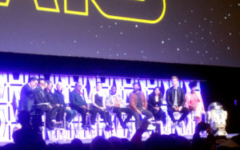 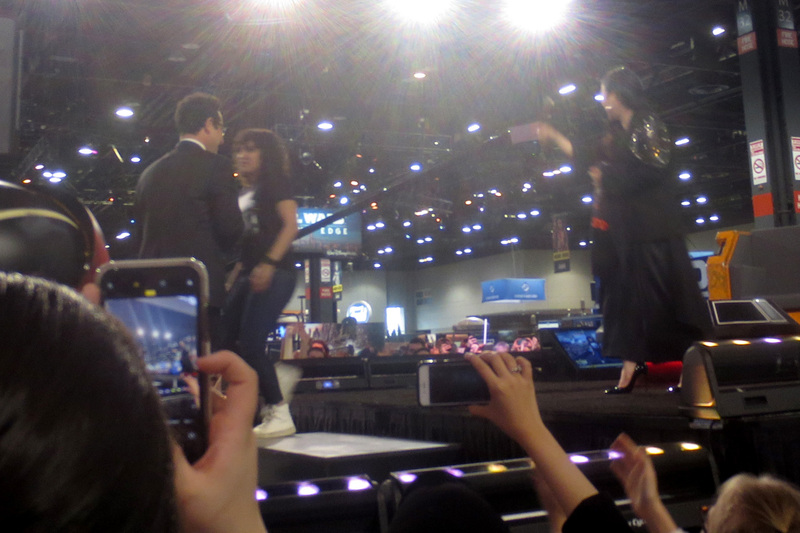 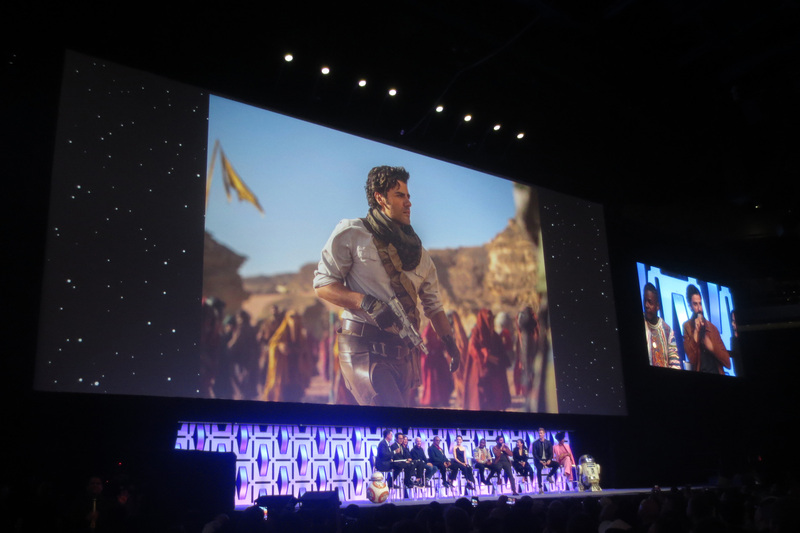 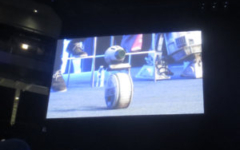 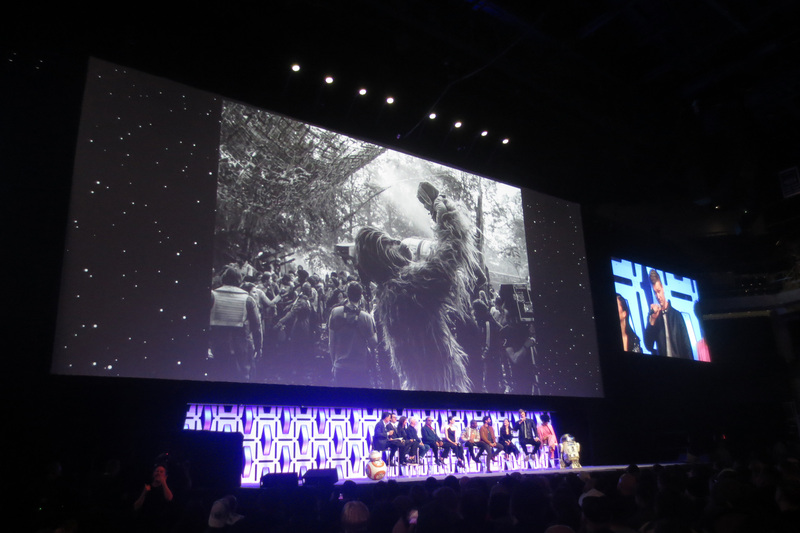 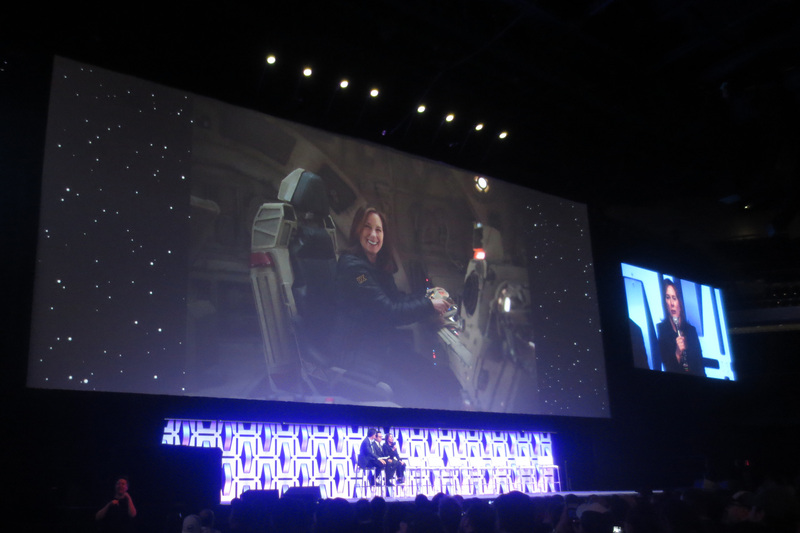 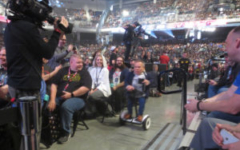 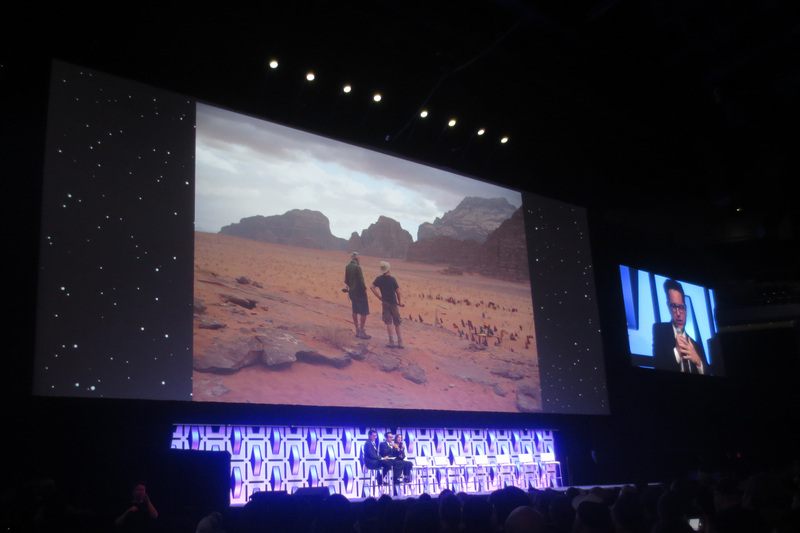 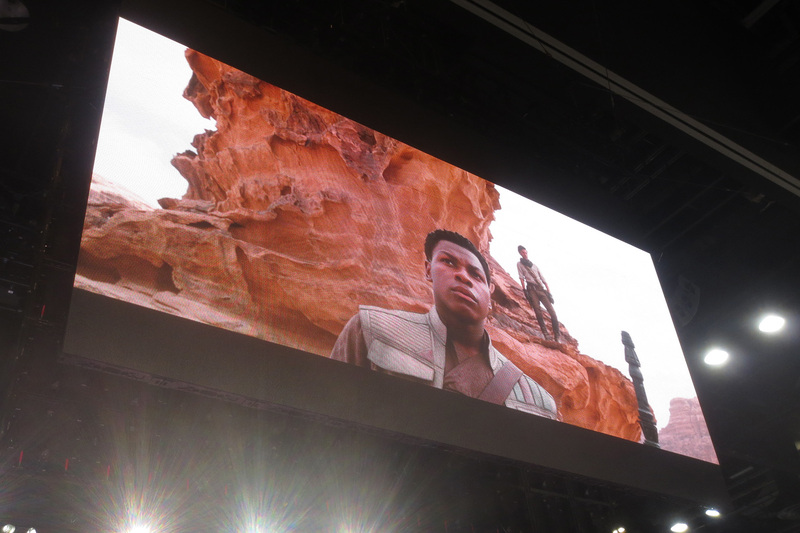 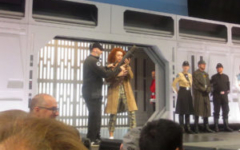 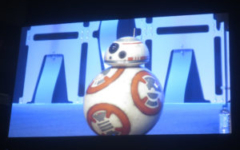 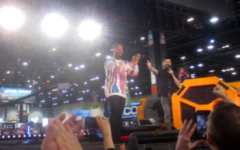 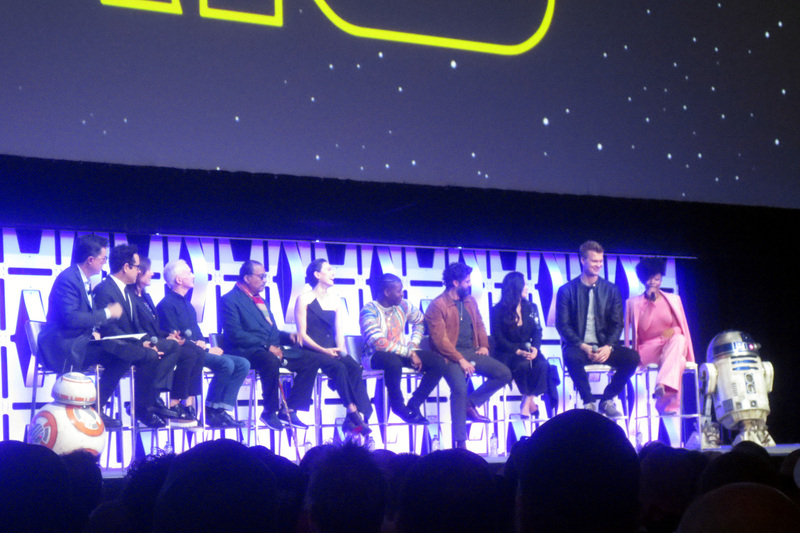 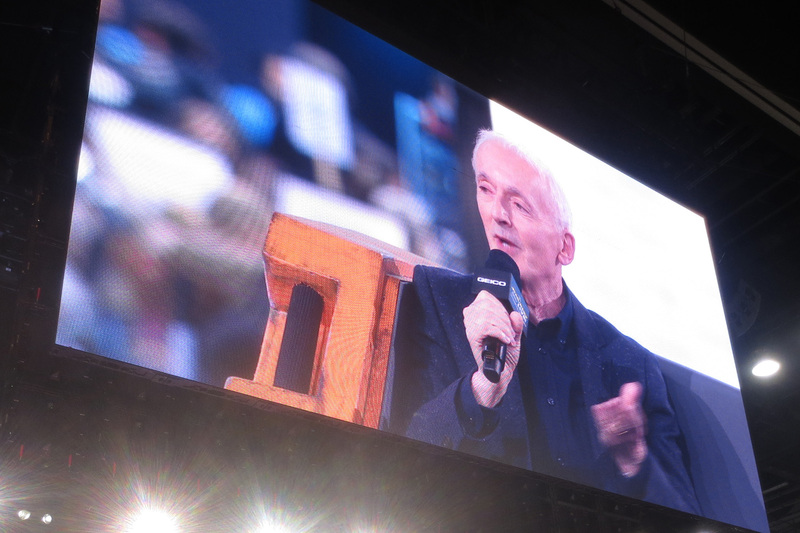 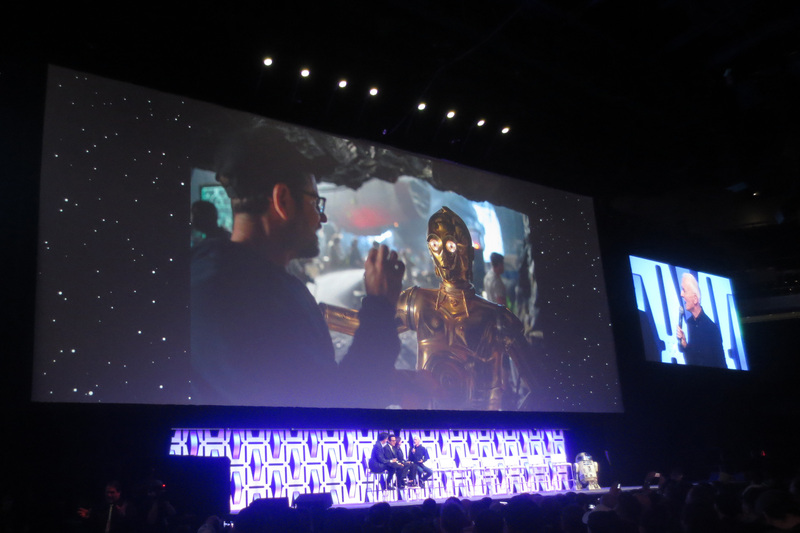 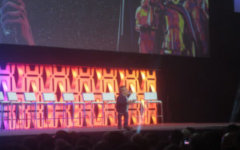 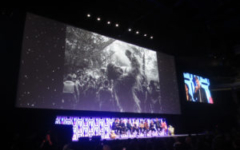 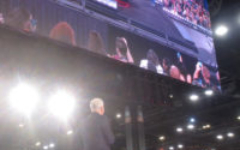 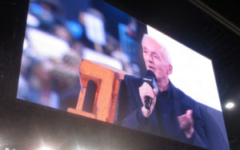 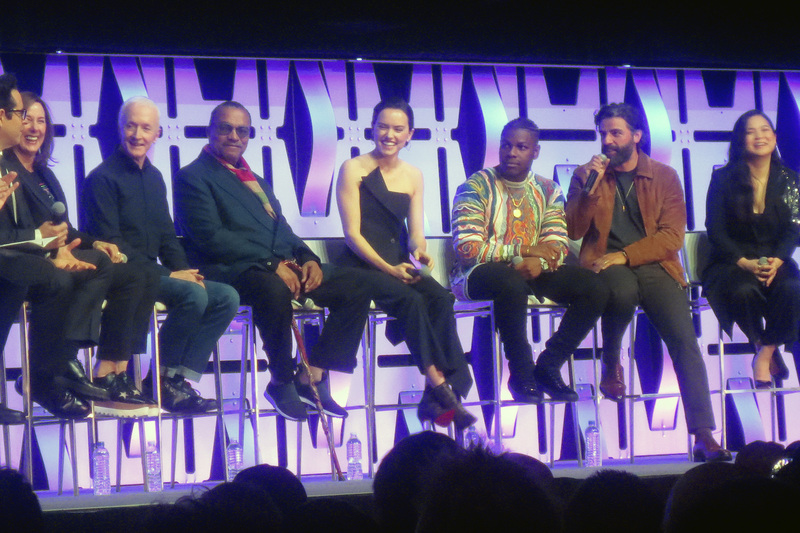 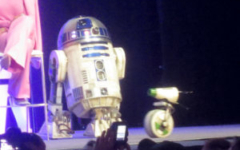 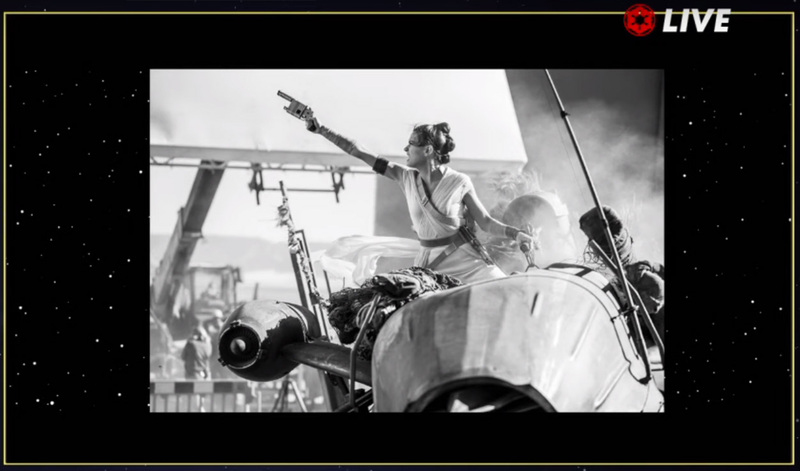 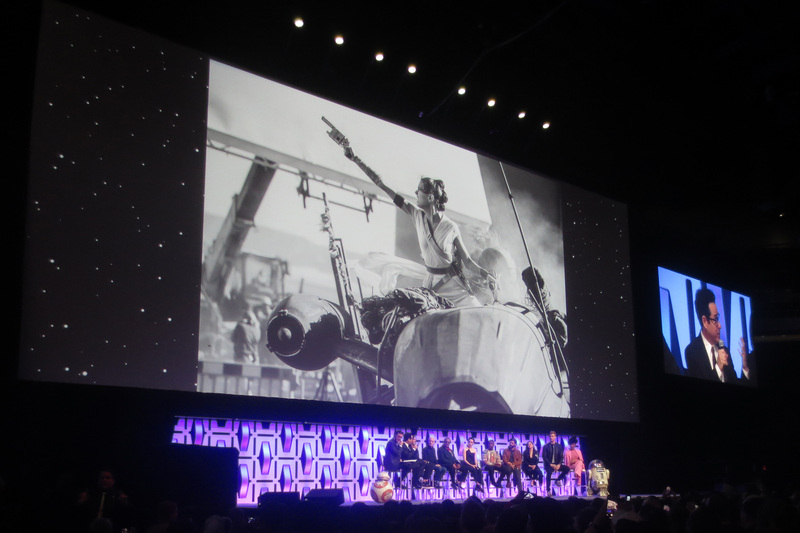 Featured on that stage at various points were Alan Tudyk (Rogue One: A Star Wars Story), Daisy Ridley with Kathleen Kennedy, John Boyega, Erin Kellyman (Solo: A Star Wars Story) Anthony Daniels, Oscar Isaac with Naomi Ackie, JJ Abrams with Kelly Marie Tran, and Warwick Davis. 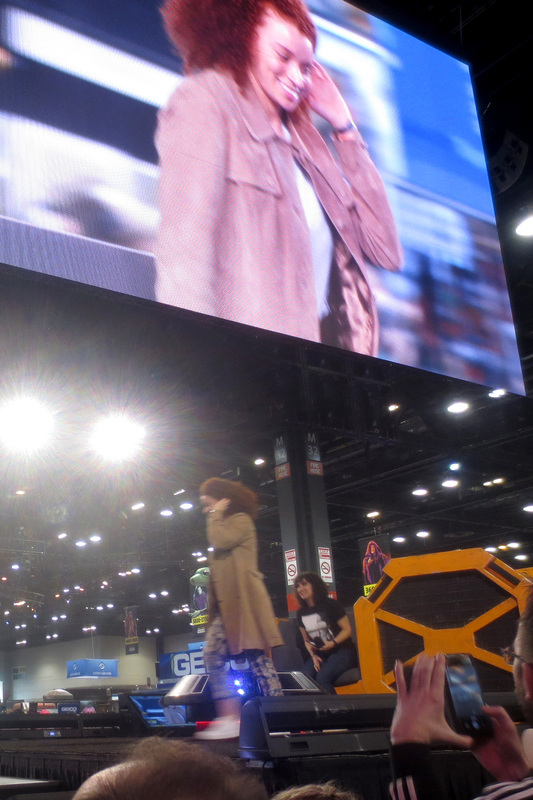 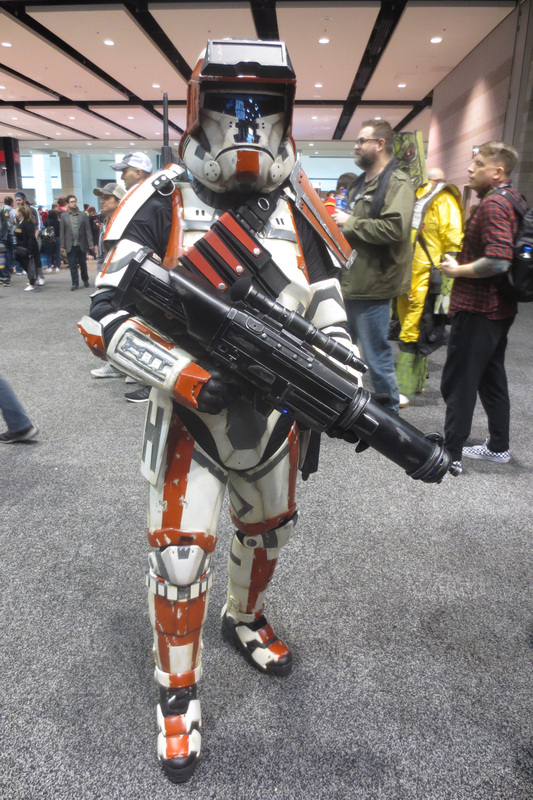 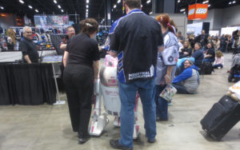 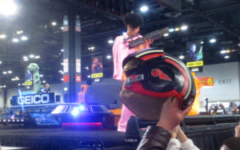 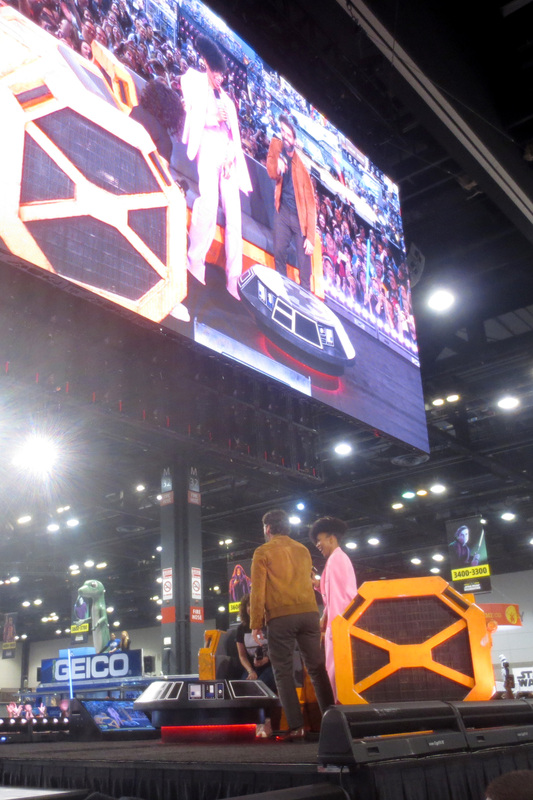 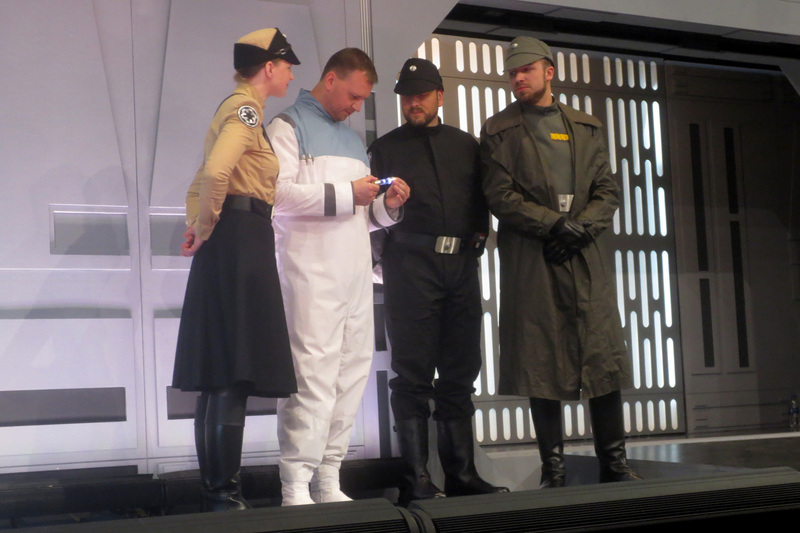 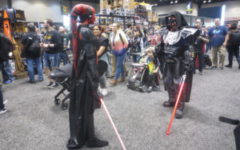 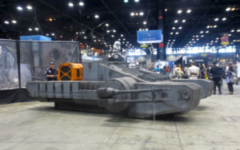 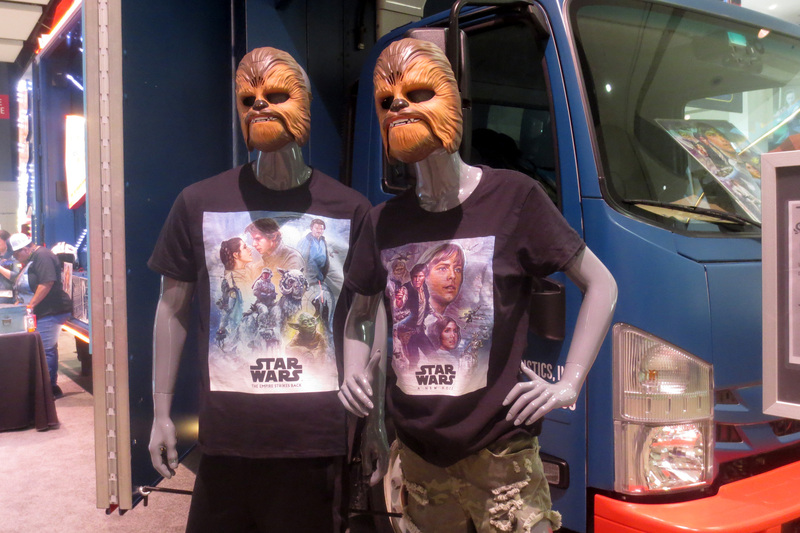 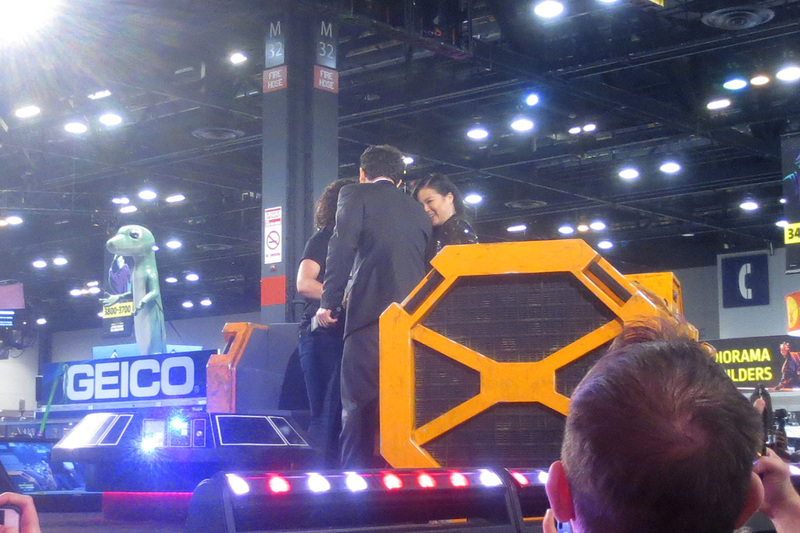 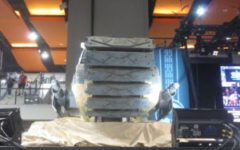 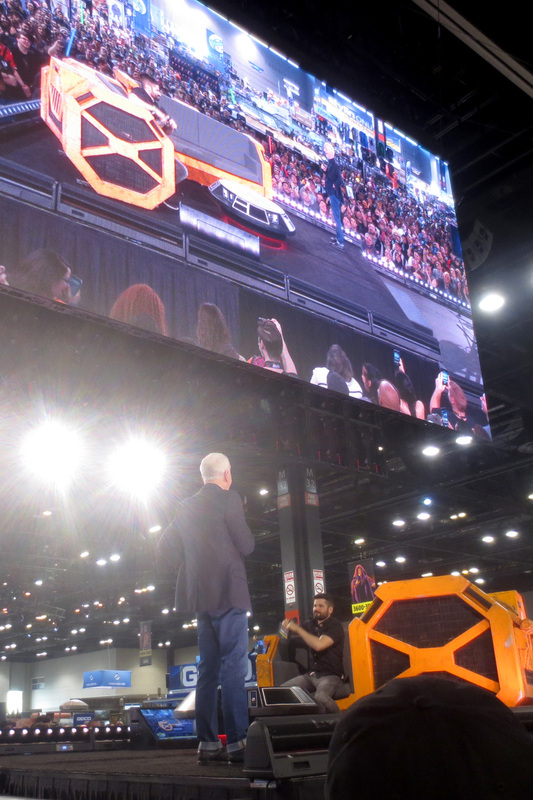 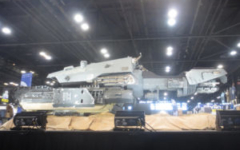 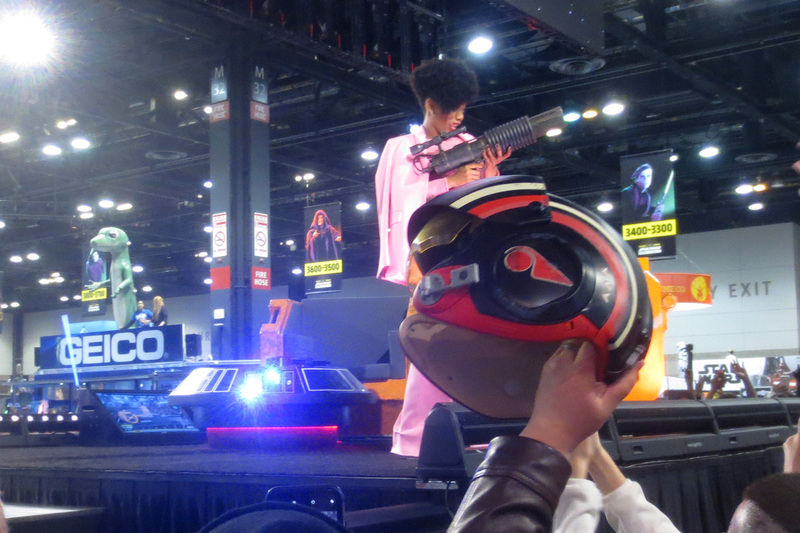 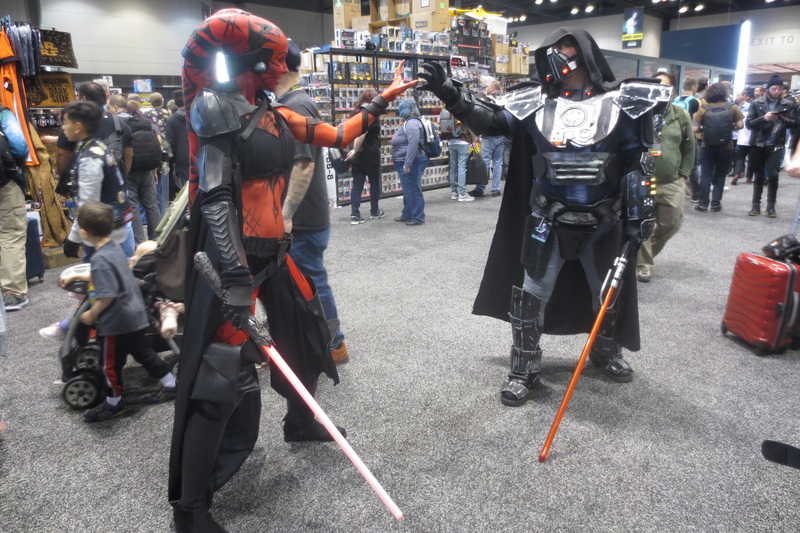 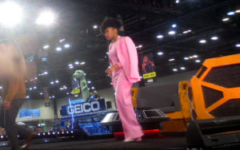 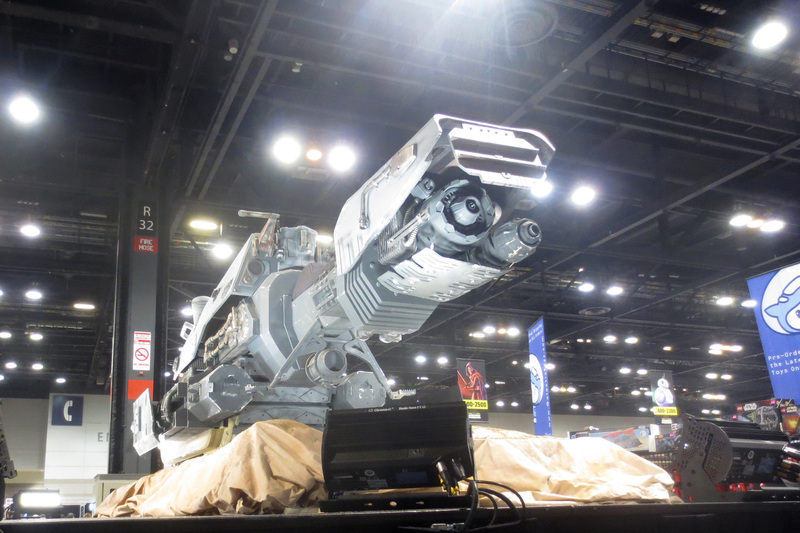 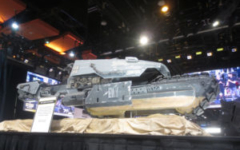 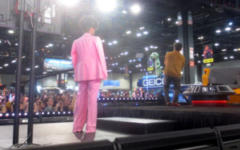 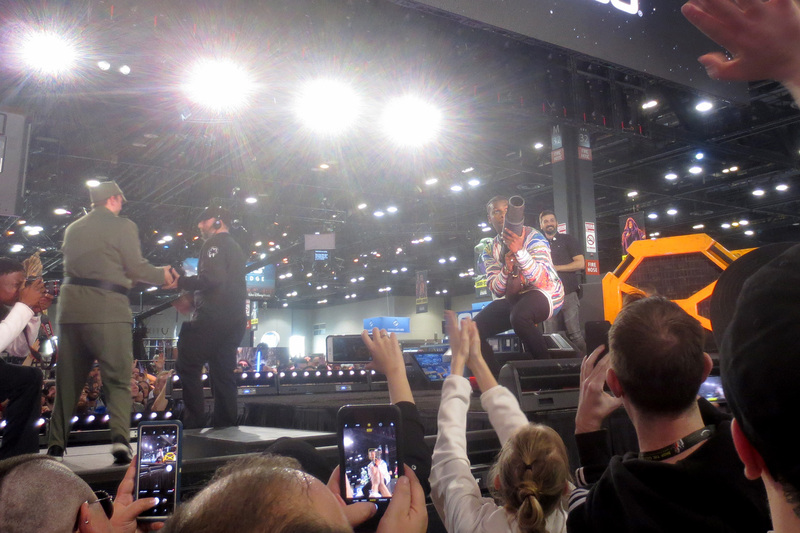 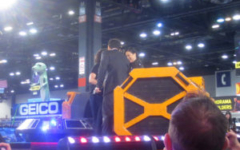 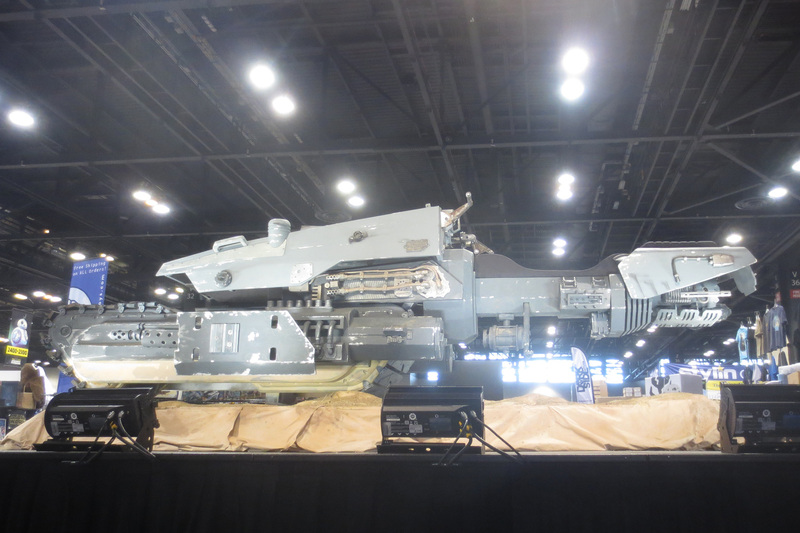 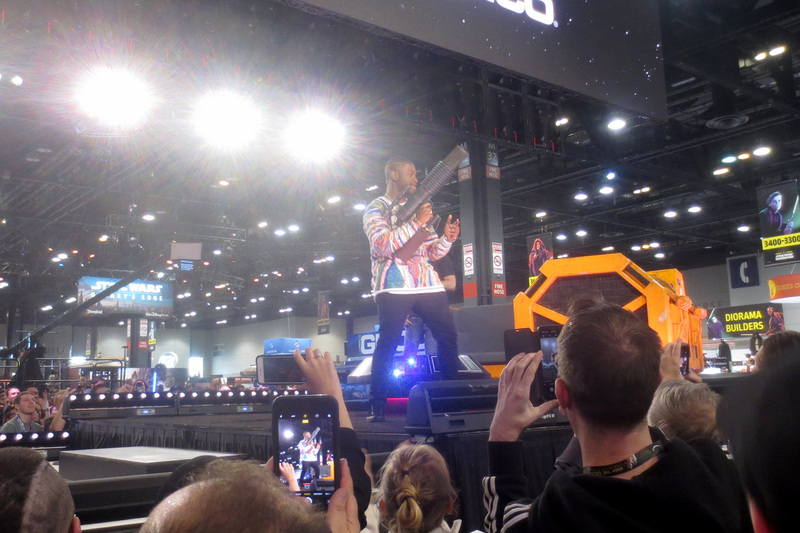 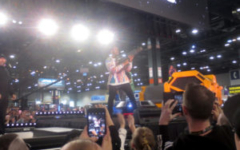 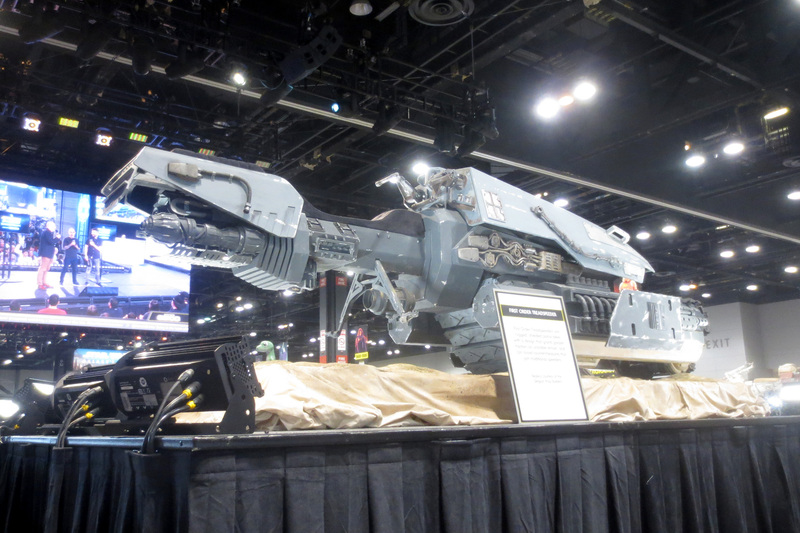 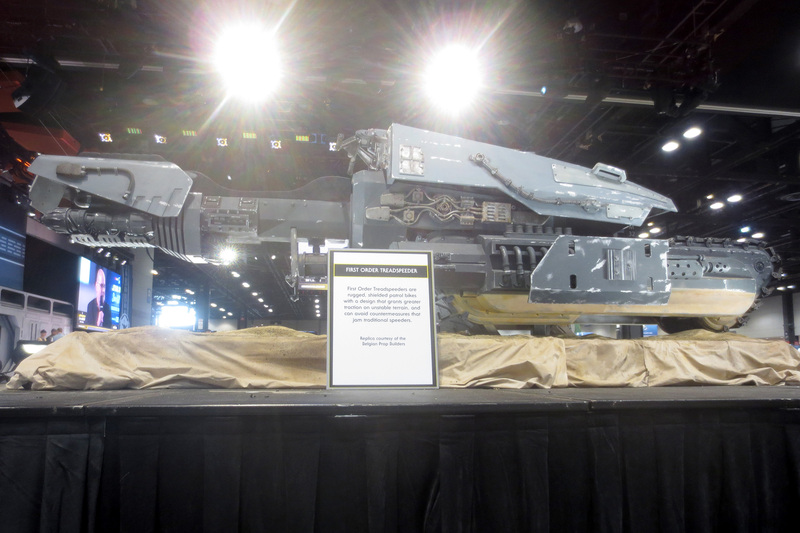 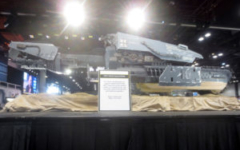 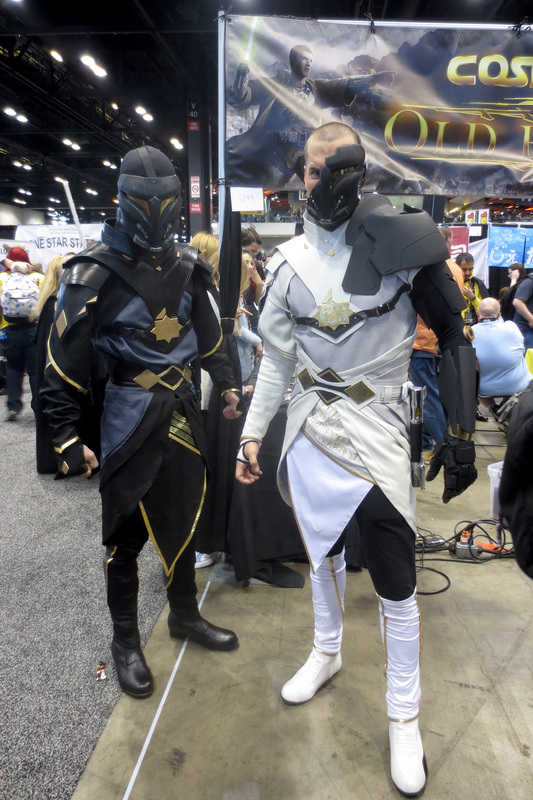 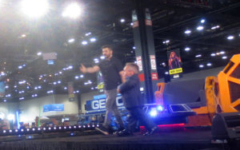 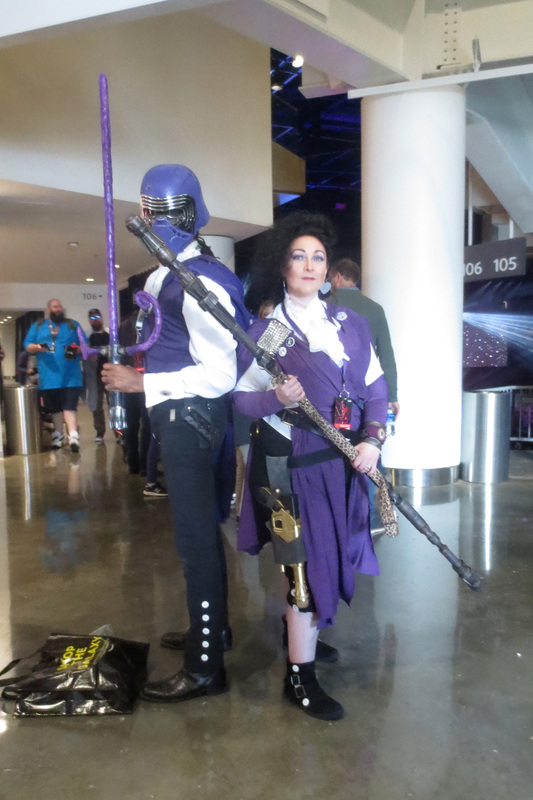 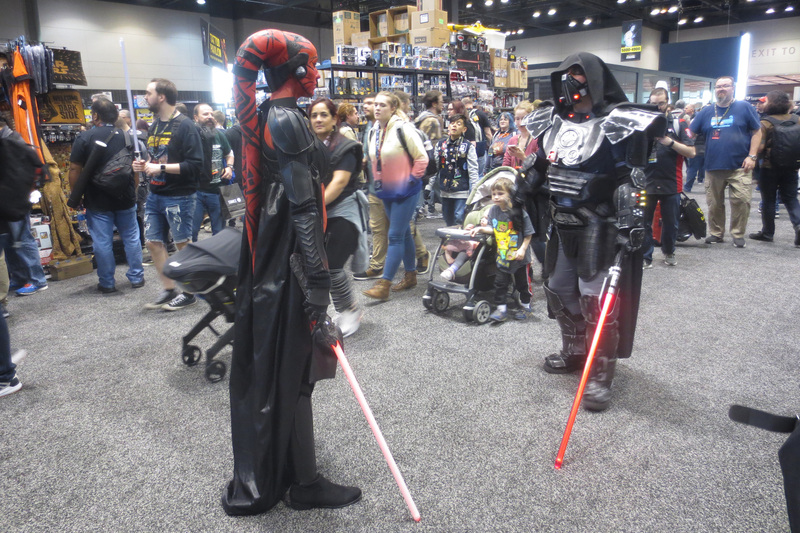 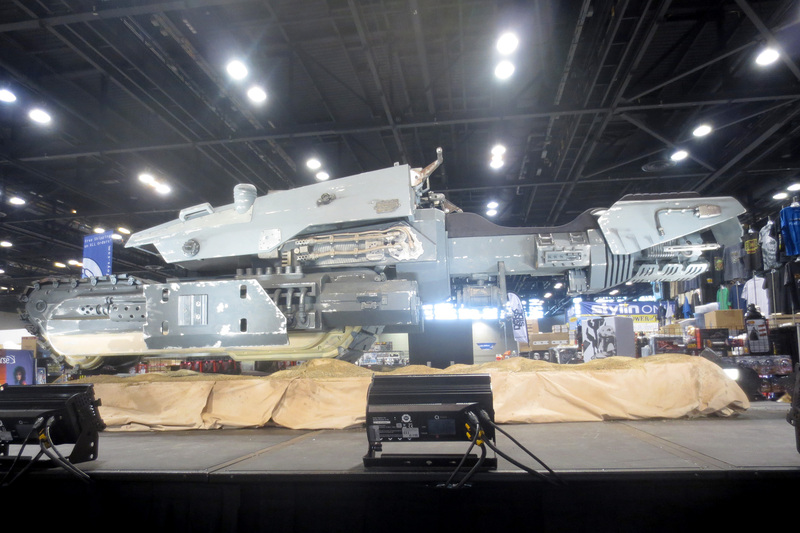 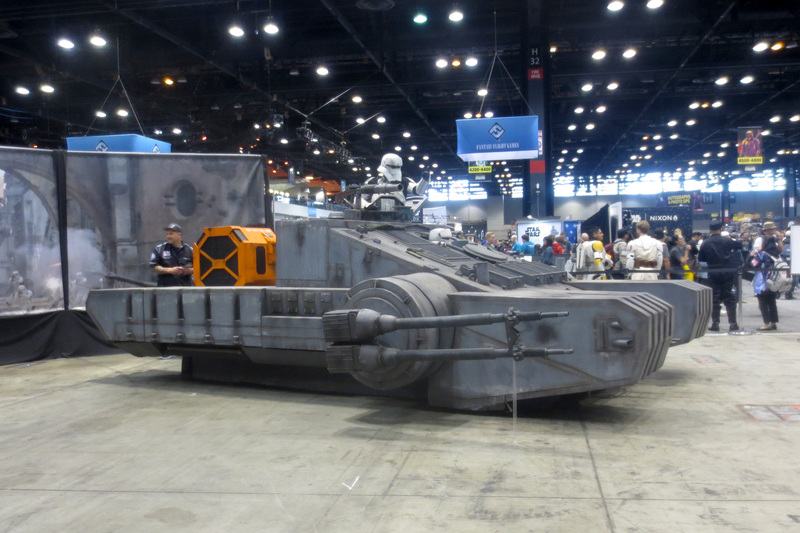 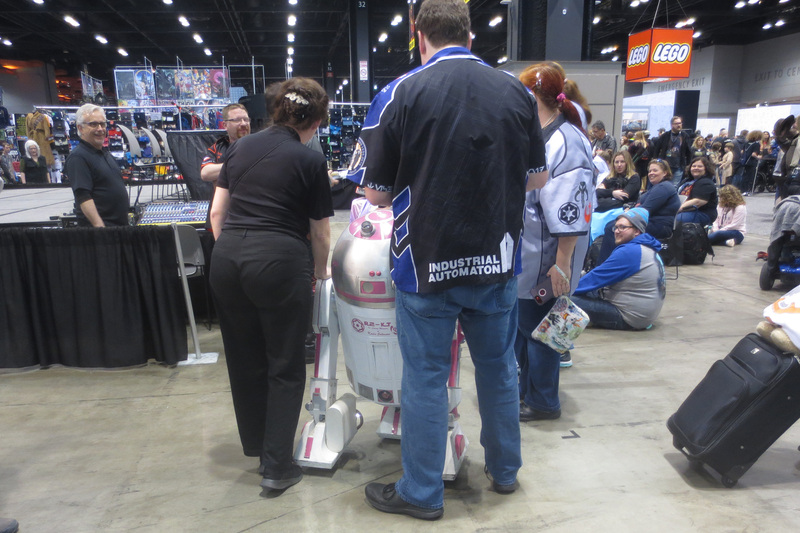 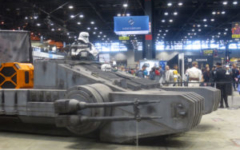 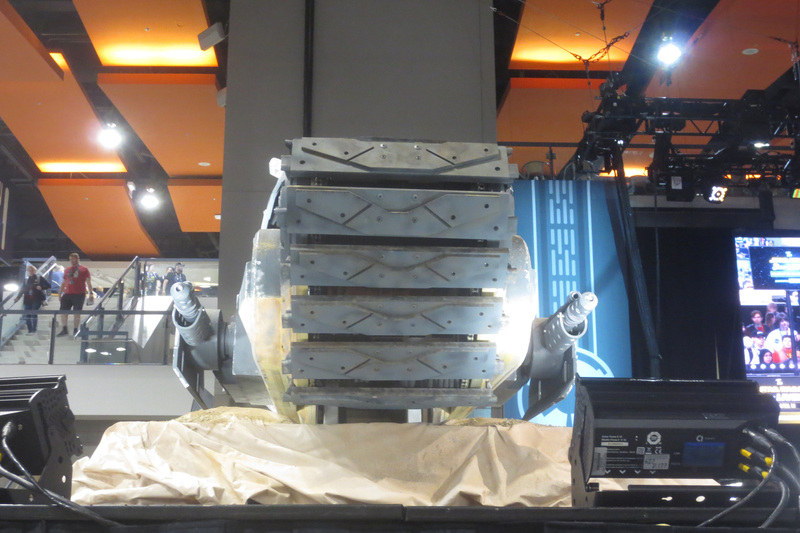 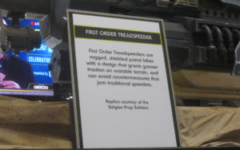 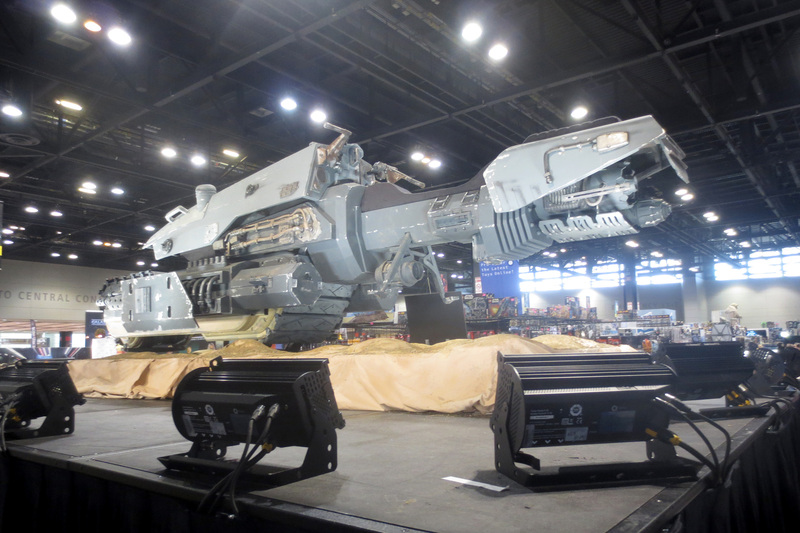 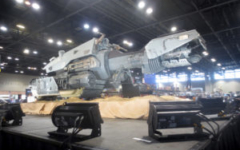 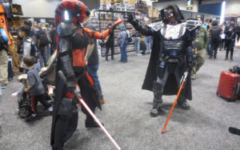 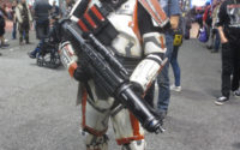 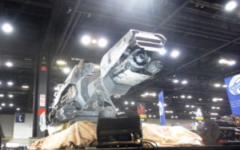 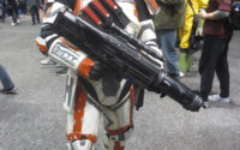 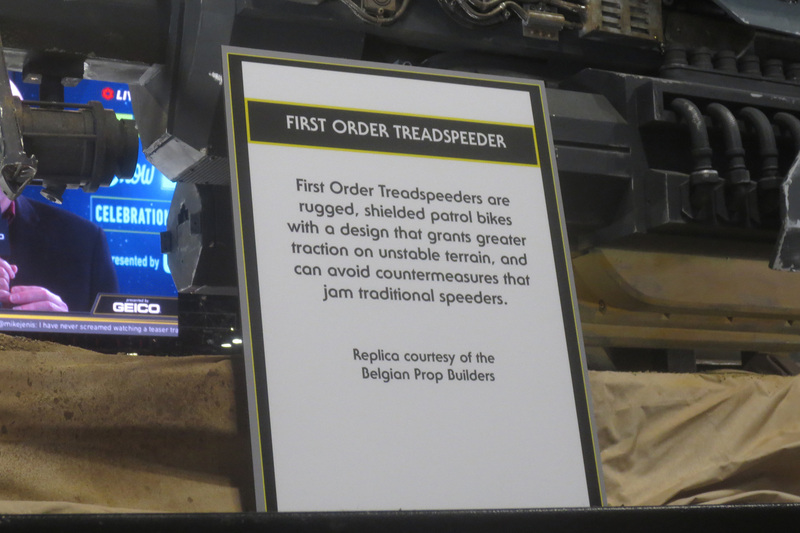 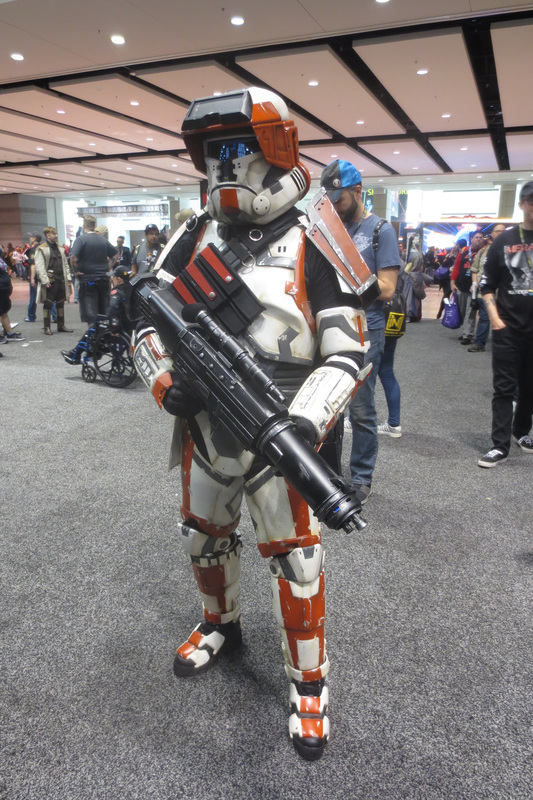 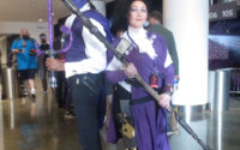 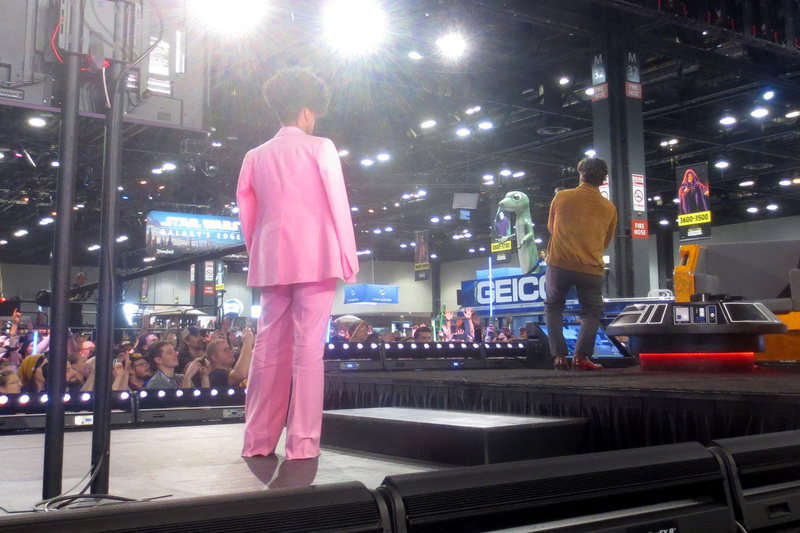 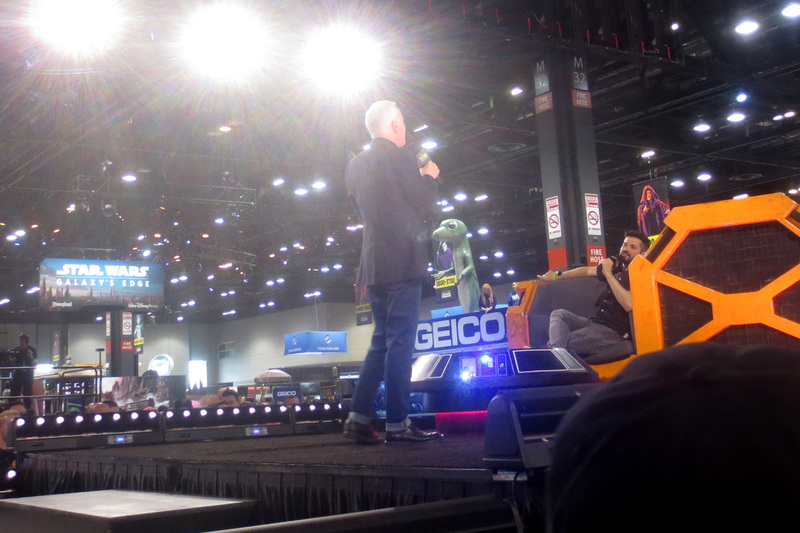 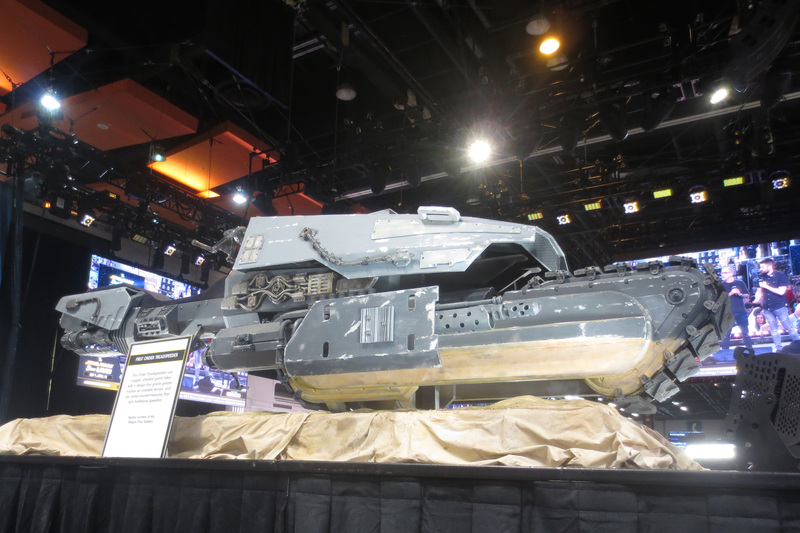 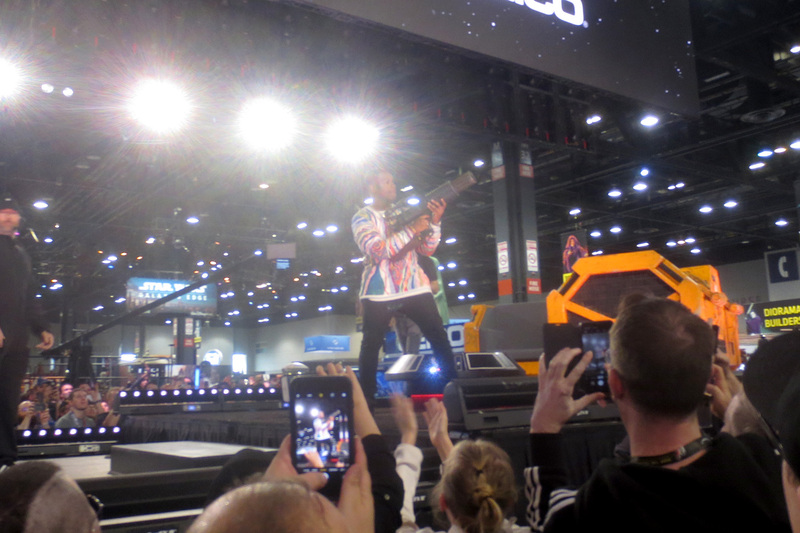 We’ve also grabbed a few pictures of the many amazing costumers on the convention floor, and a couple of the fan-made prop vehicle installations, including en Episode IX “Treadspeeder”.